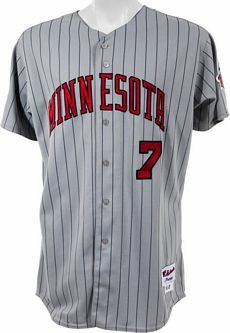 NOB added on home jerseys. 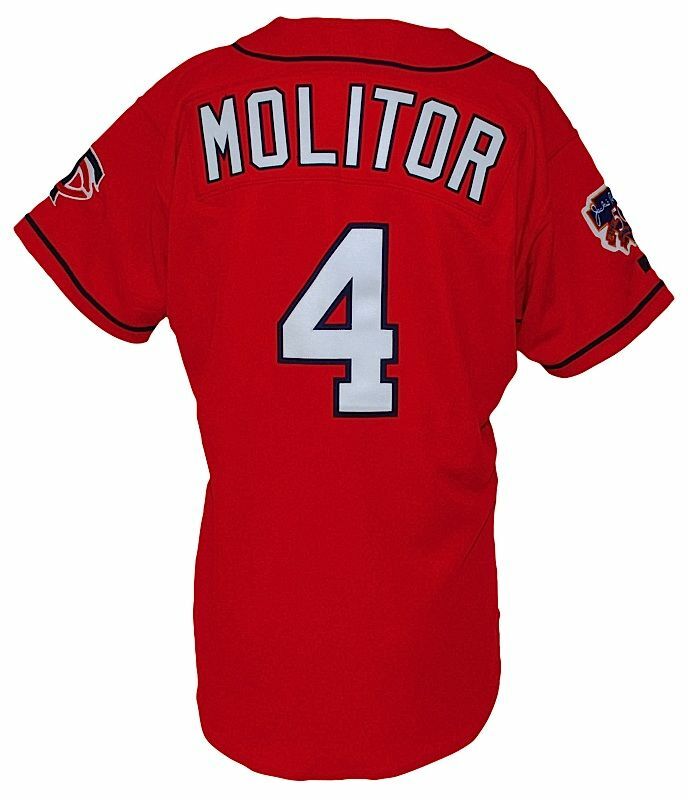 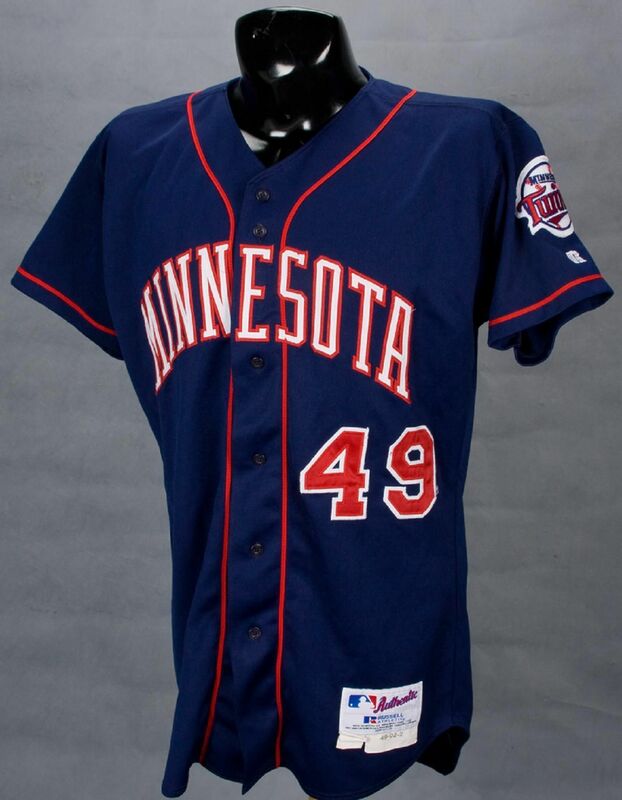 A red home alternate, worn just twice in April then retired, plus a new road alternate, are added. 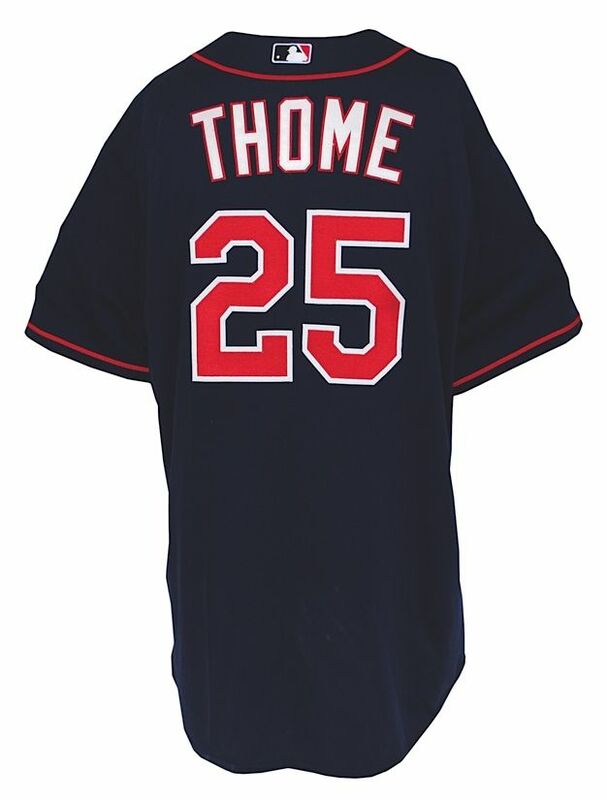 Red home alternate dropped in favor of navy (anyone have one?). 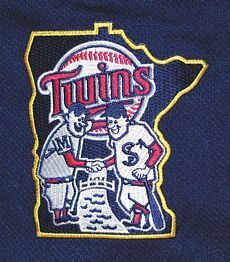 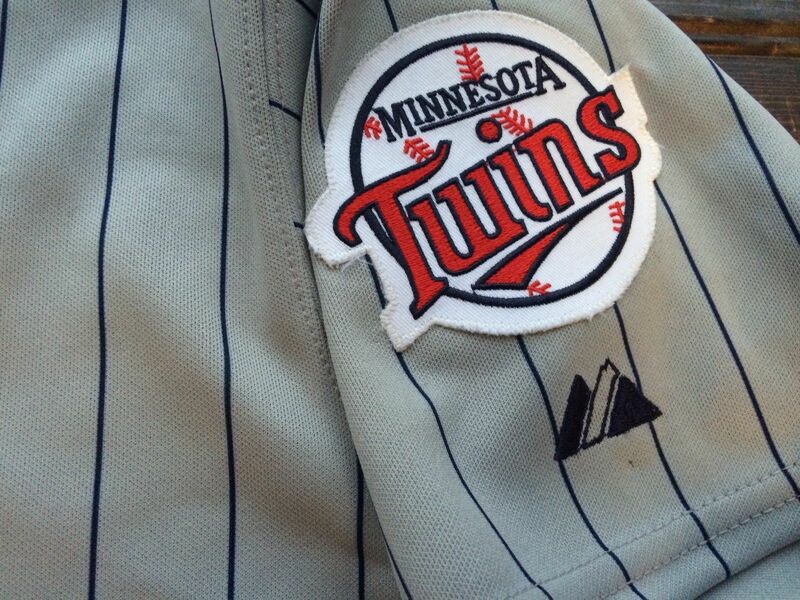 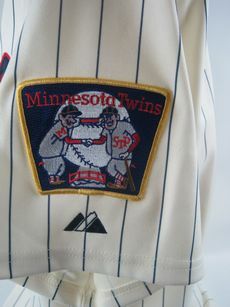 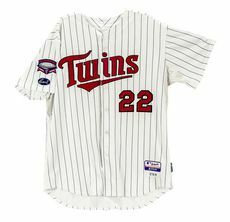 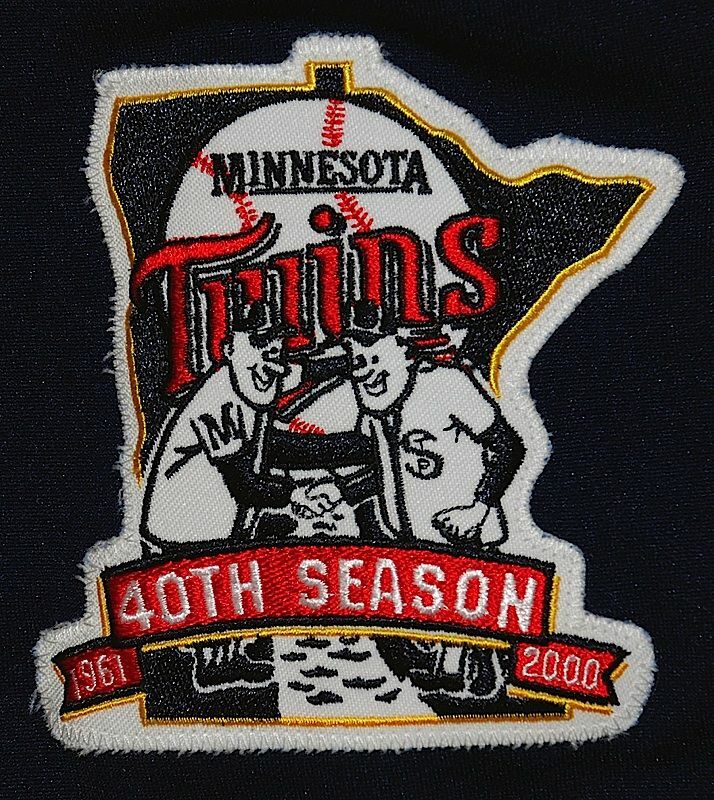 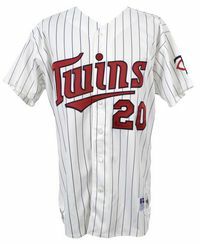 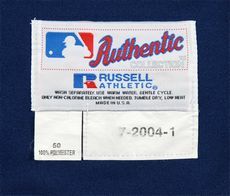 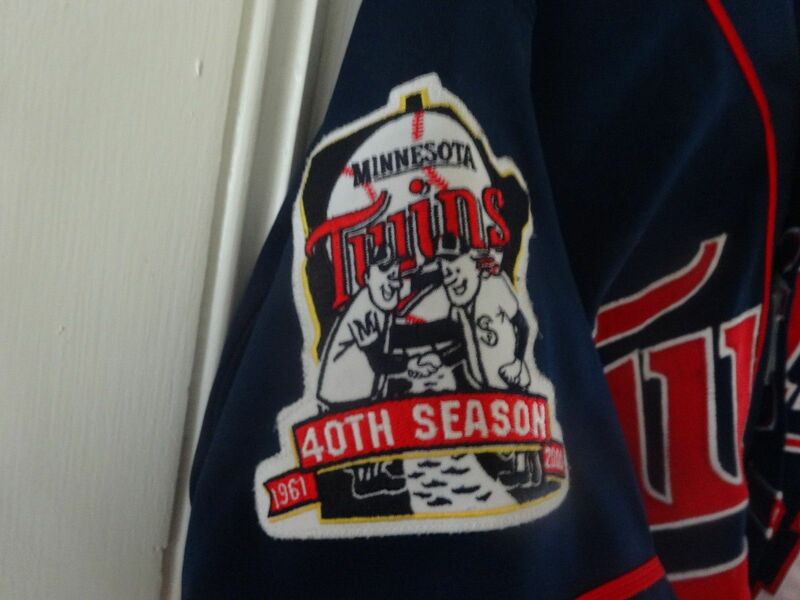 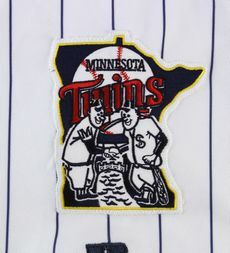 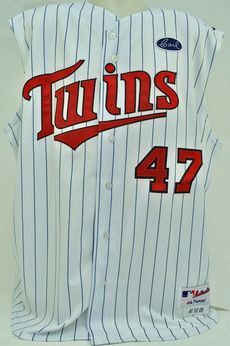 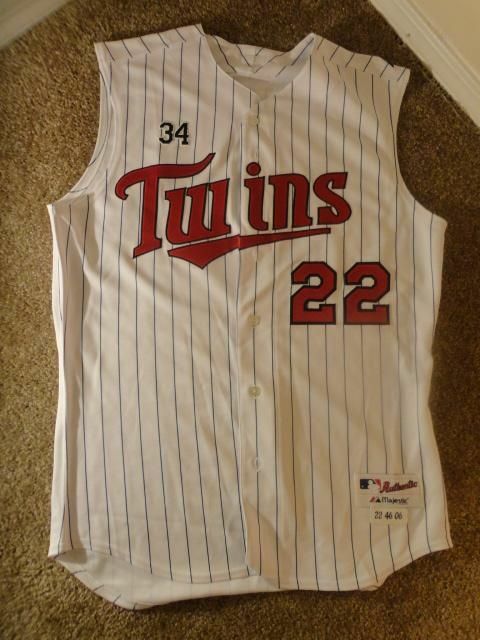 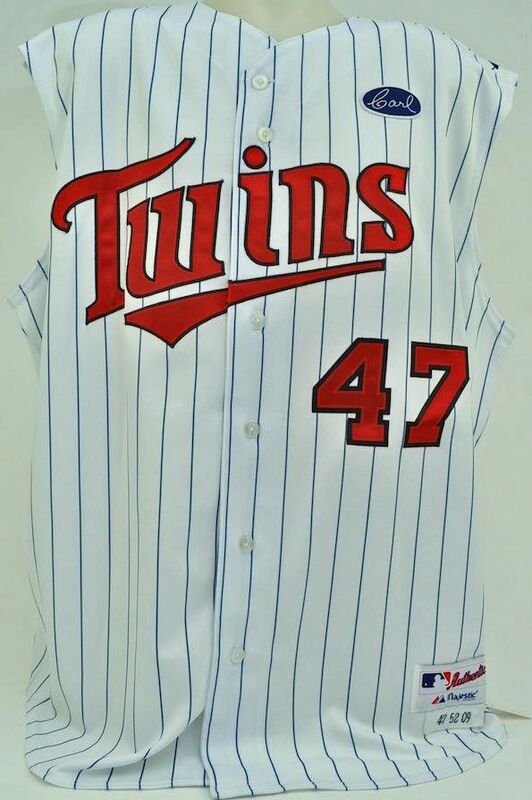 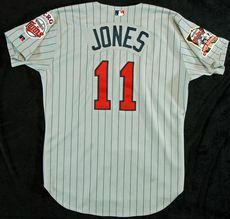 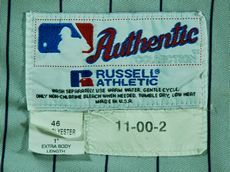 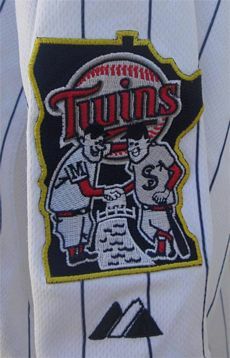 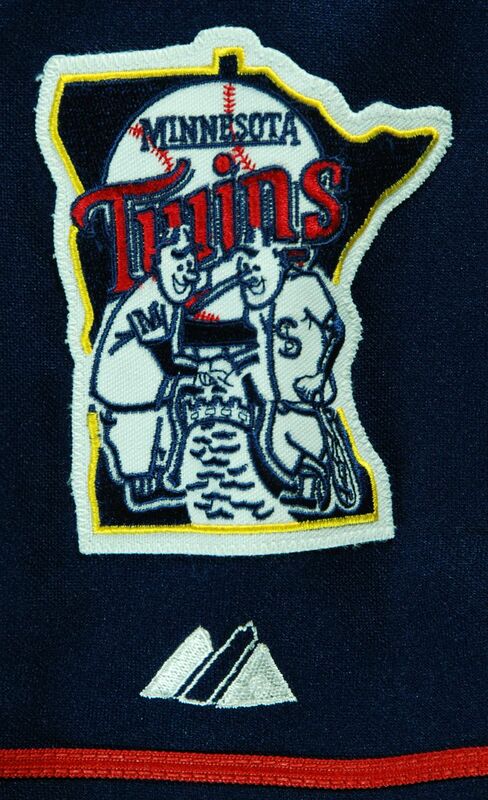 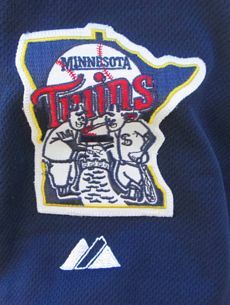 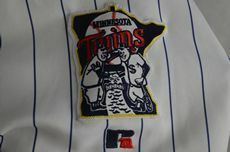 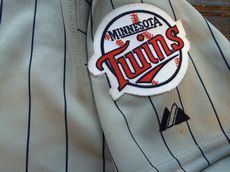 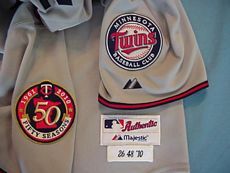 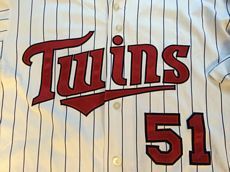 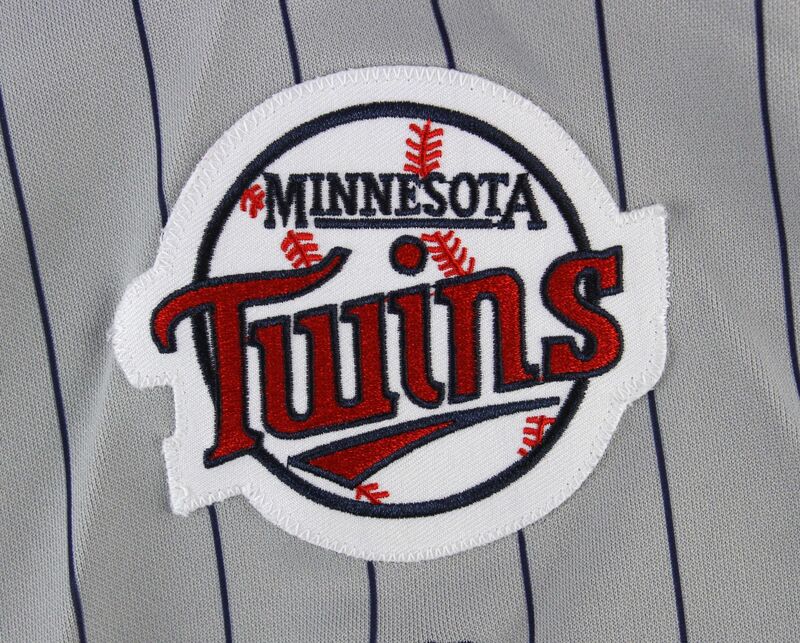 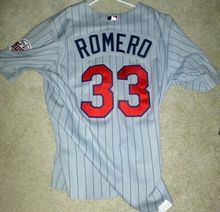 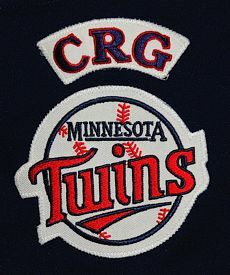 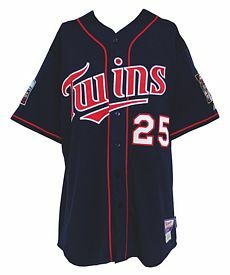 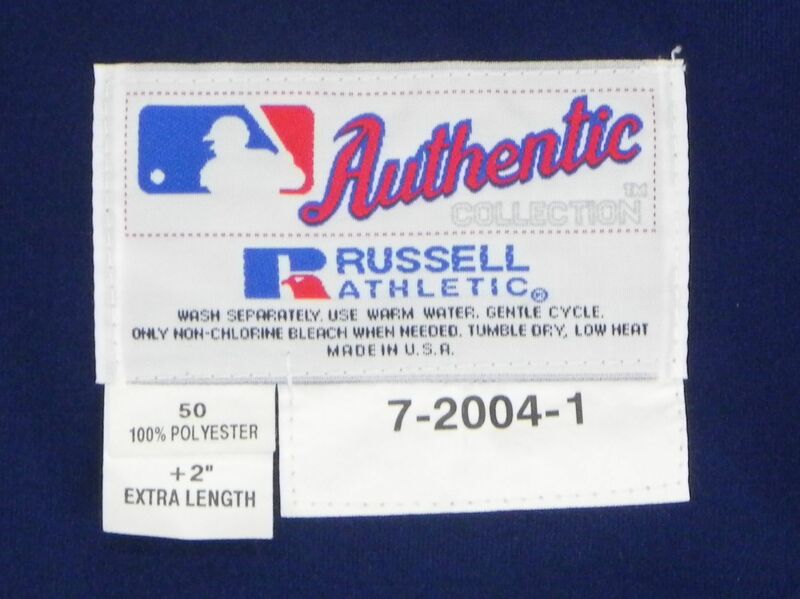 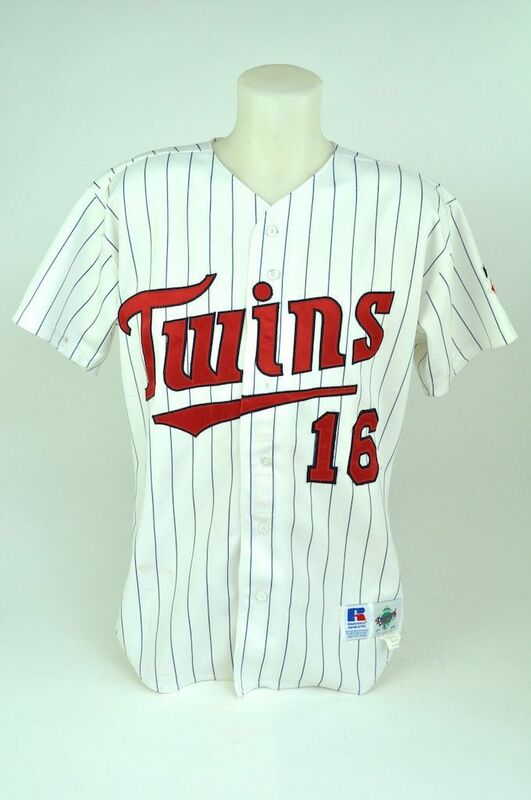 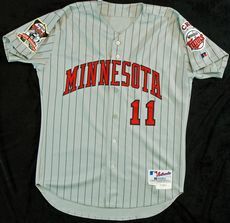 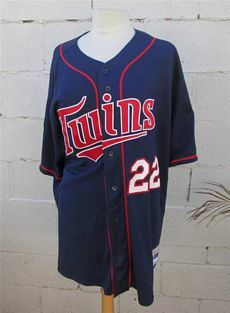 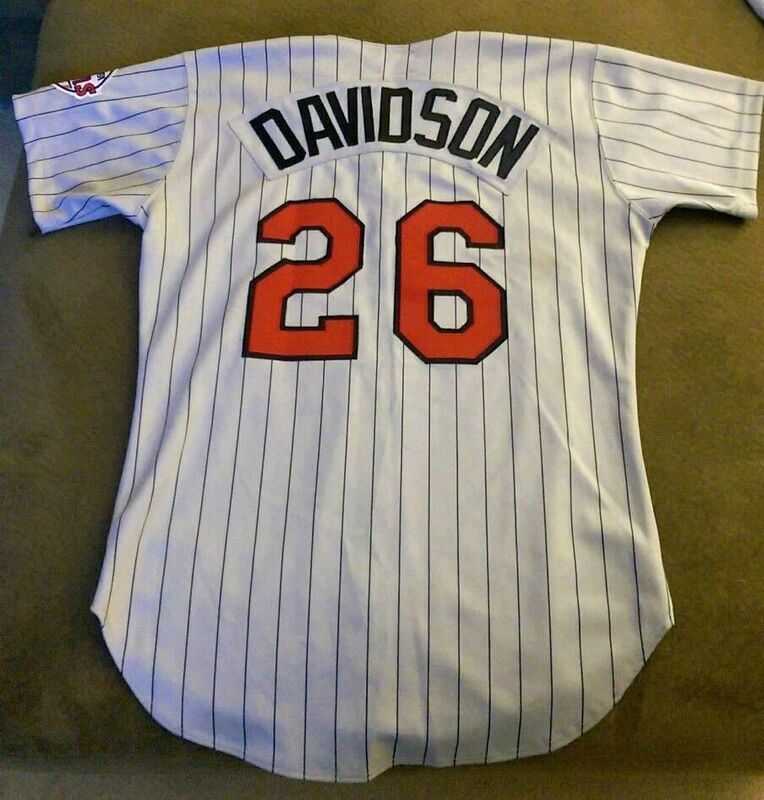 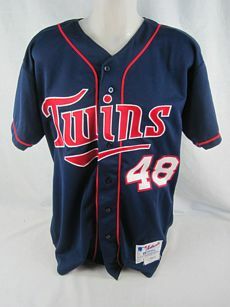 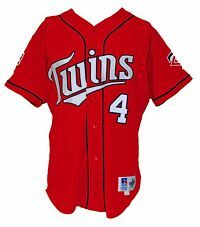 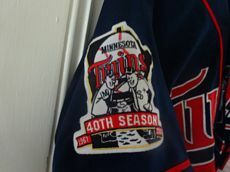 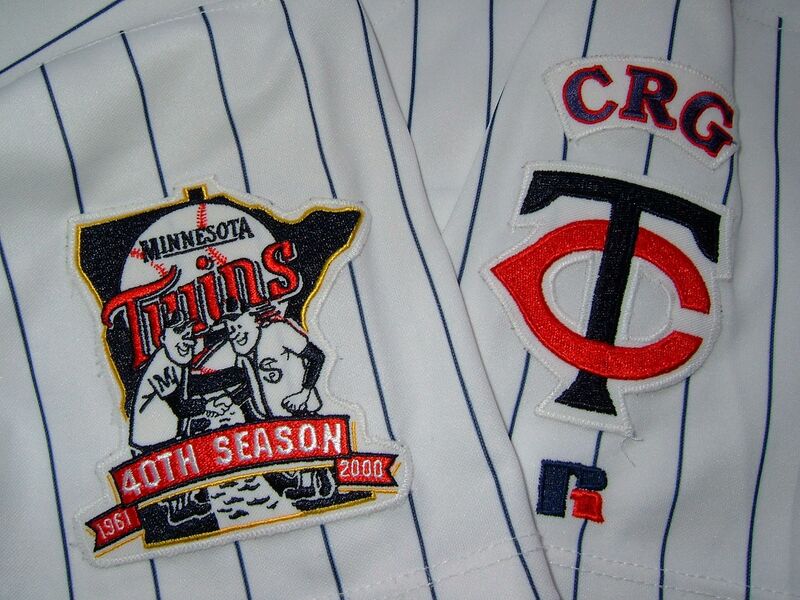 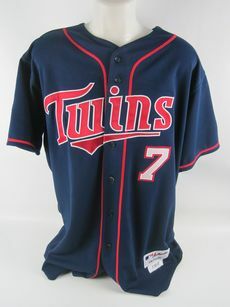 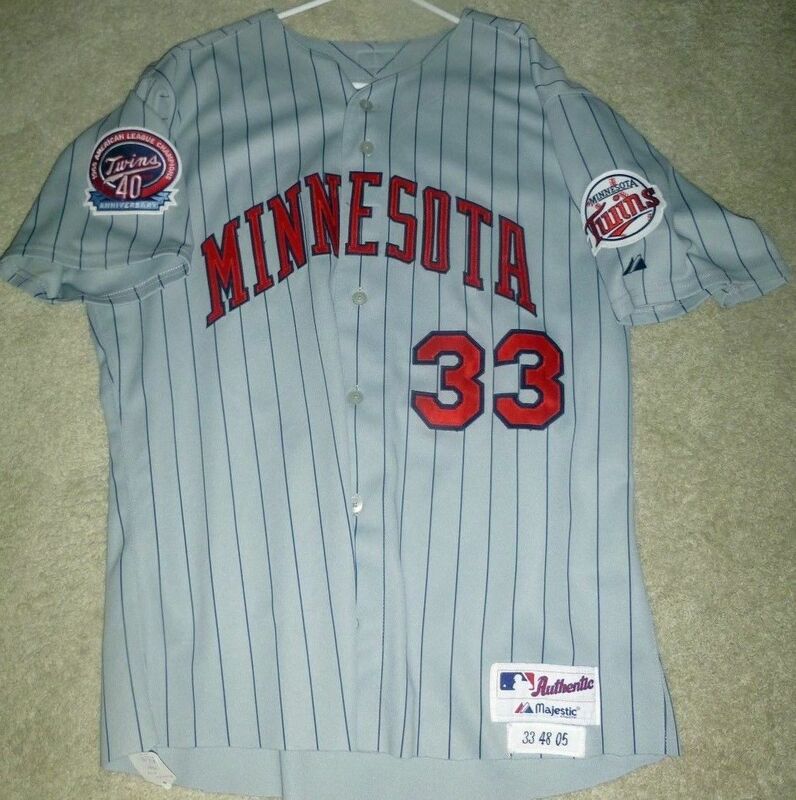 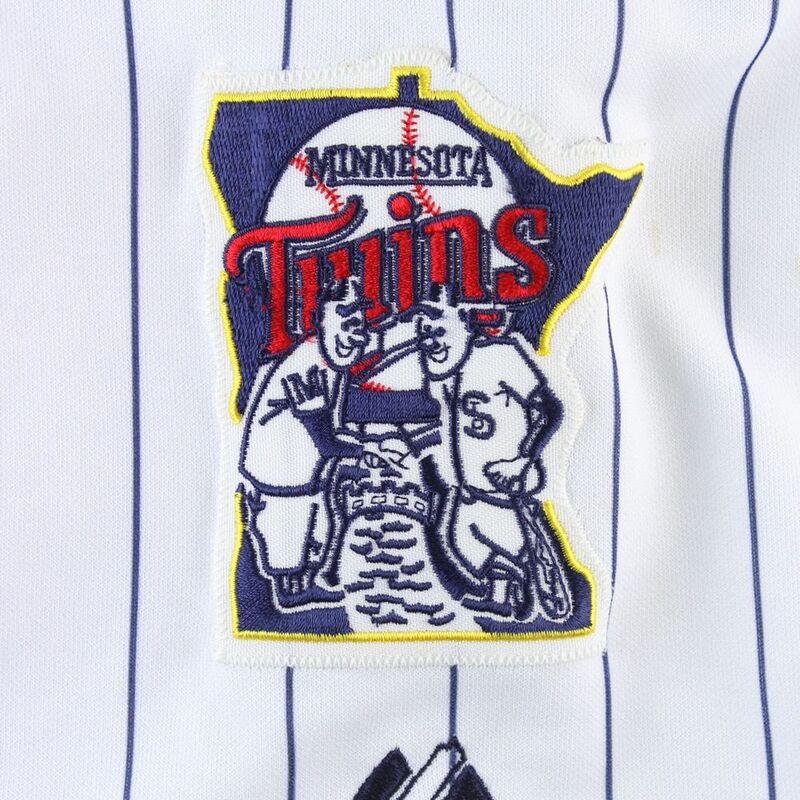 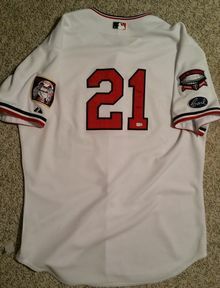 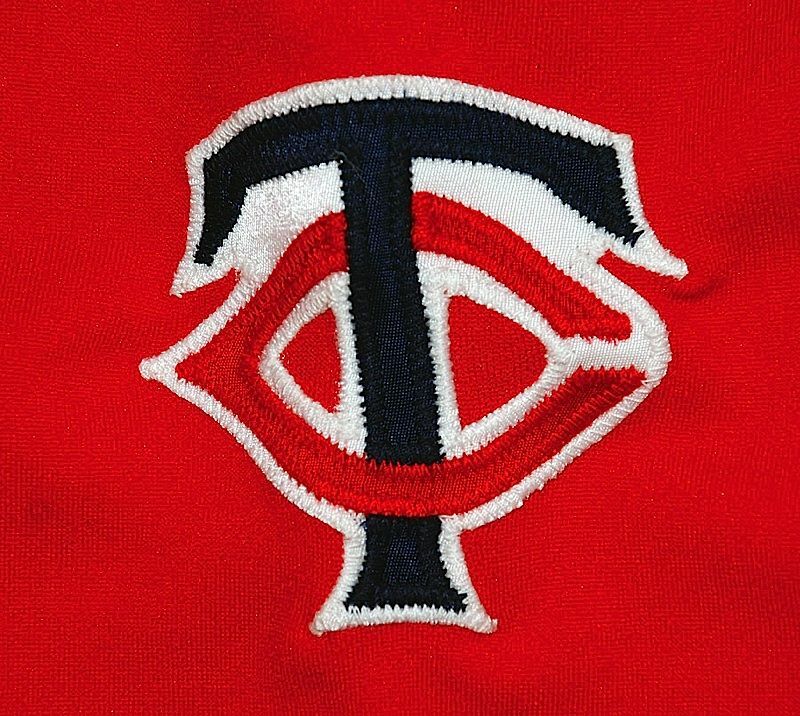 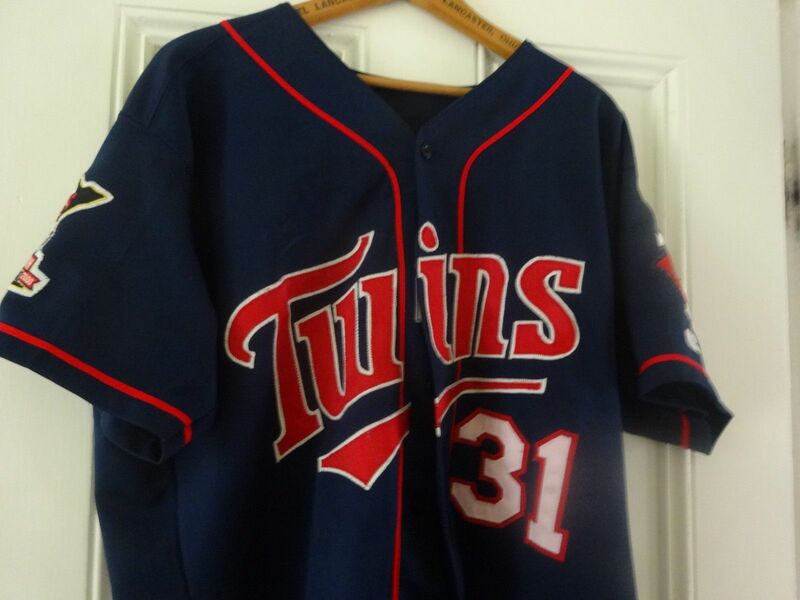 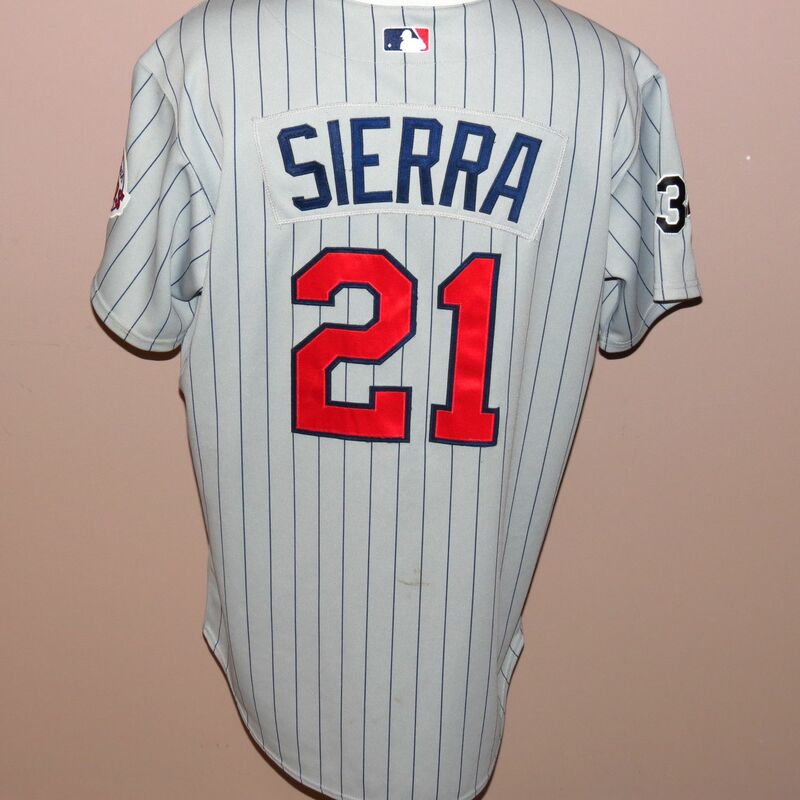 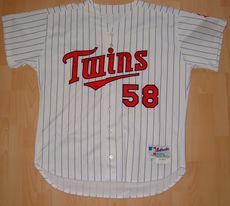 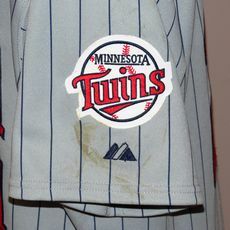 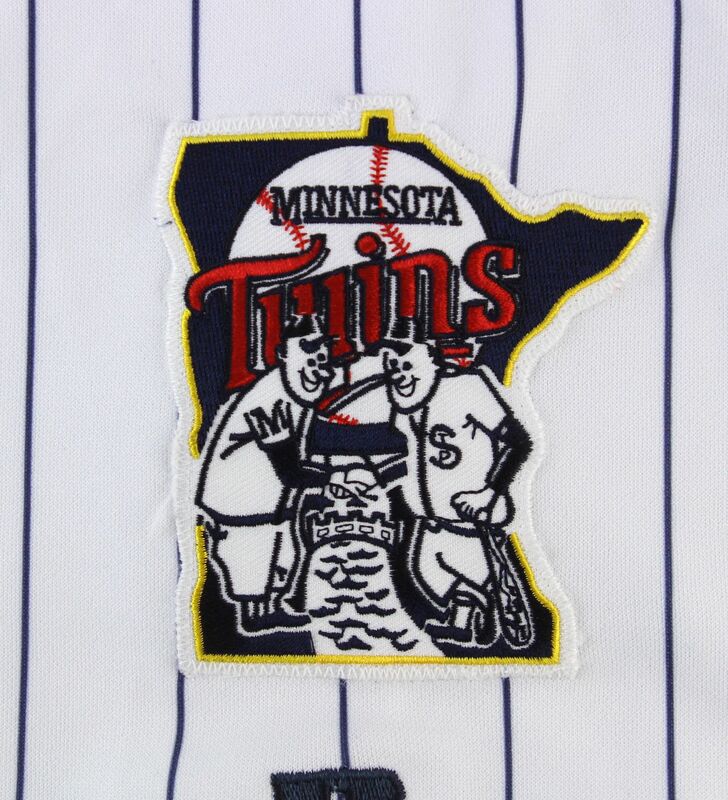 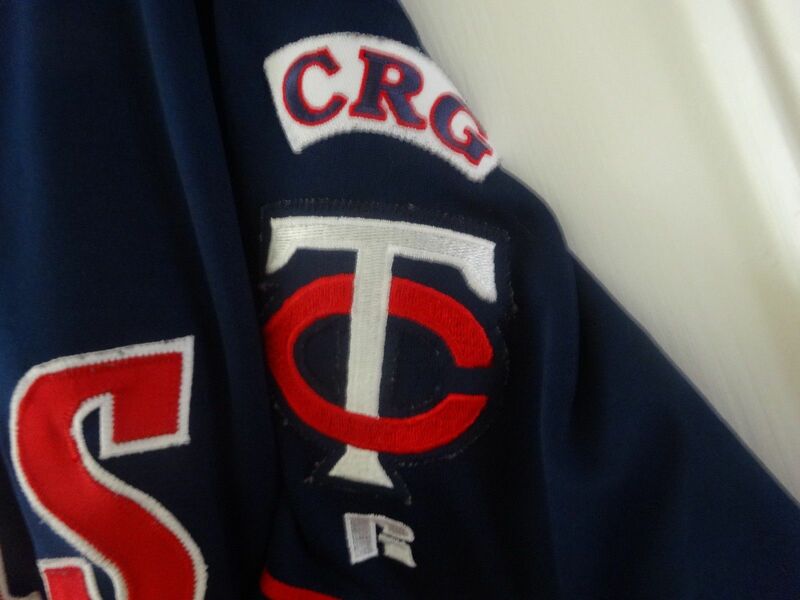 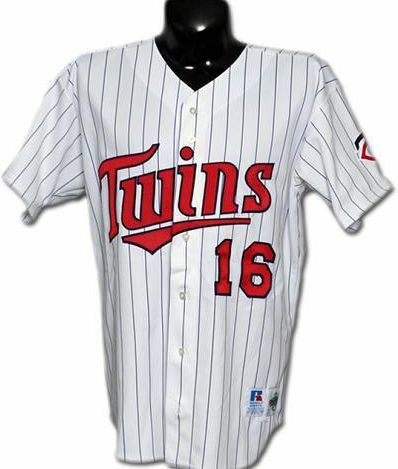 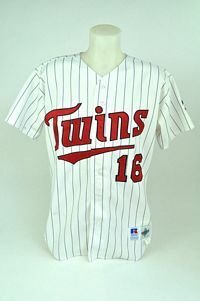 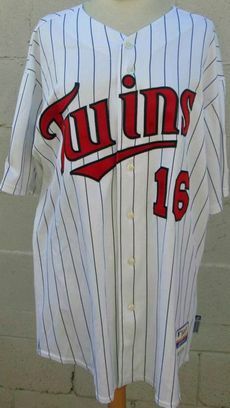 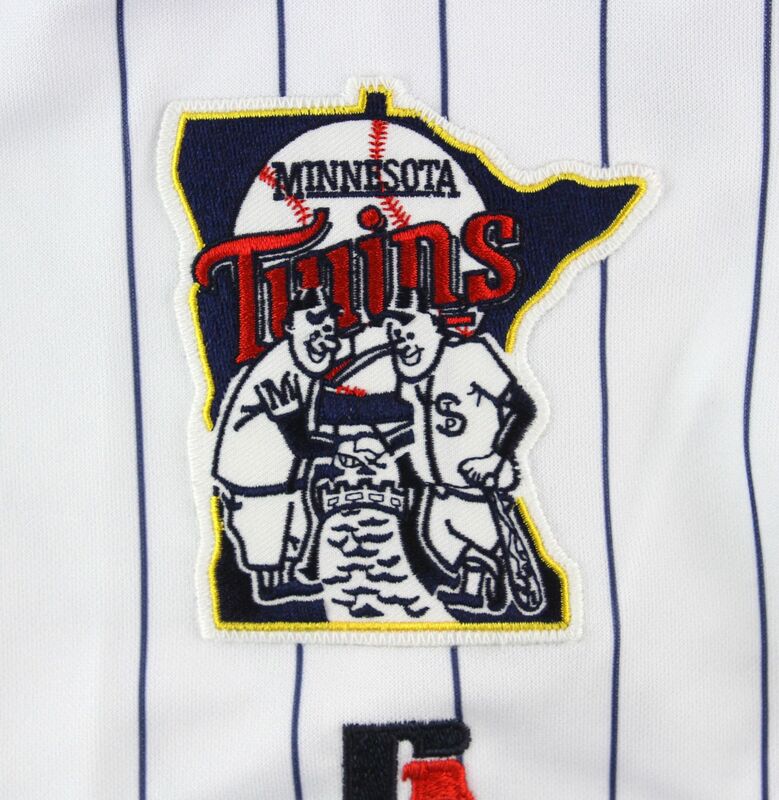 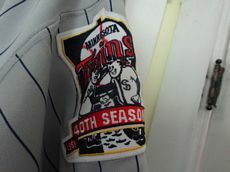 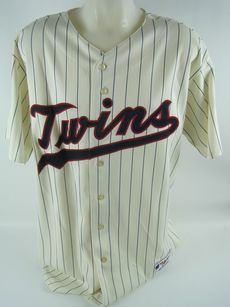 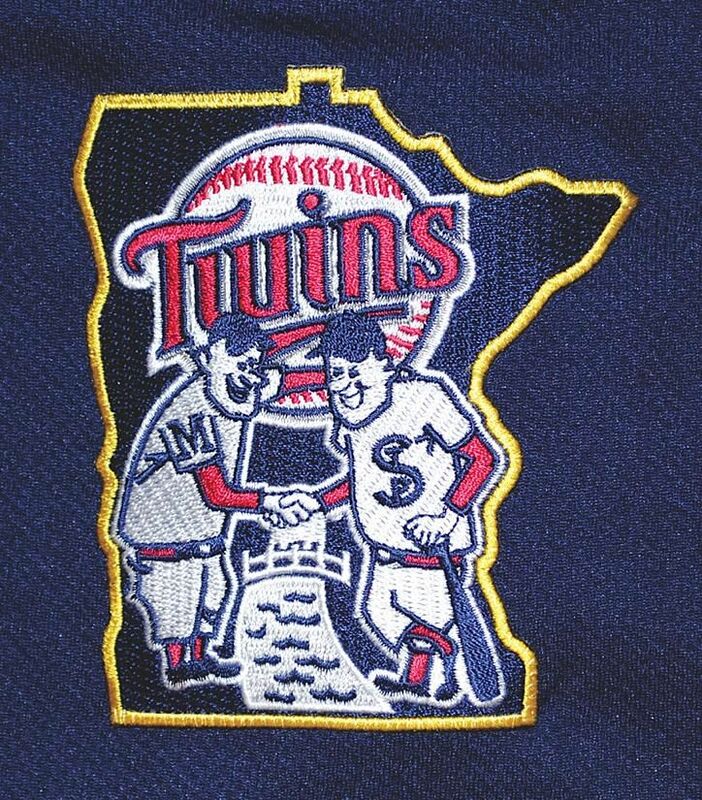 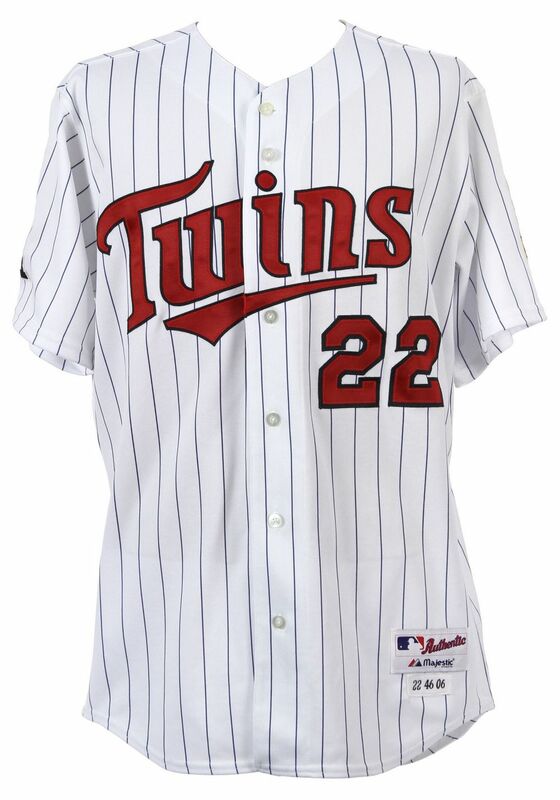 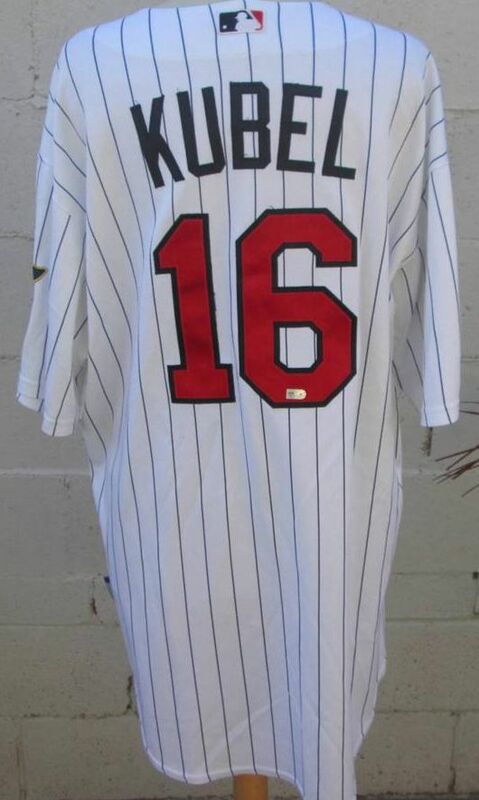 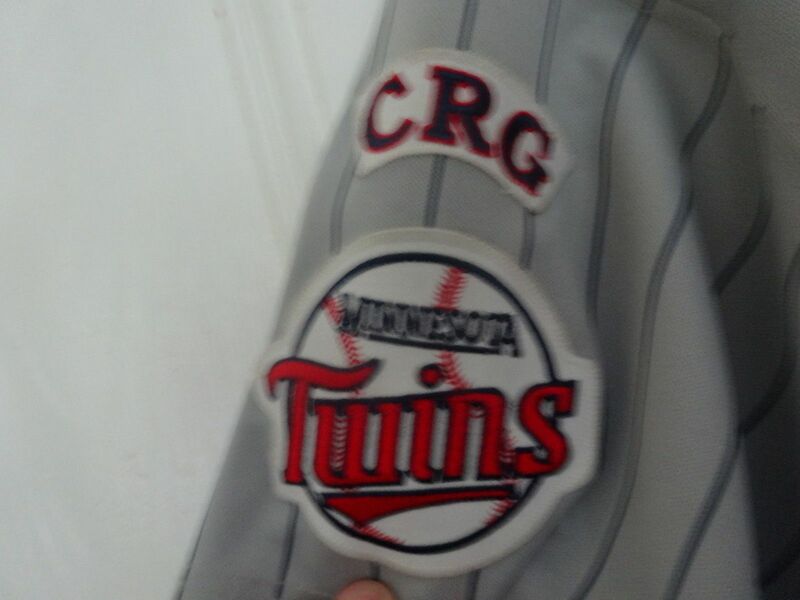 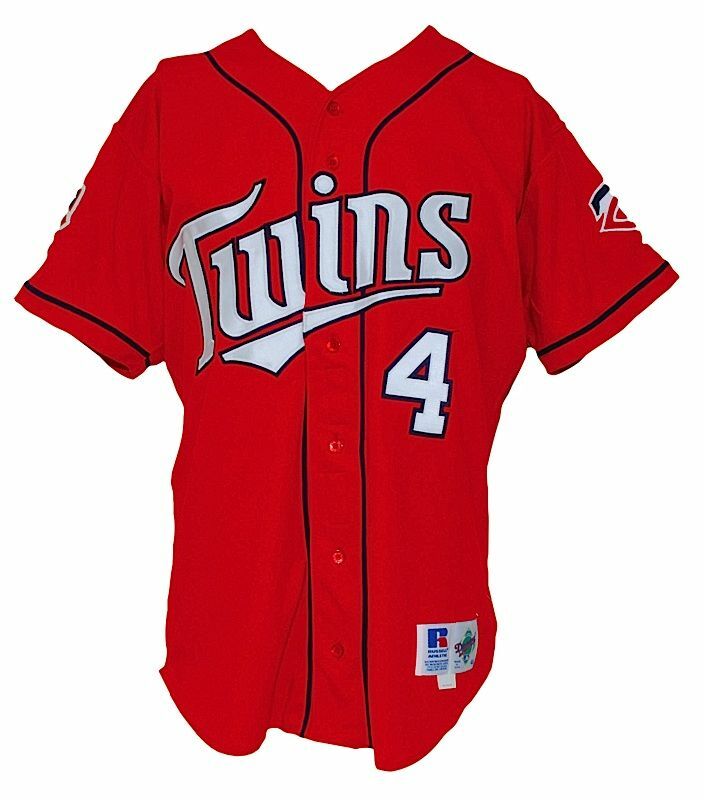 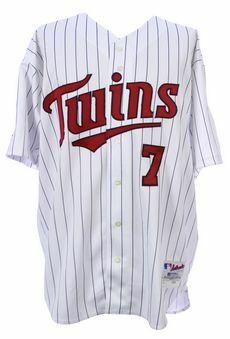 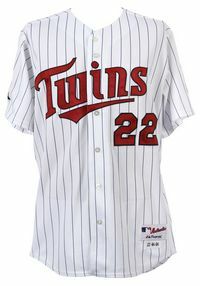 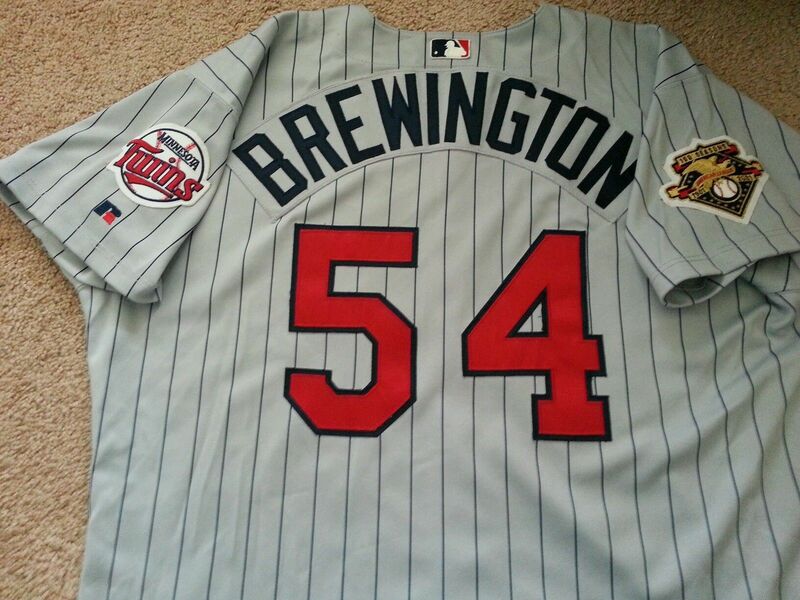 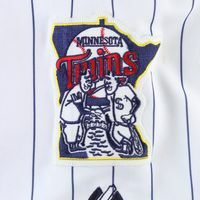 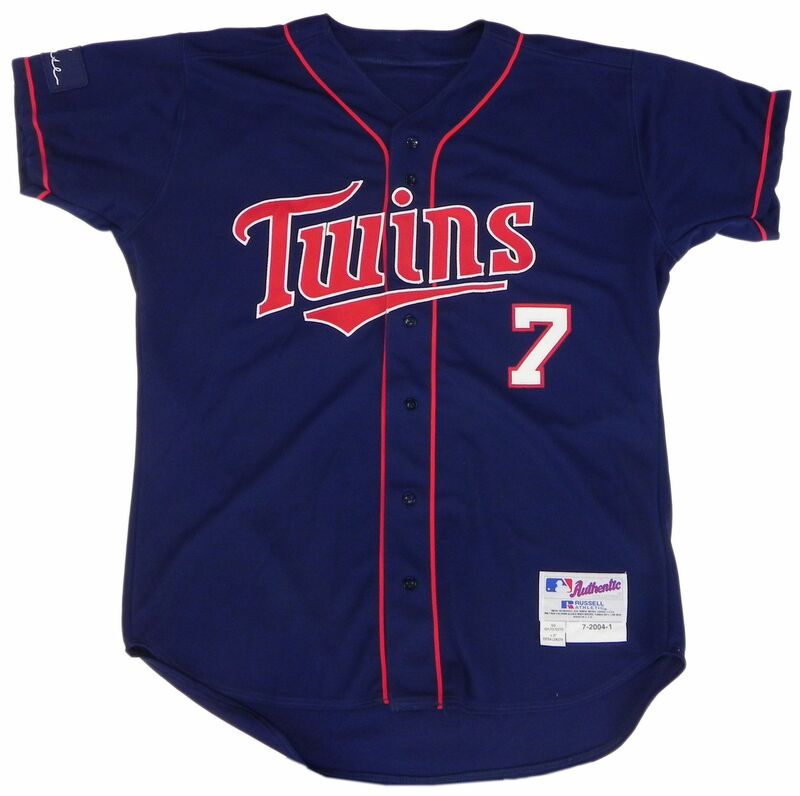 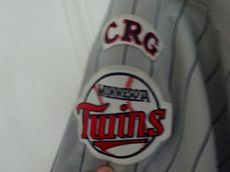 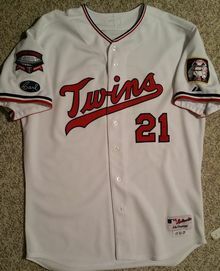 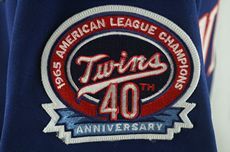 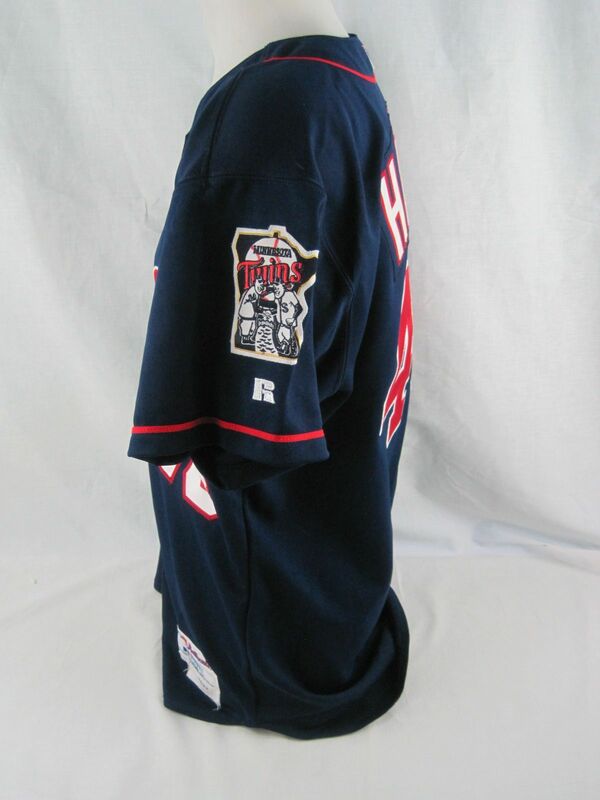 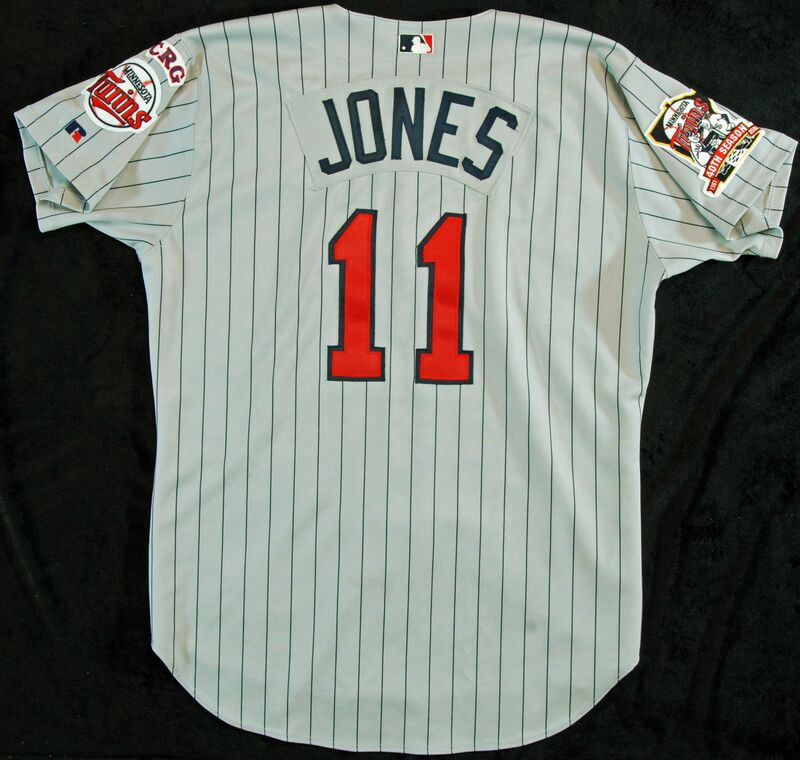 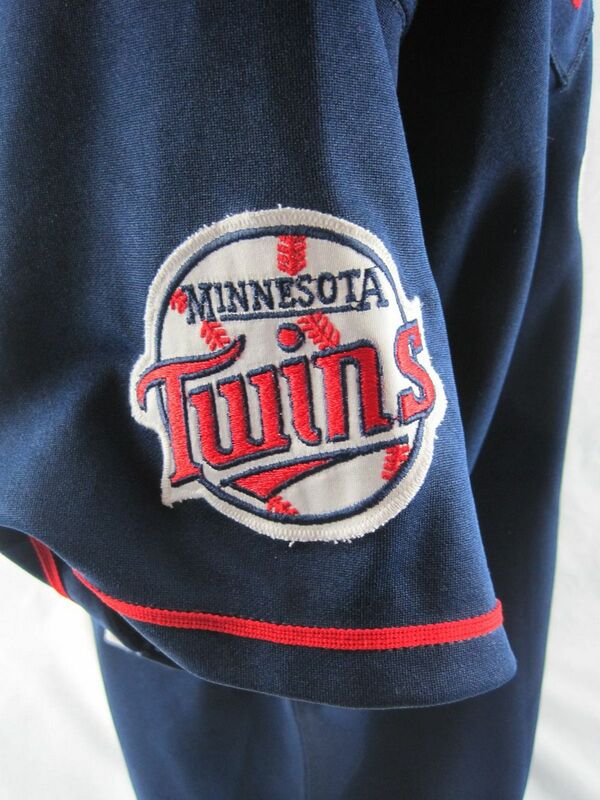 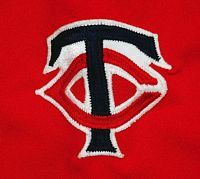 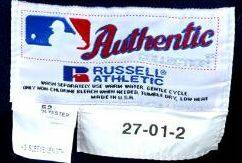 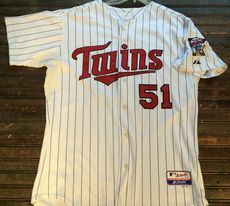 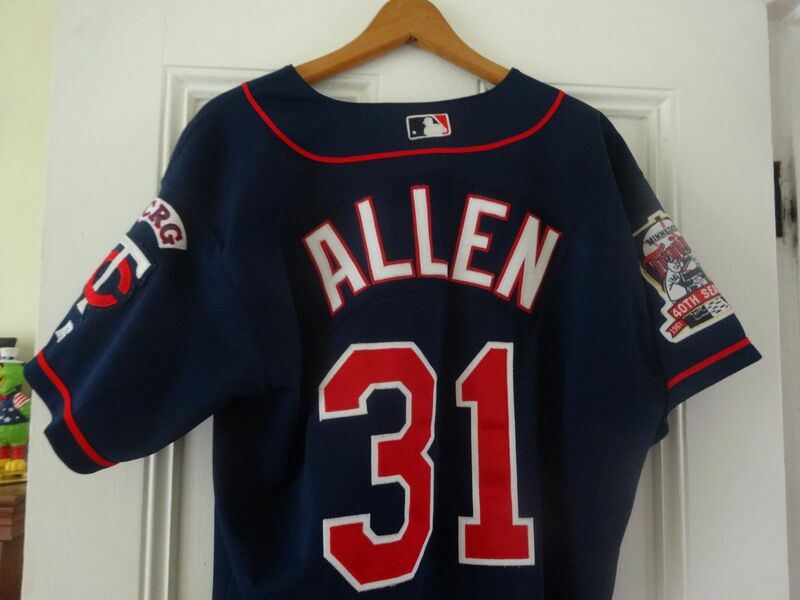 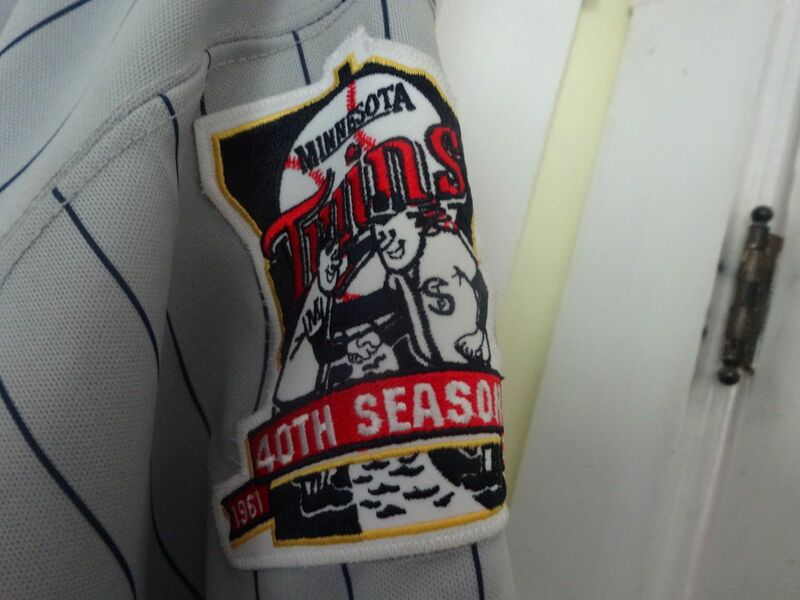 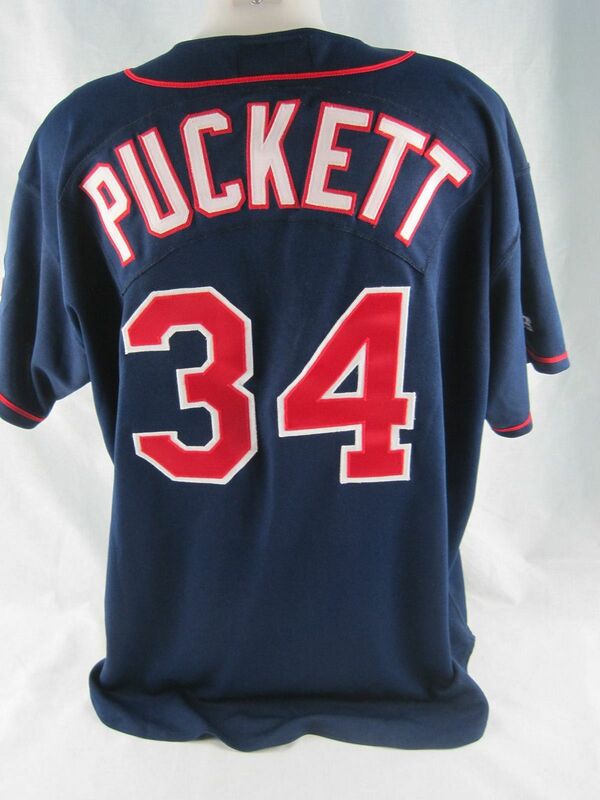 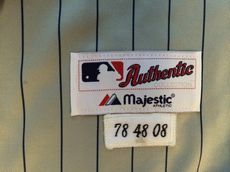 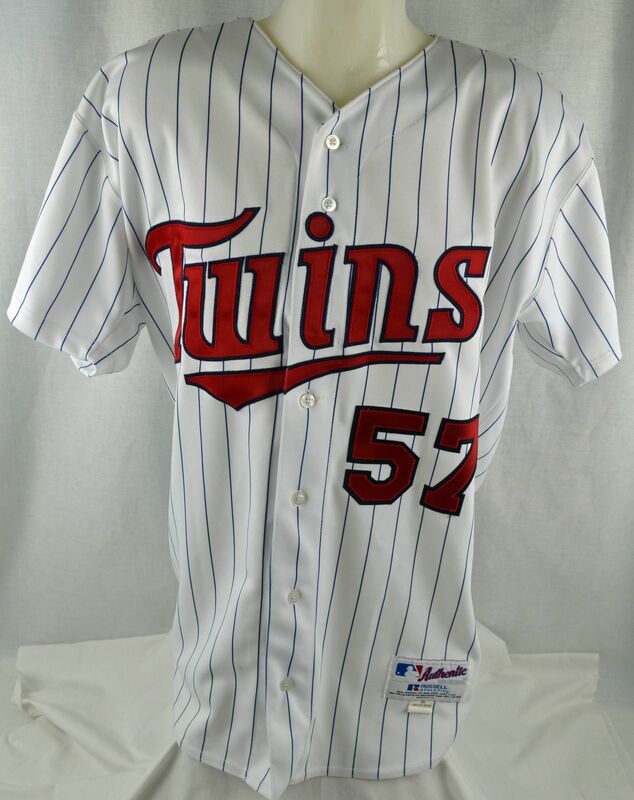 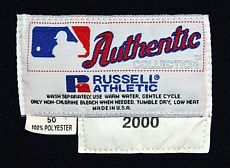 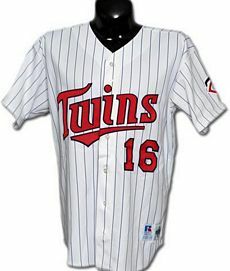 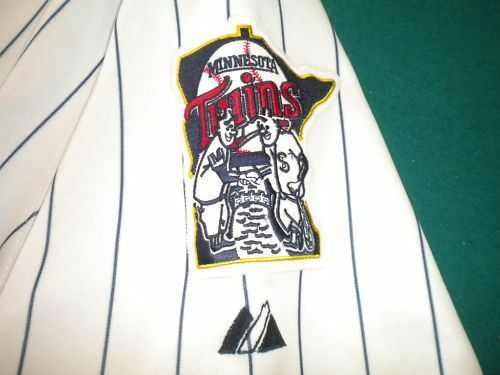 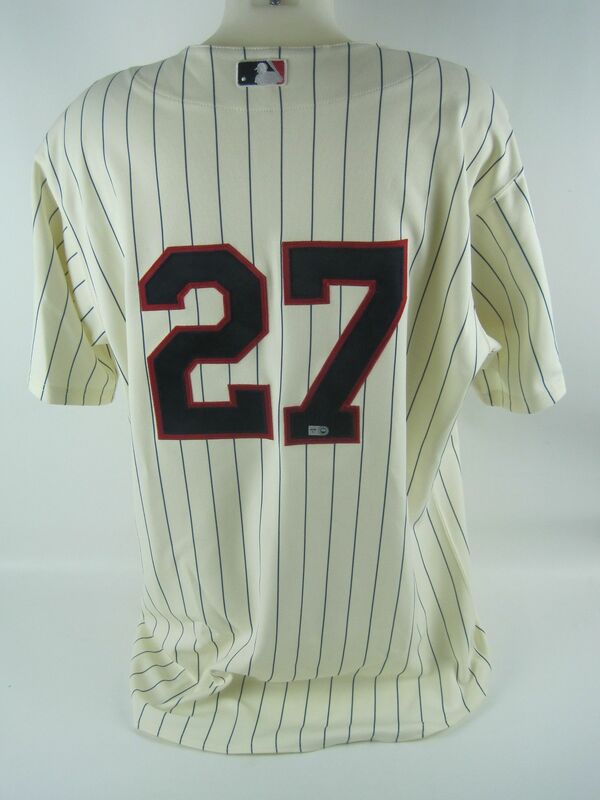 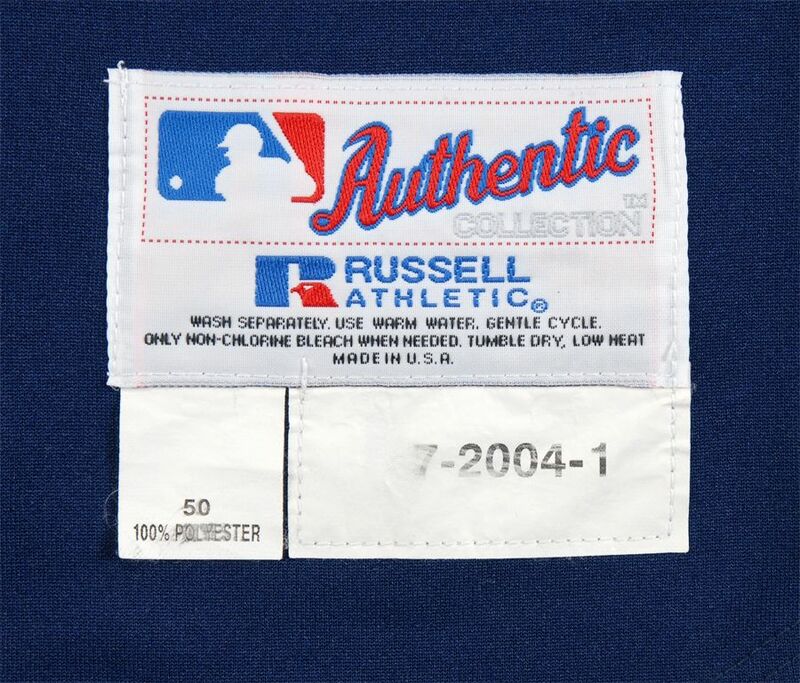 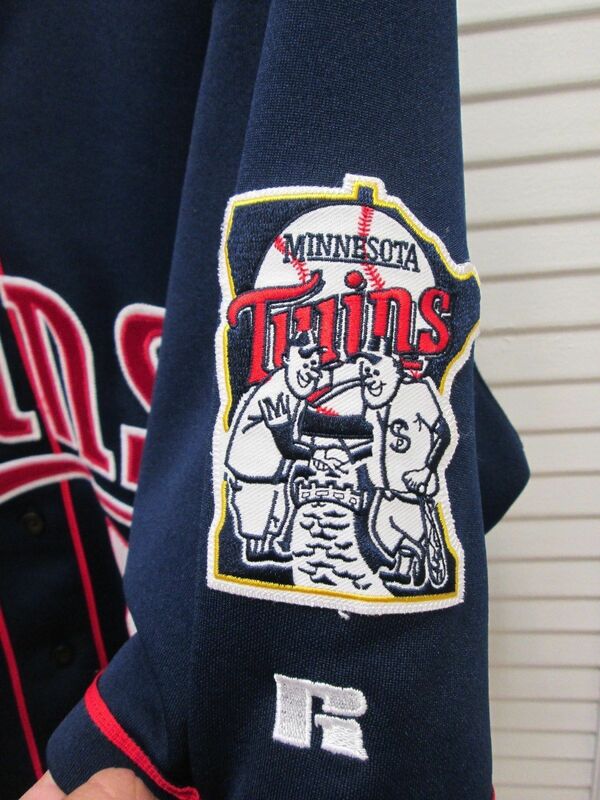 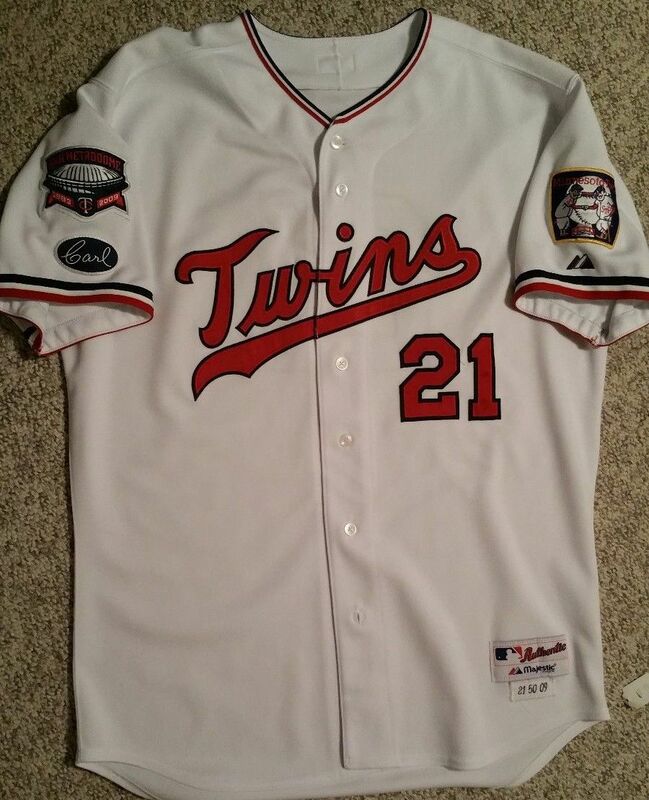 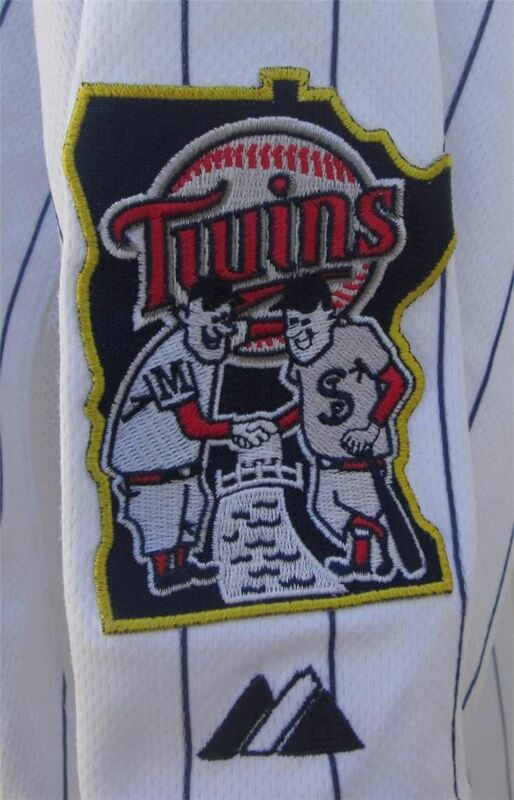 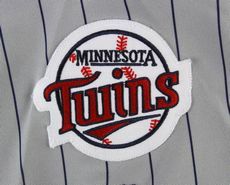 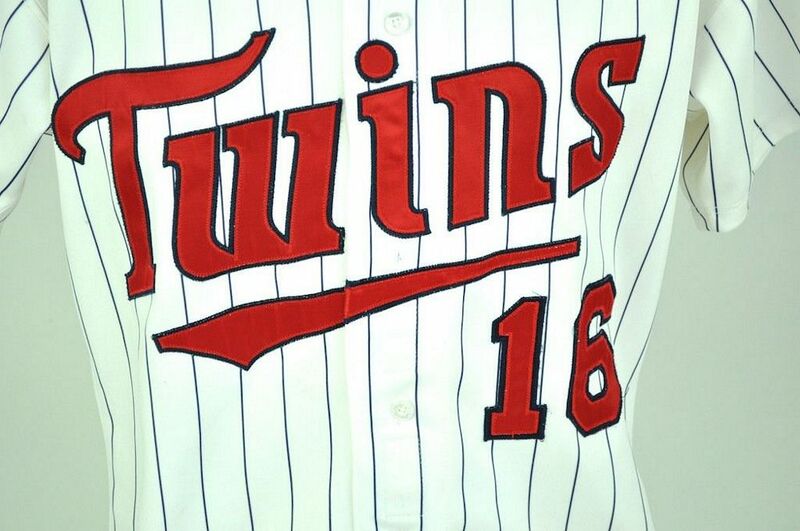 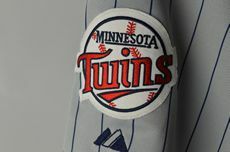 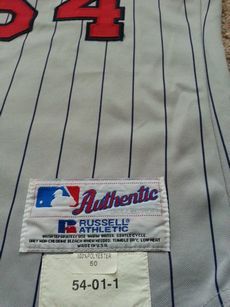 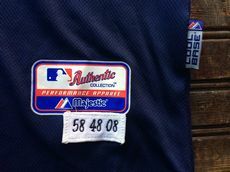 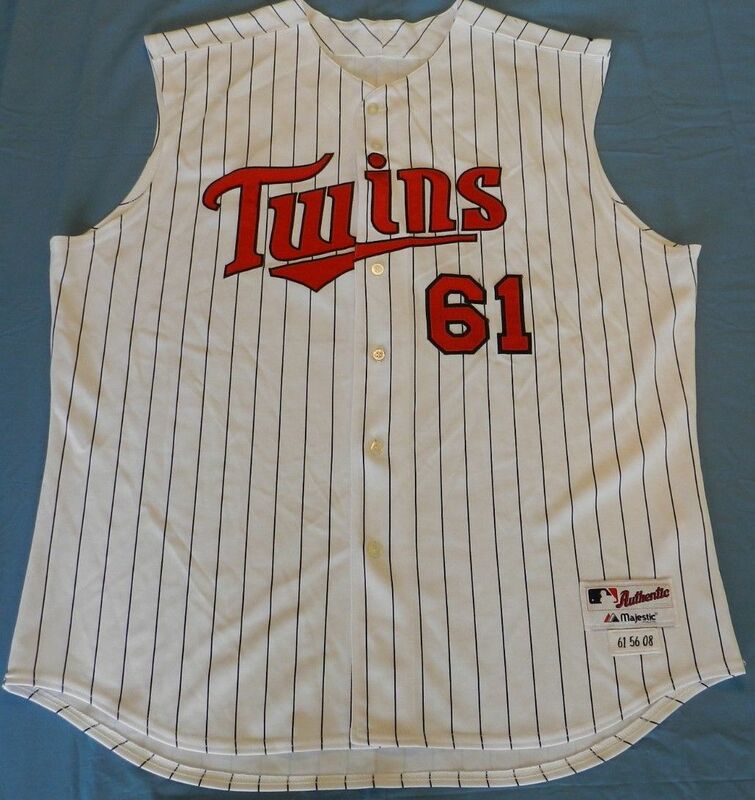 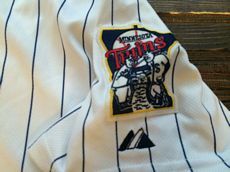 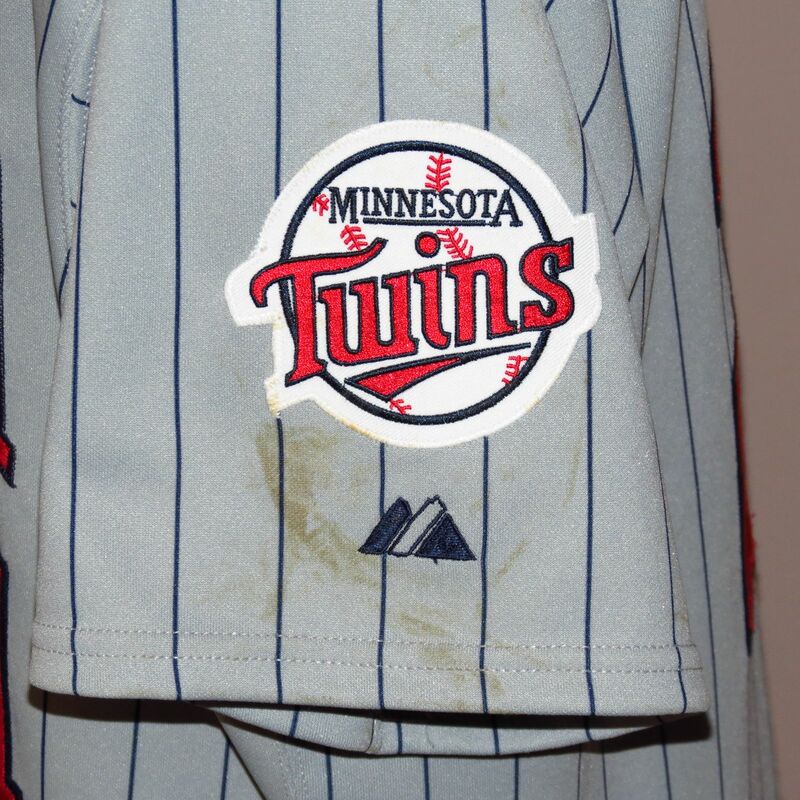 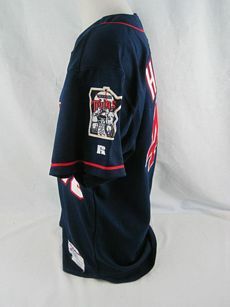 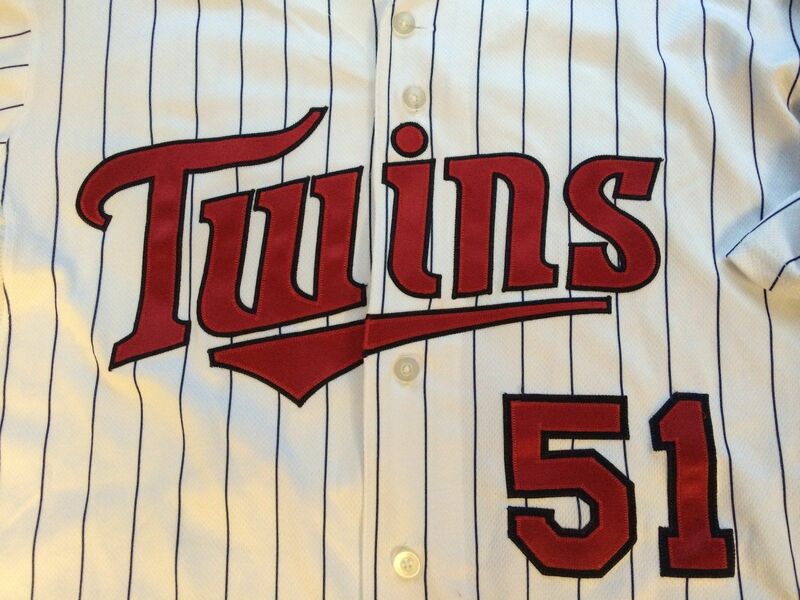 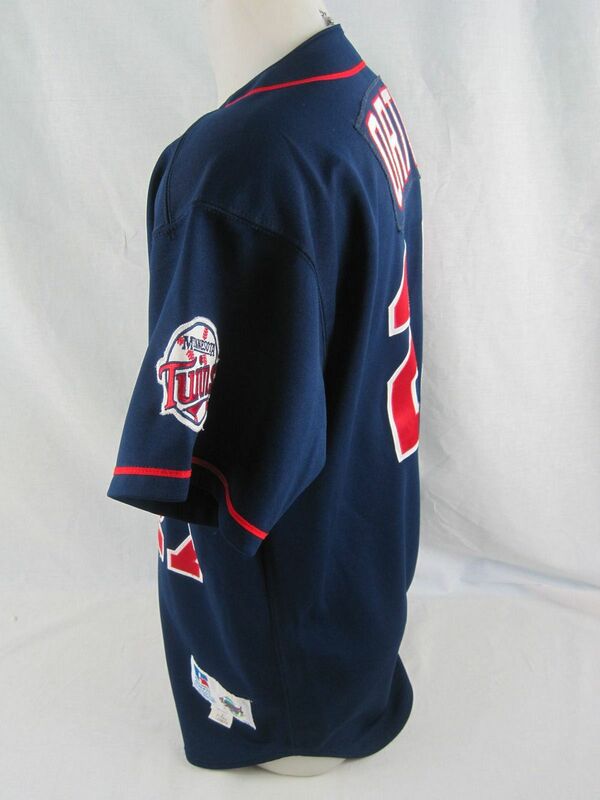 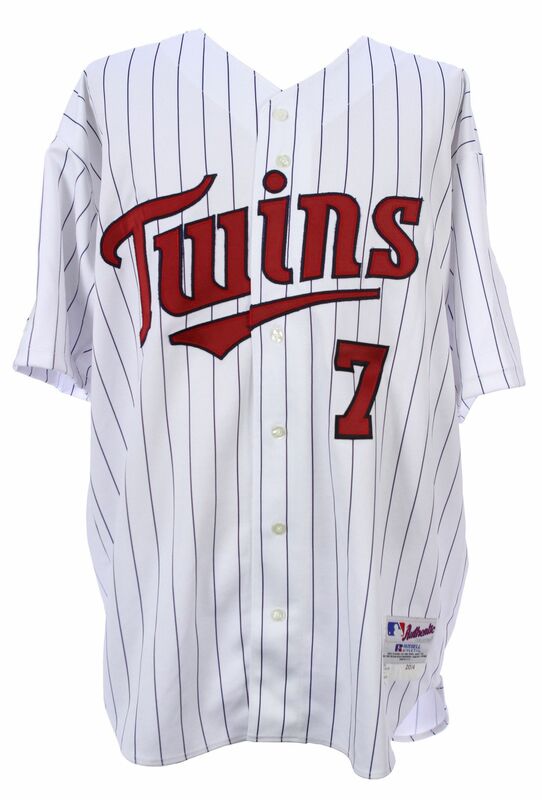 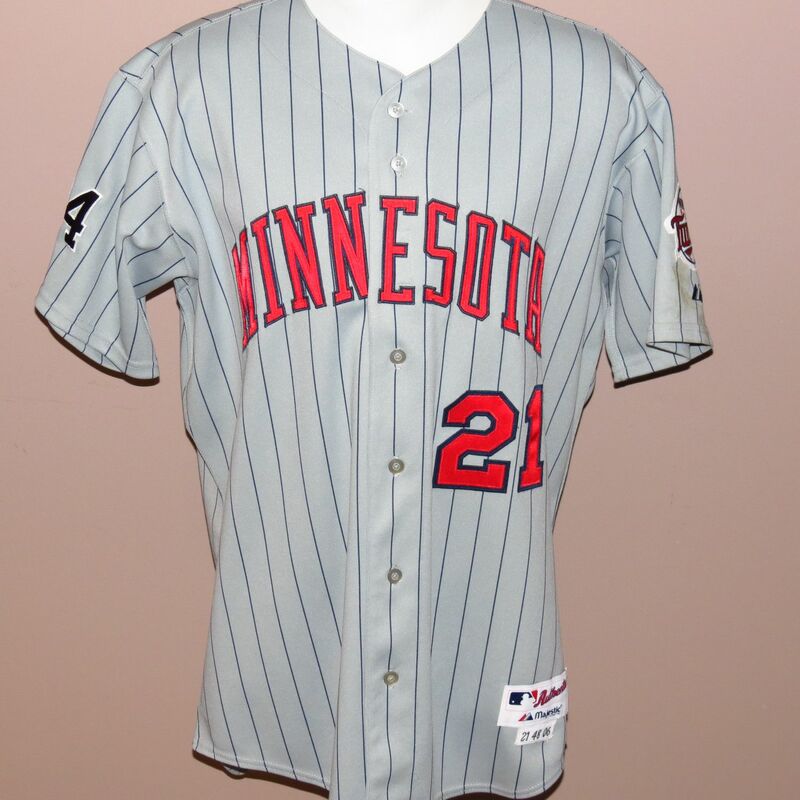 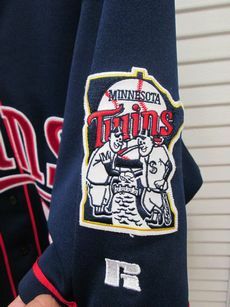 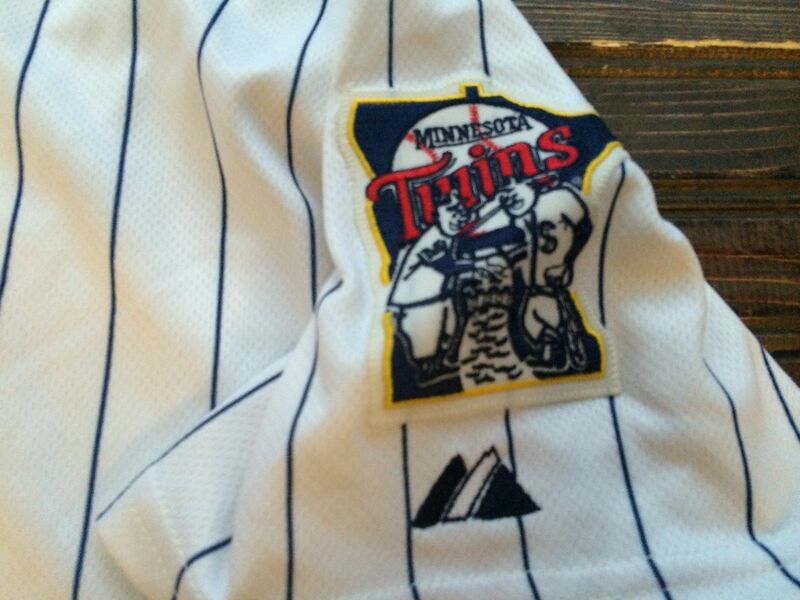 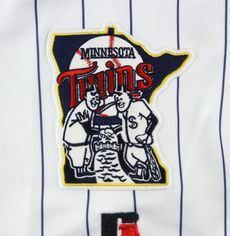 Twins 40th season sleeve patch worn in 2000. 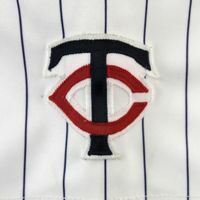 The "TC" logo returns to home caps in 2001. 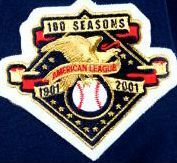 AL 100th anniversary patch worn. 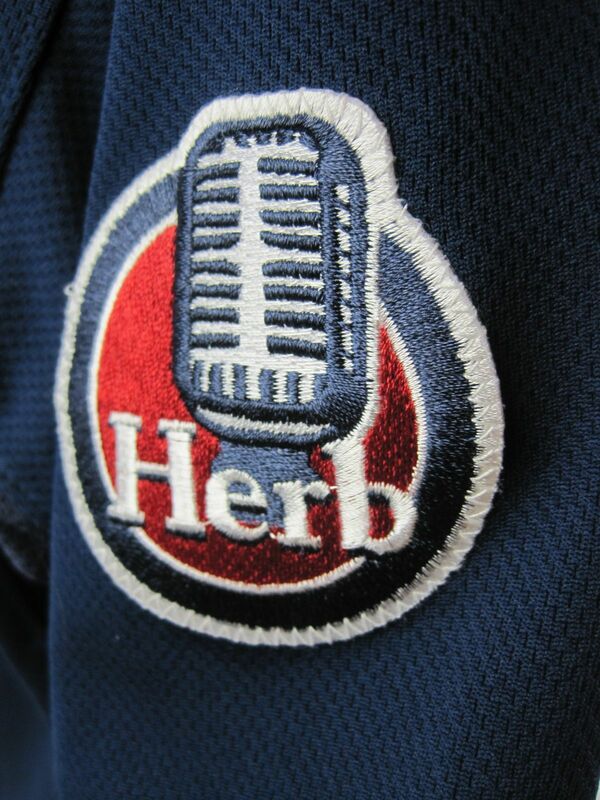 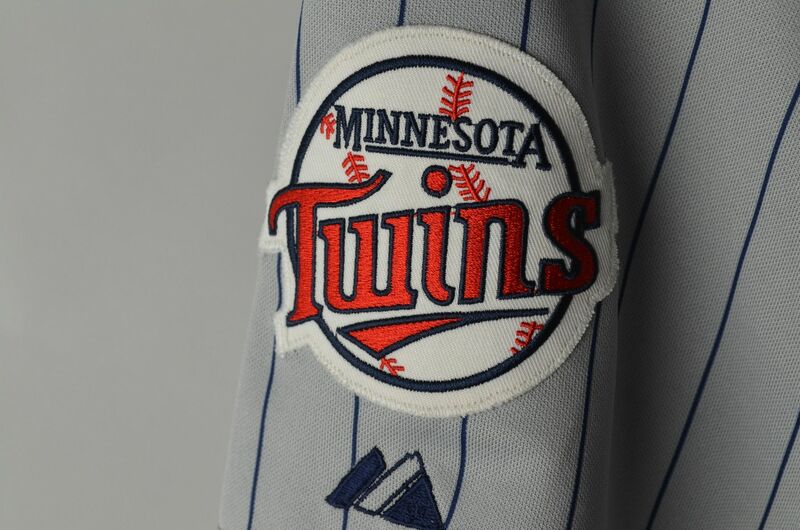 New sleeve patch on home jerseys. 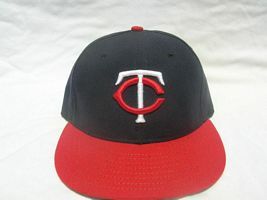 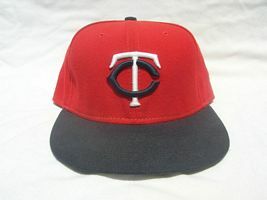 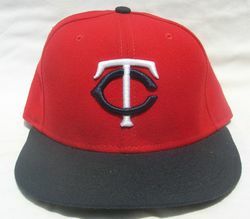 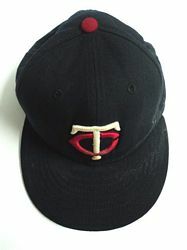 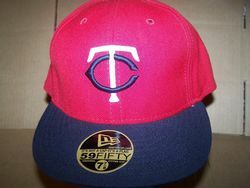 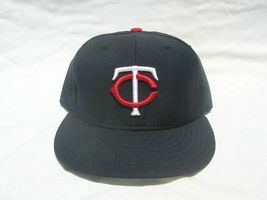 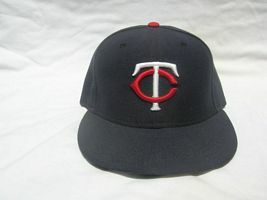 Red "TC" cap returns as a home alternate in 2004. 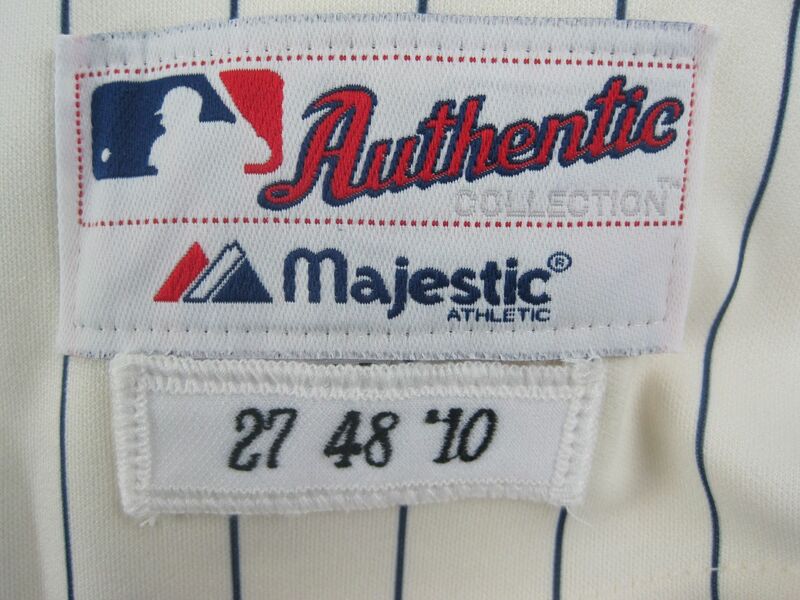 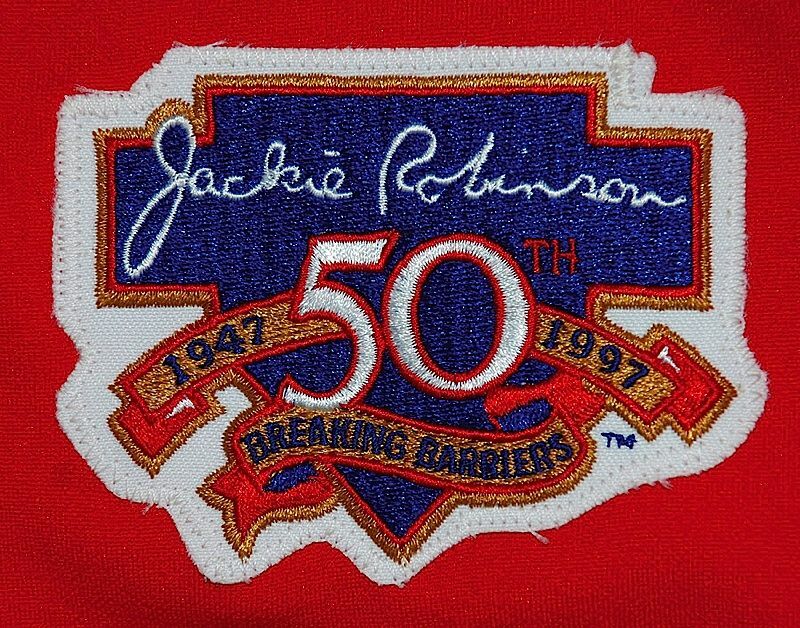 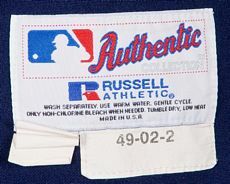 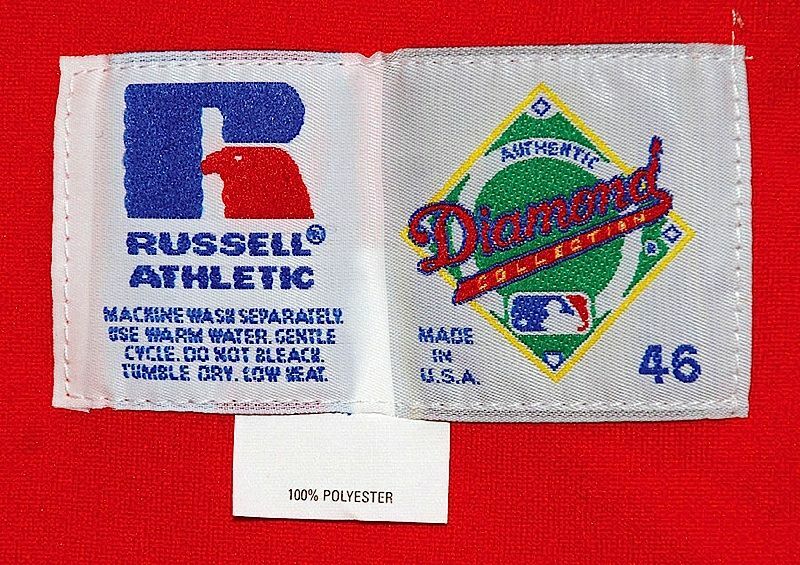 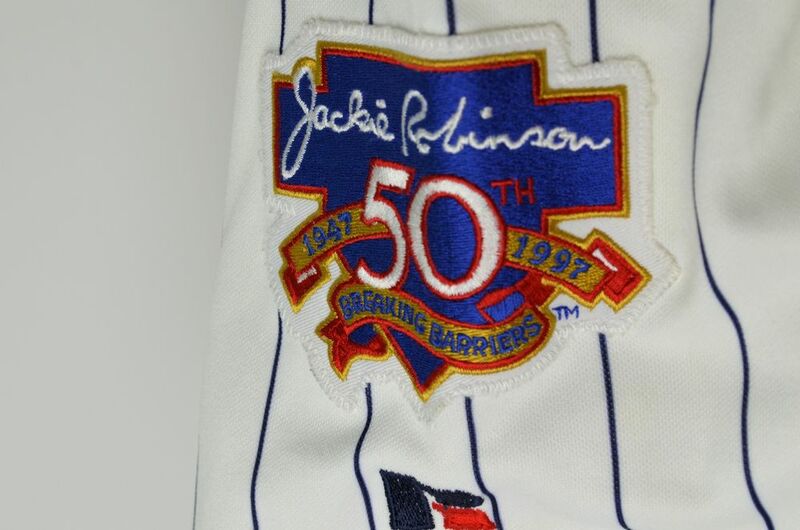 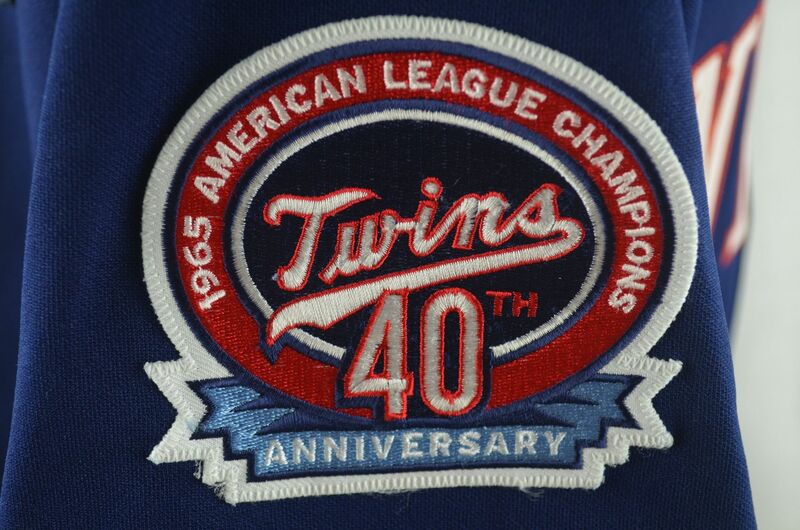 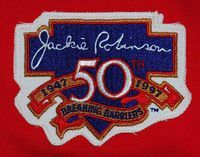 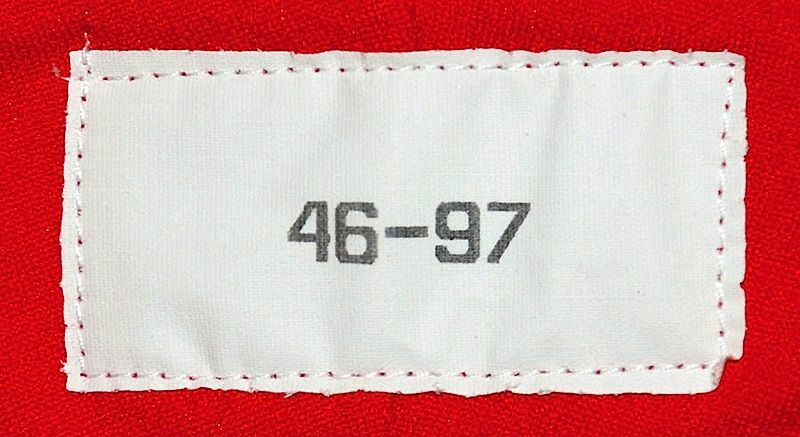 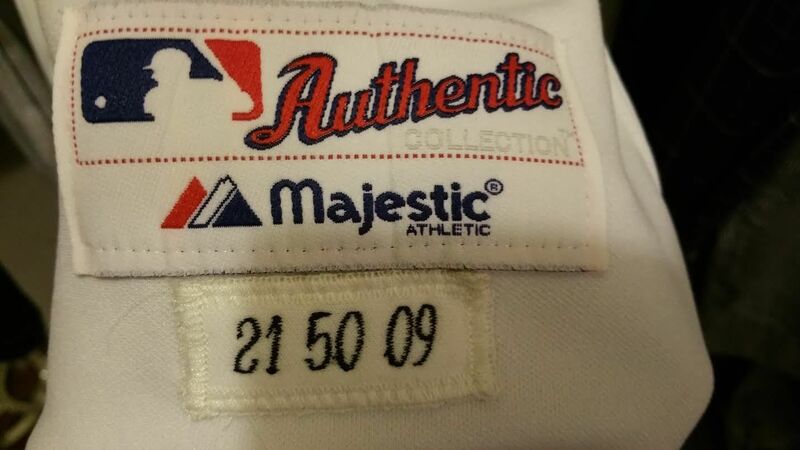 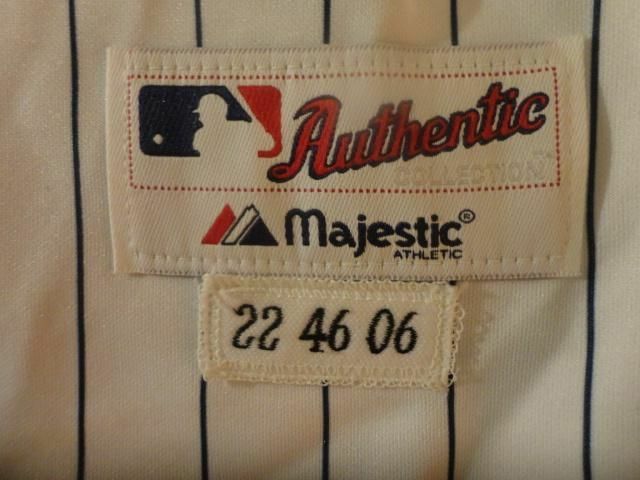 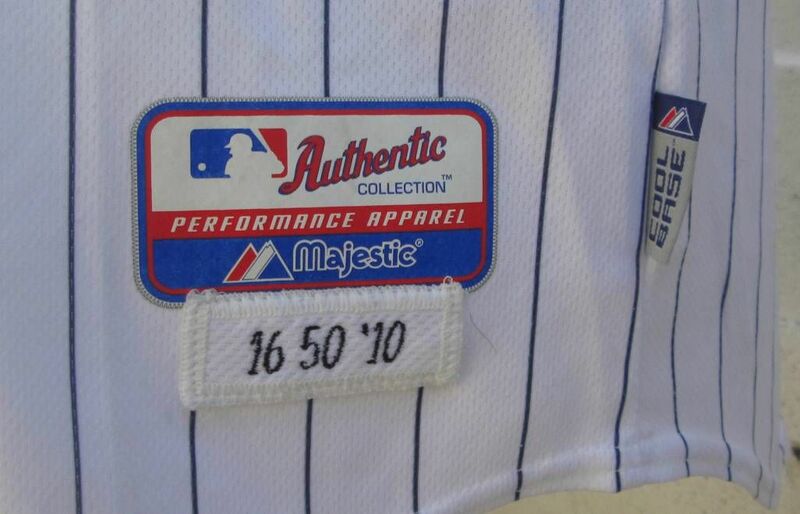 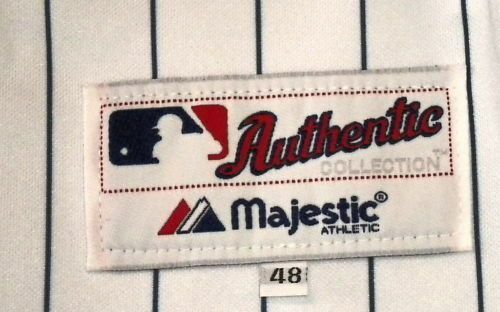 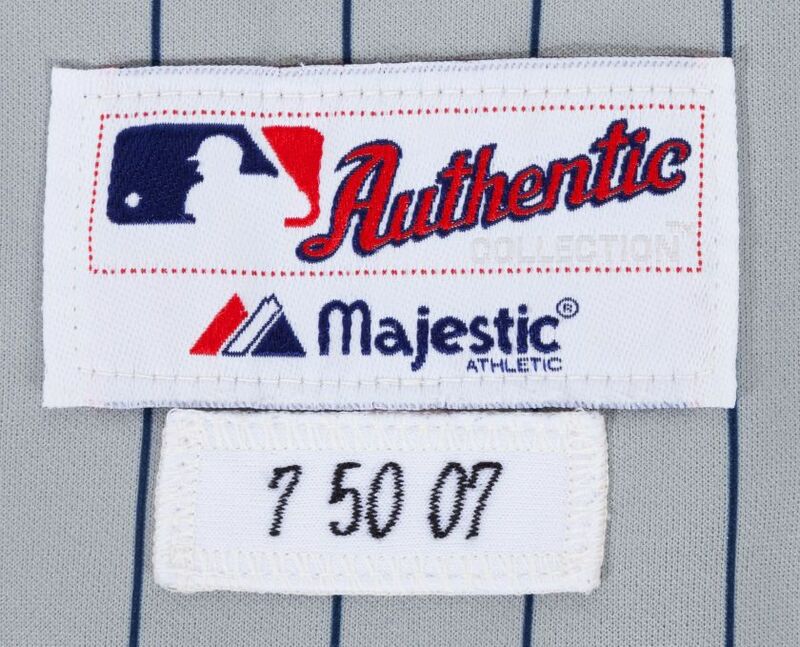 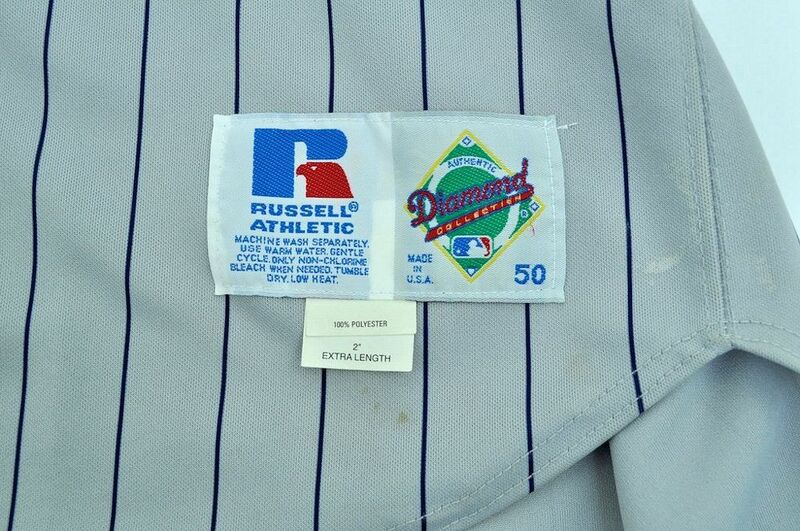 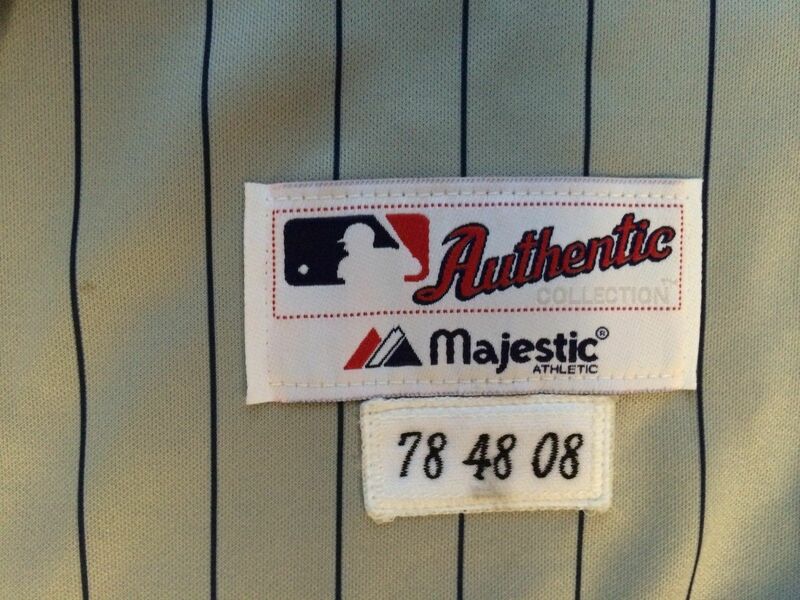 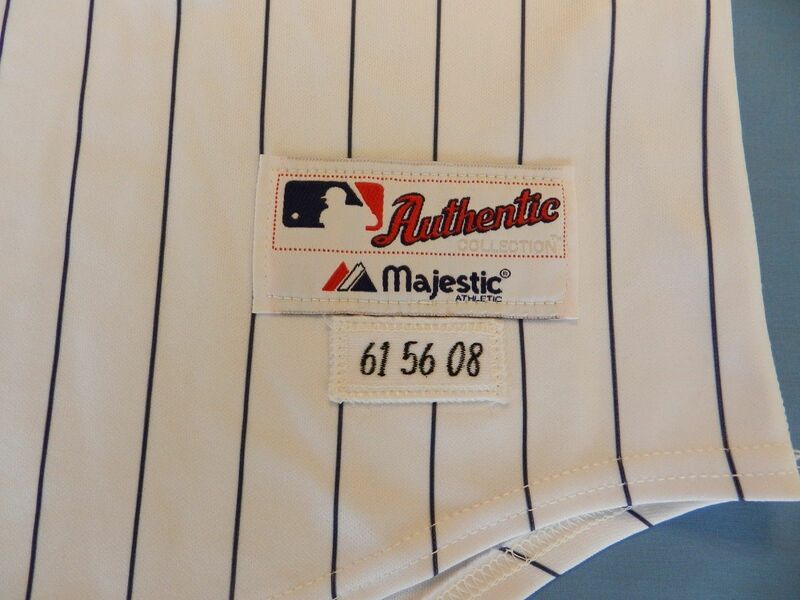 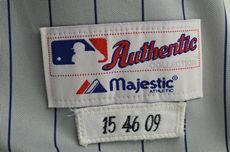 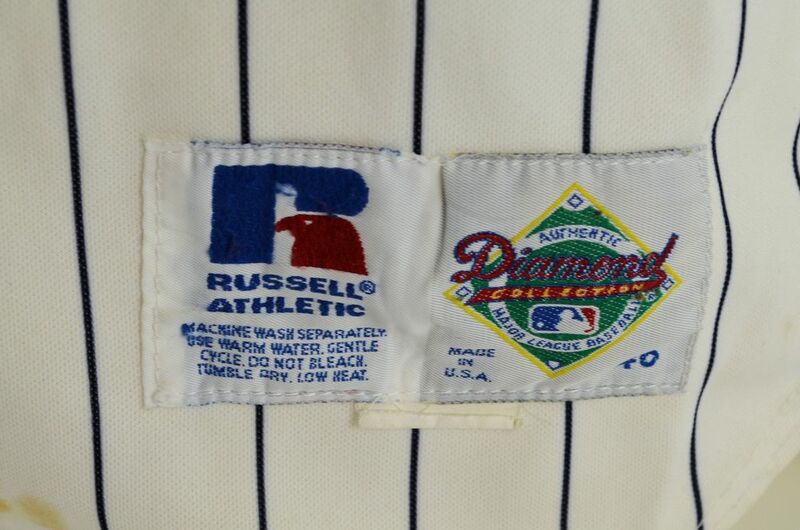 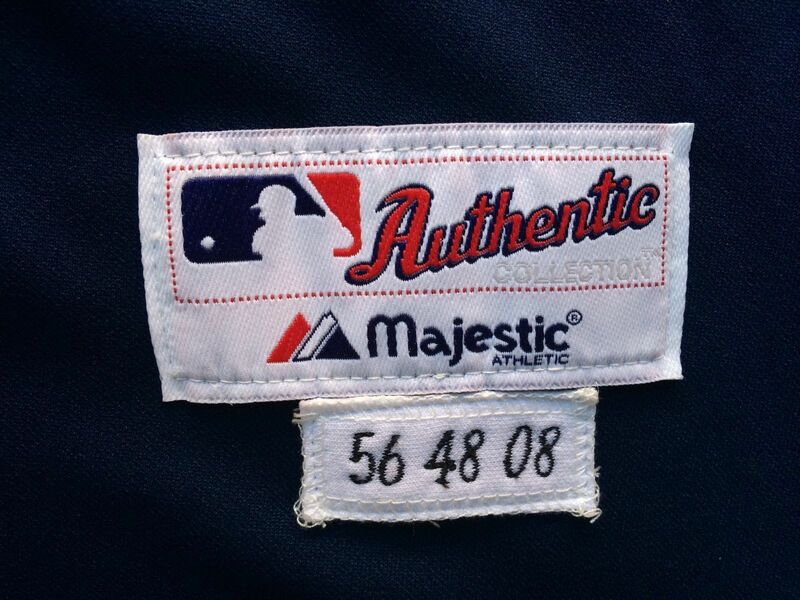 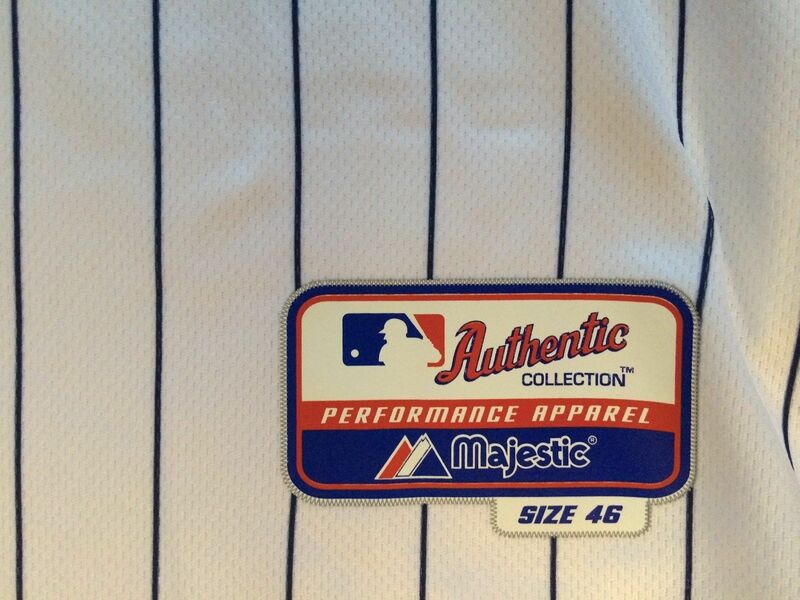 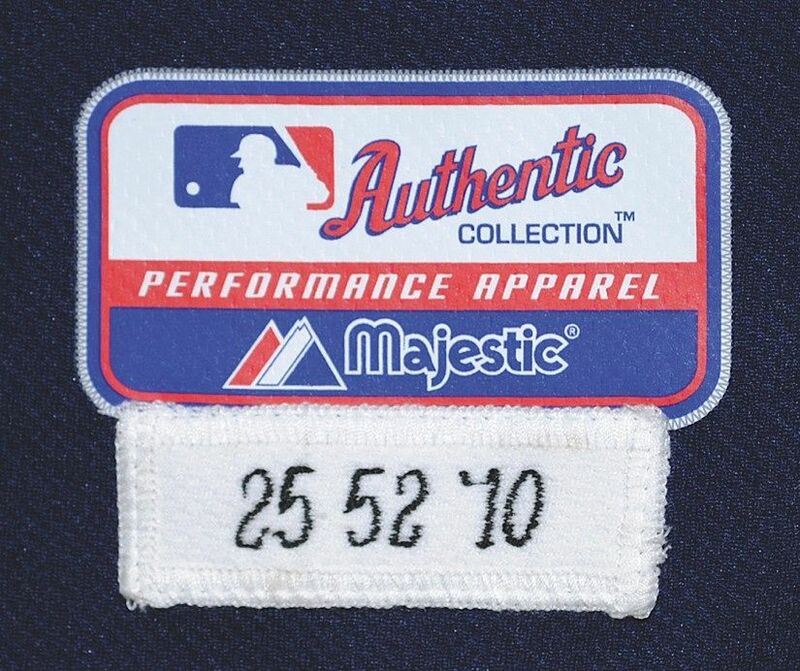 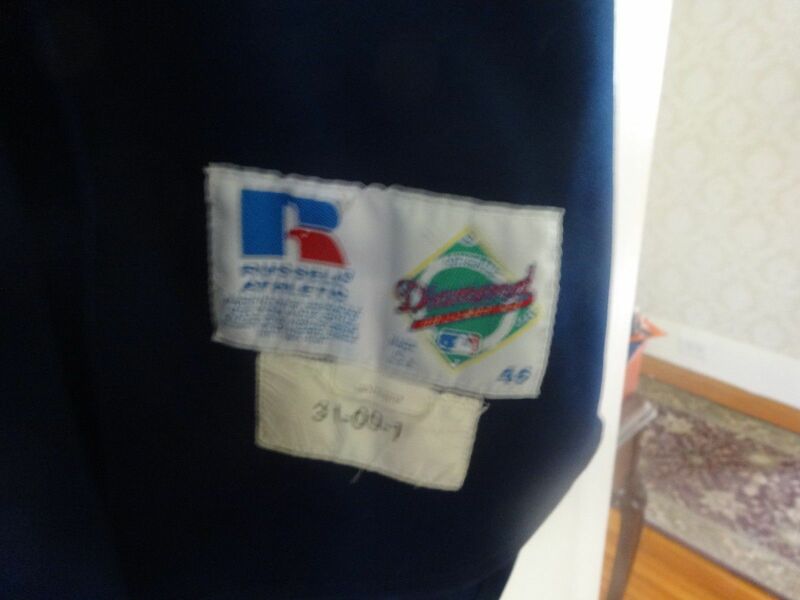 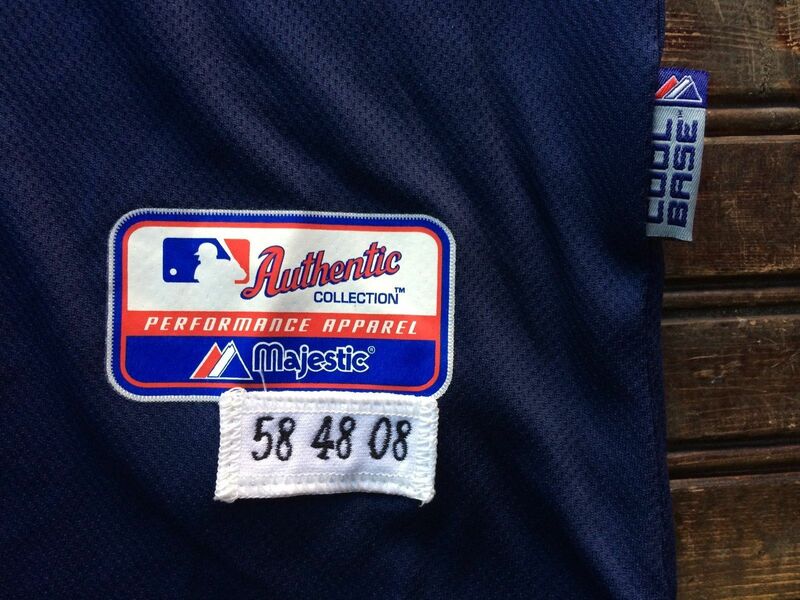 Patch for 40th anniversary of the 1965 AL title worn on 2005 jerseys. 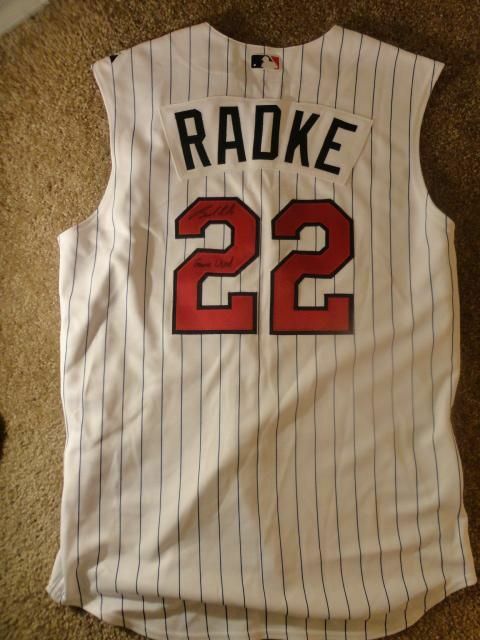 Alternate home vest joins the set. 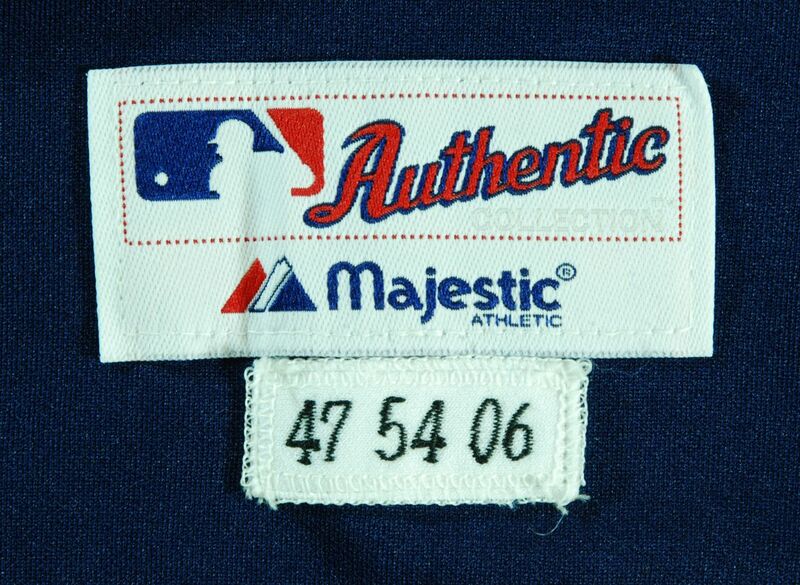 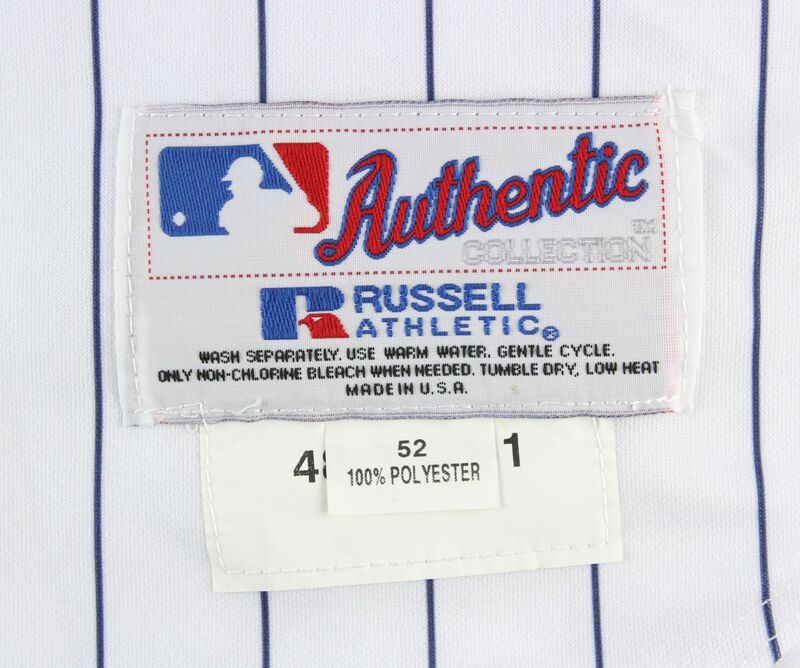 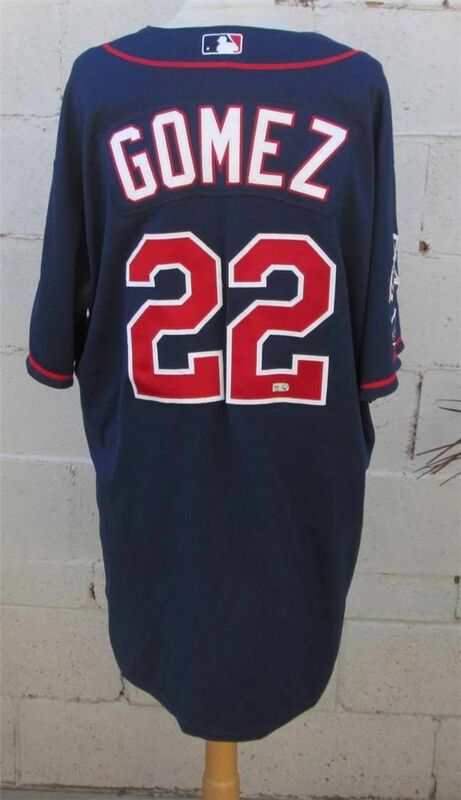 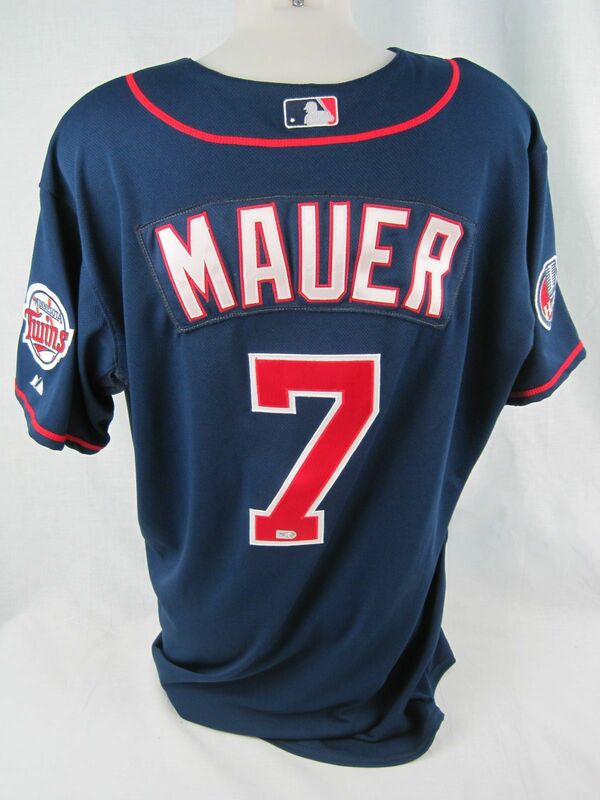 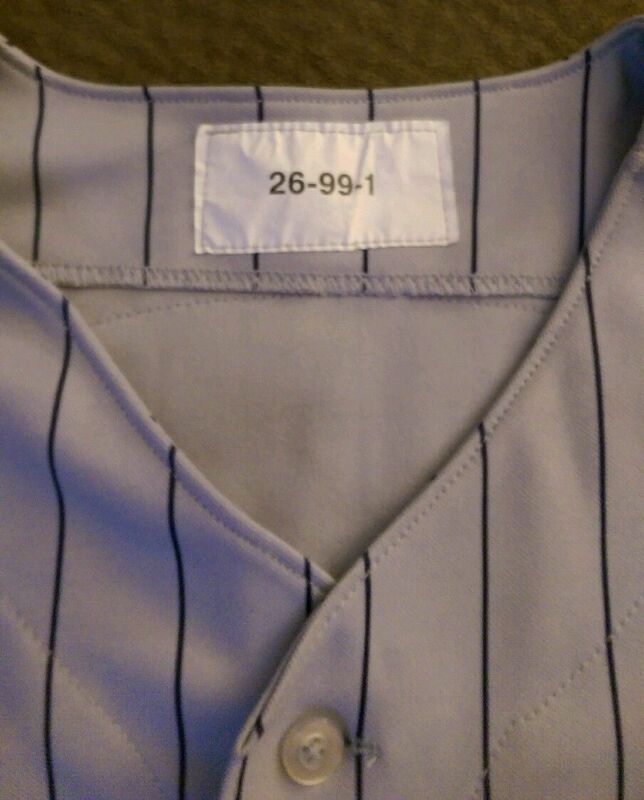 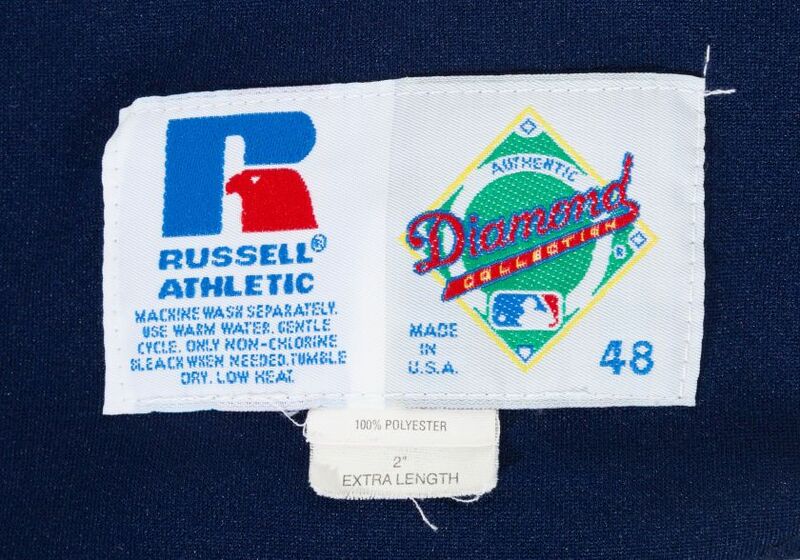 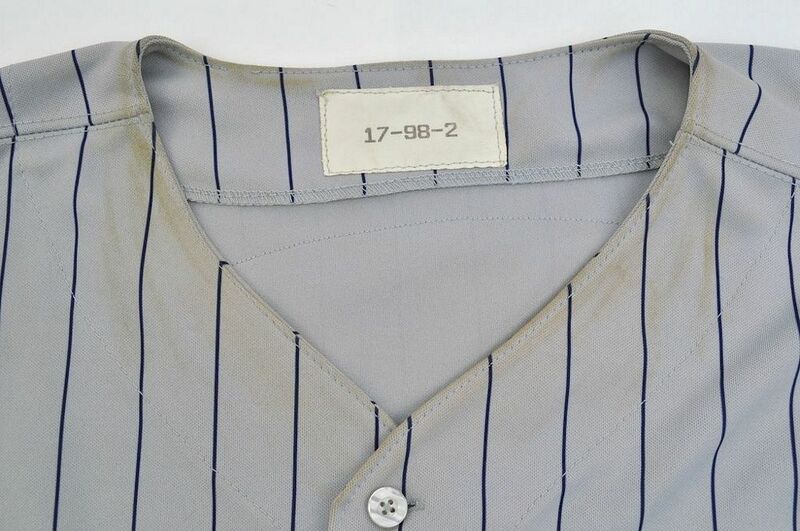 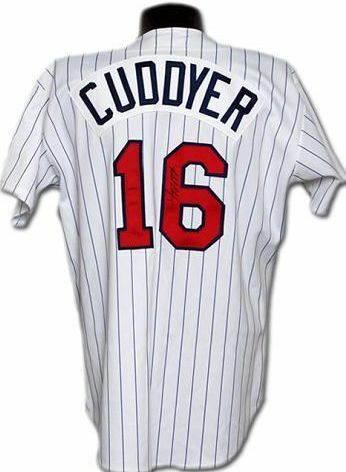 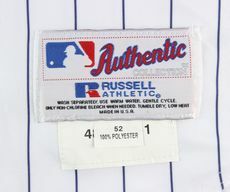 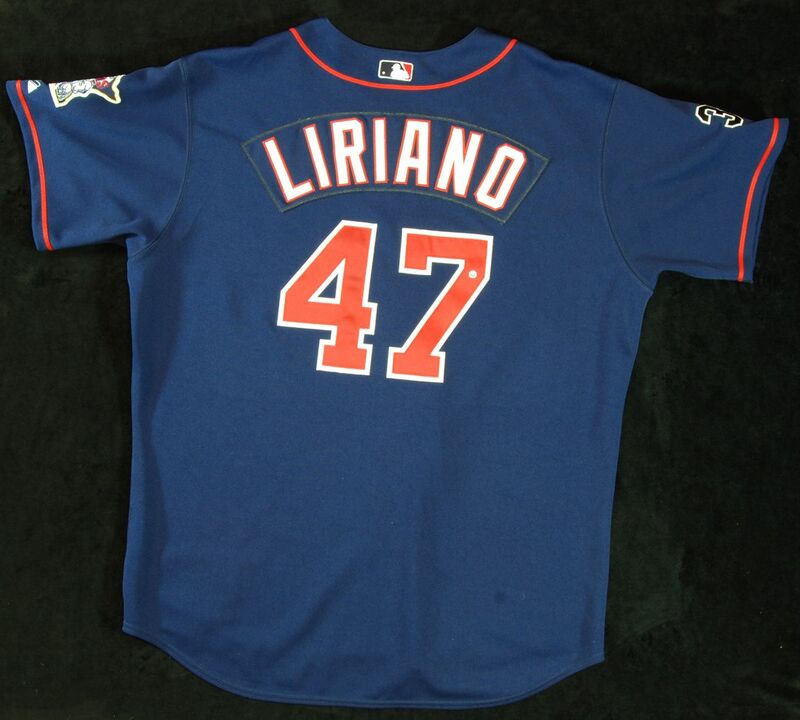 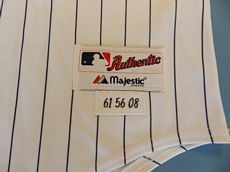 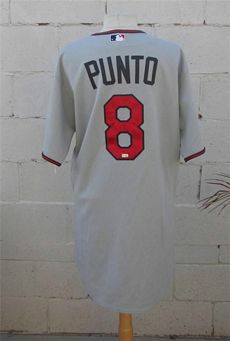 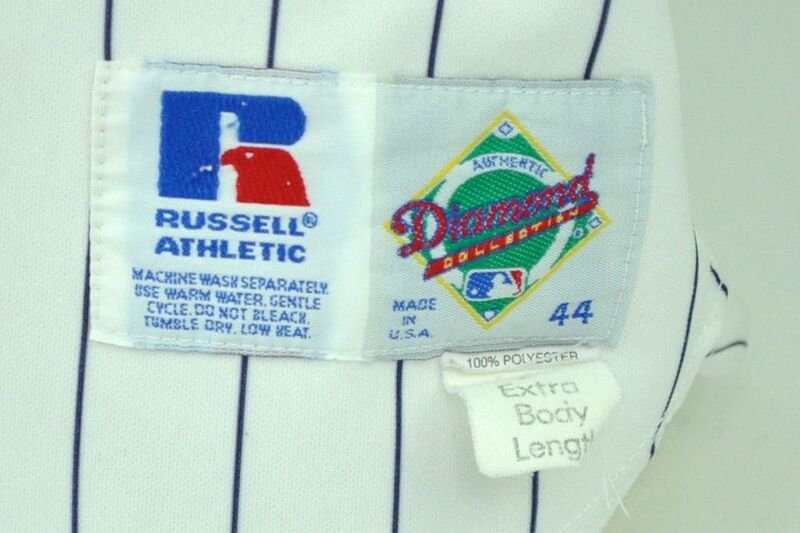 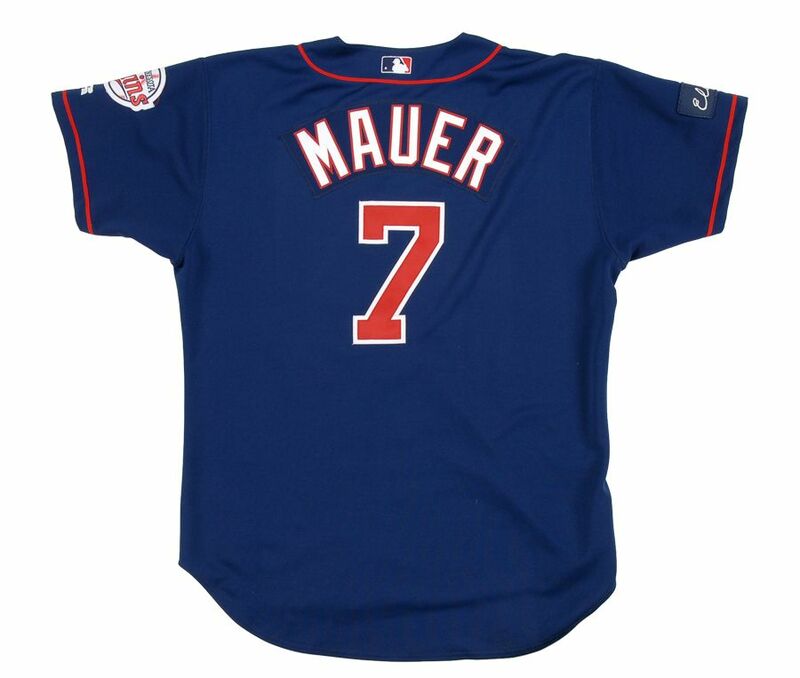 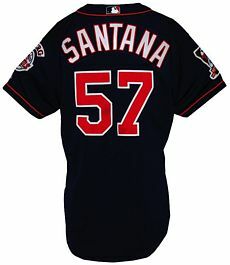 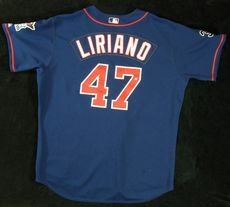 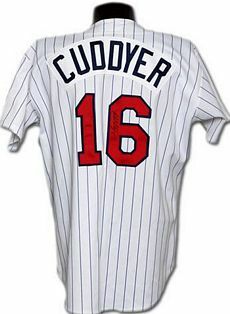 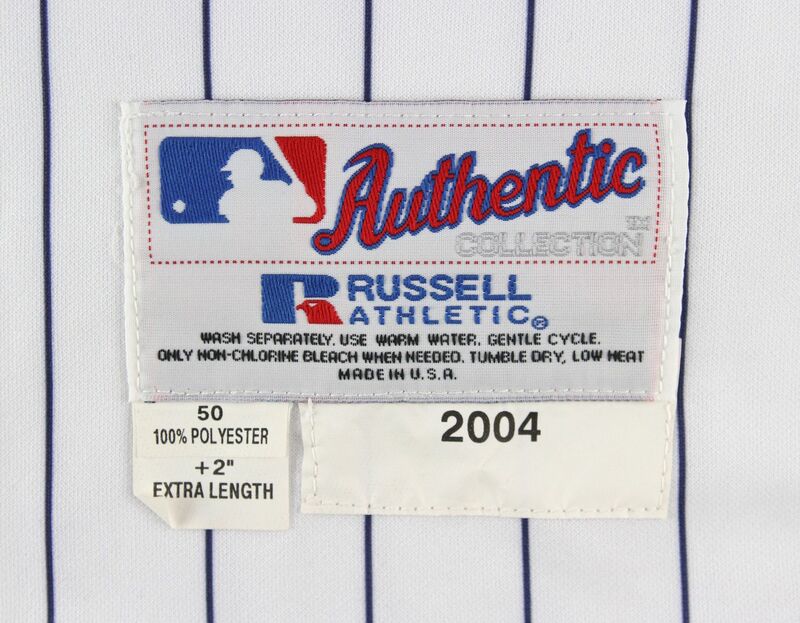 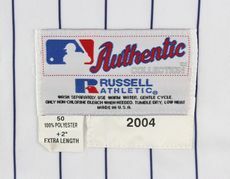 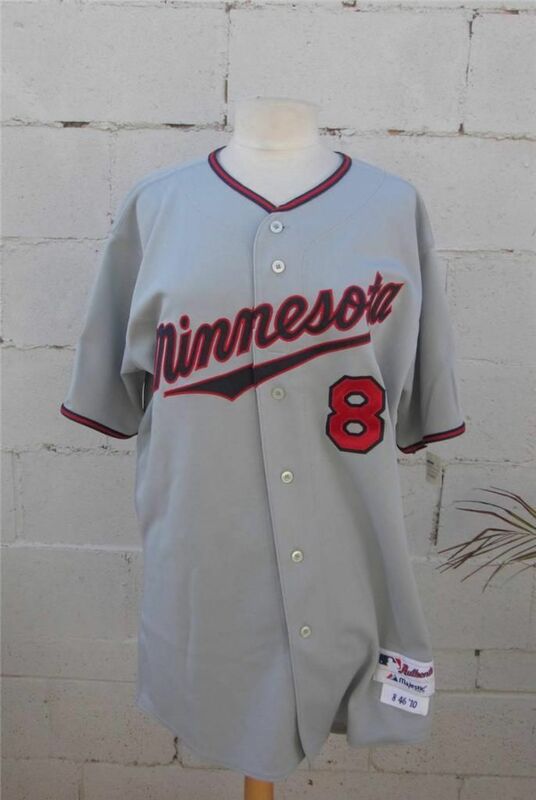 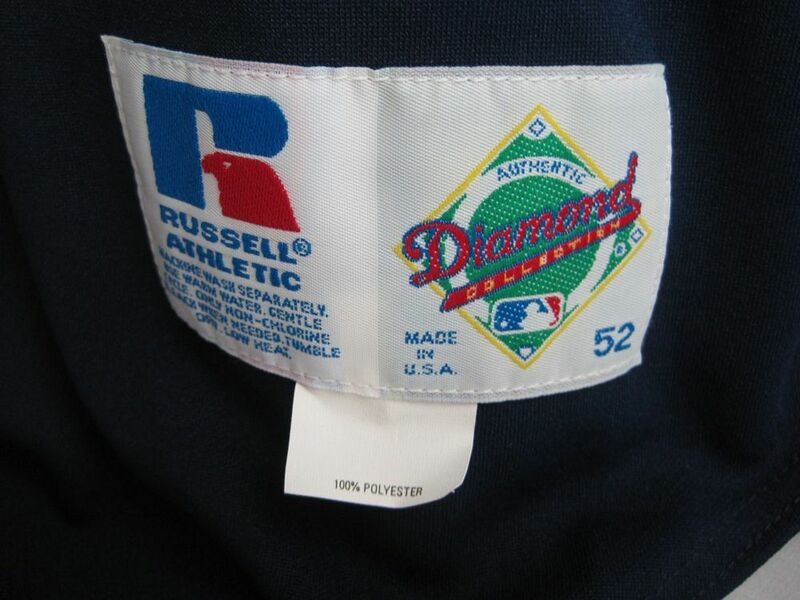 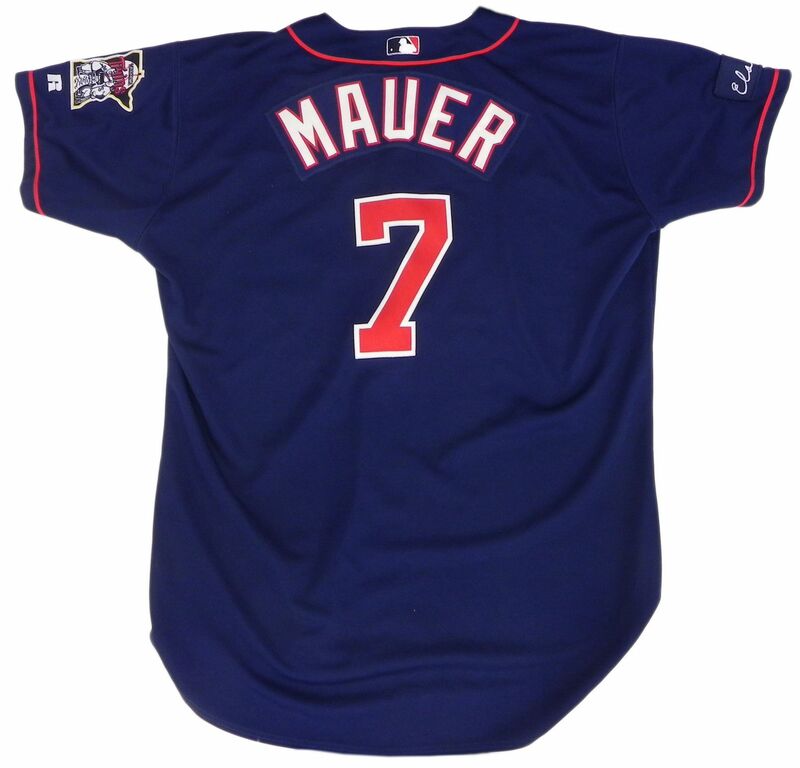 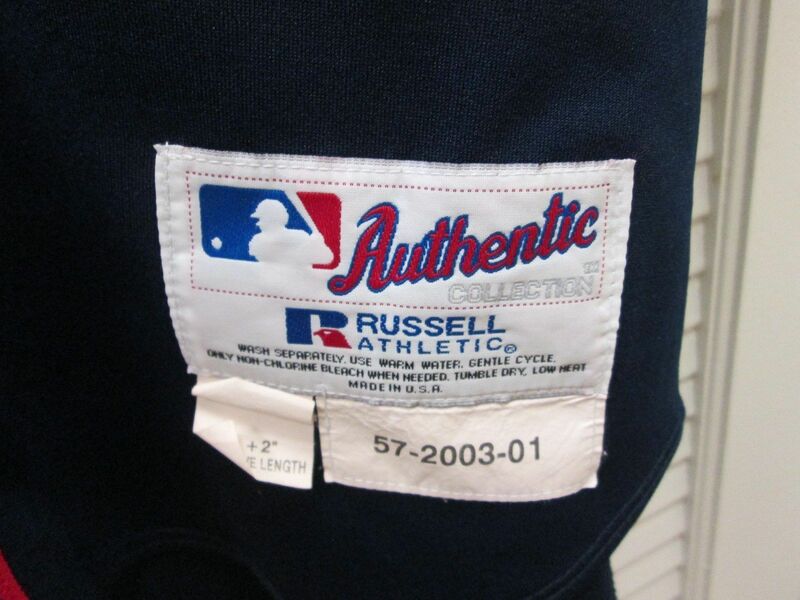 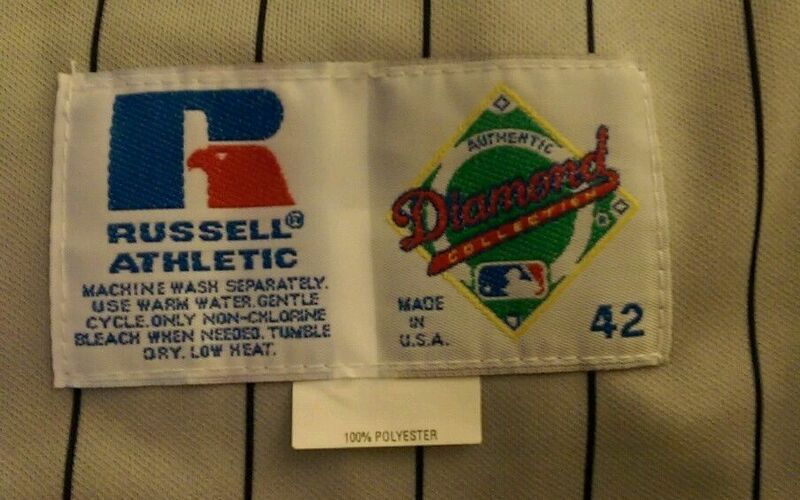 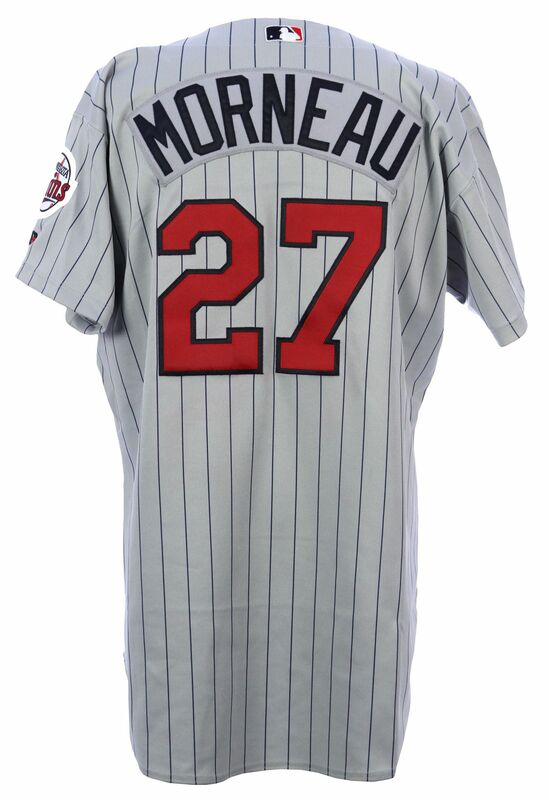 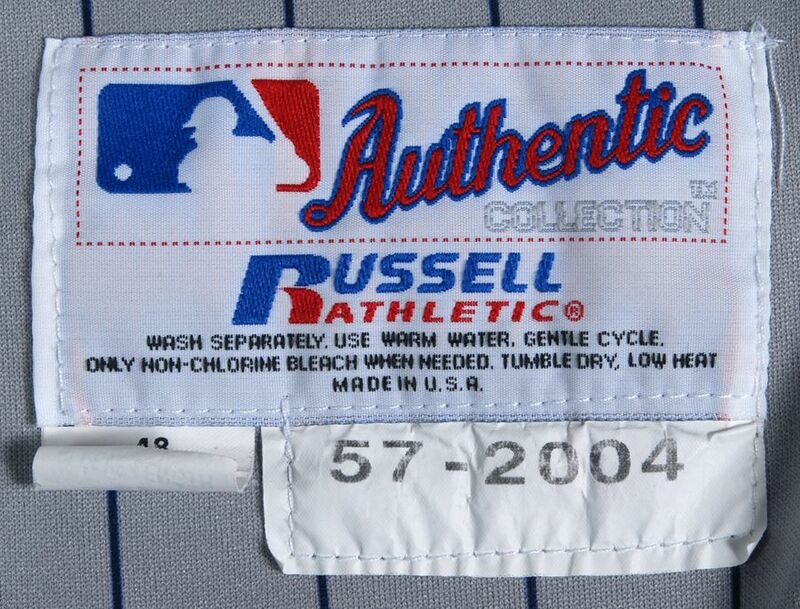 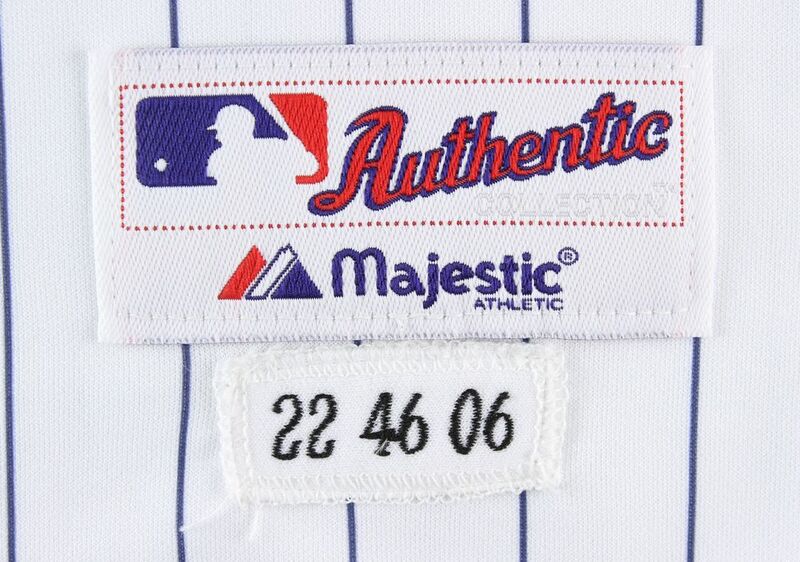 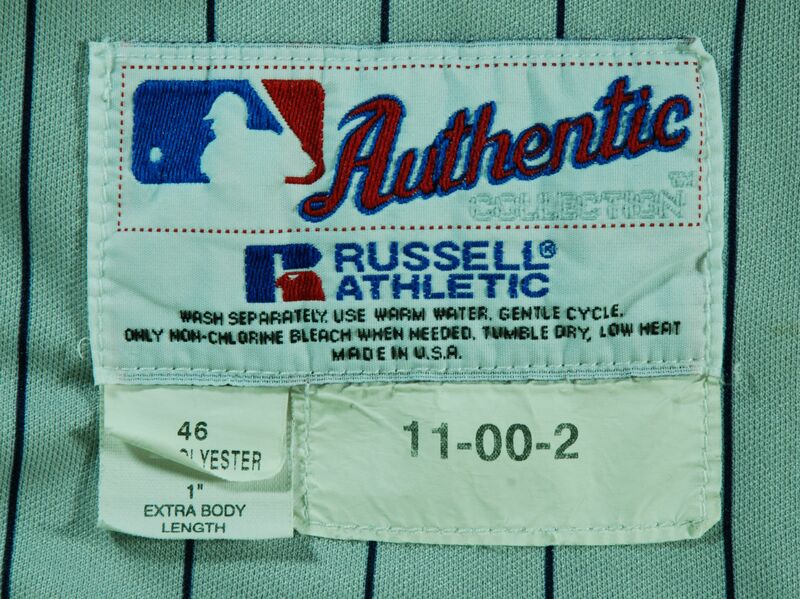 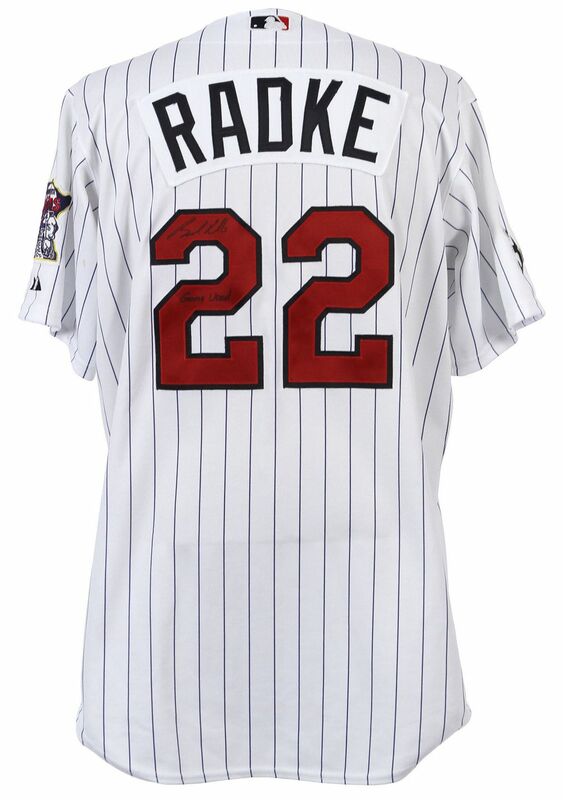 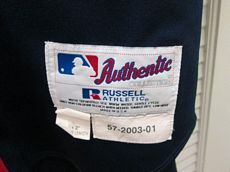 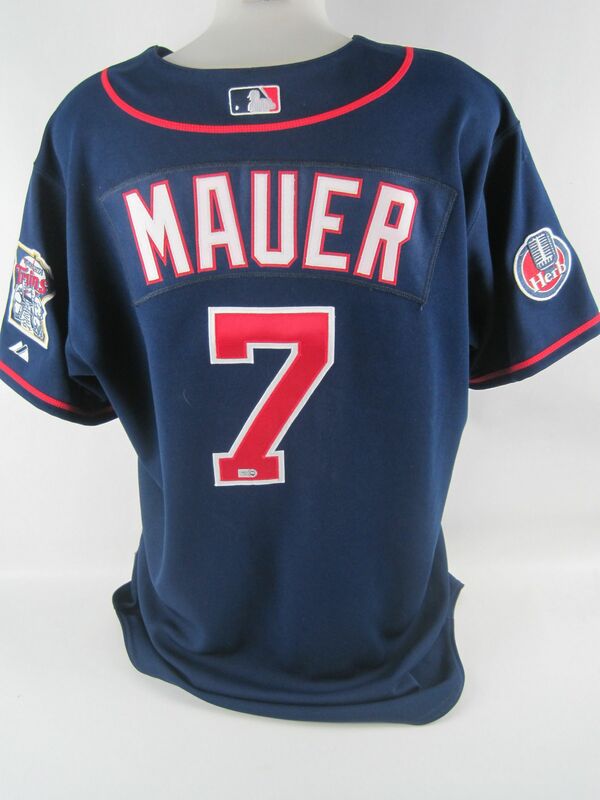 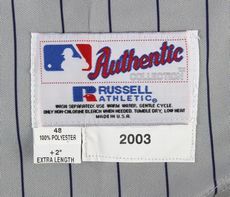 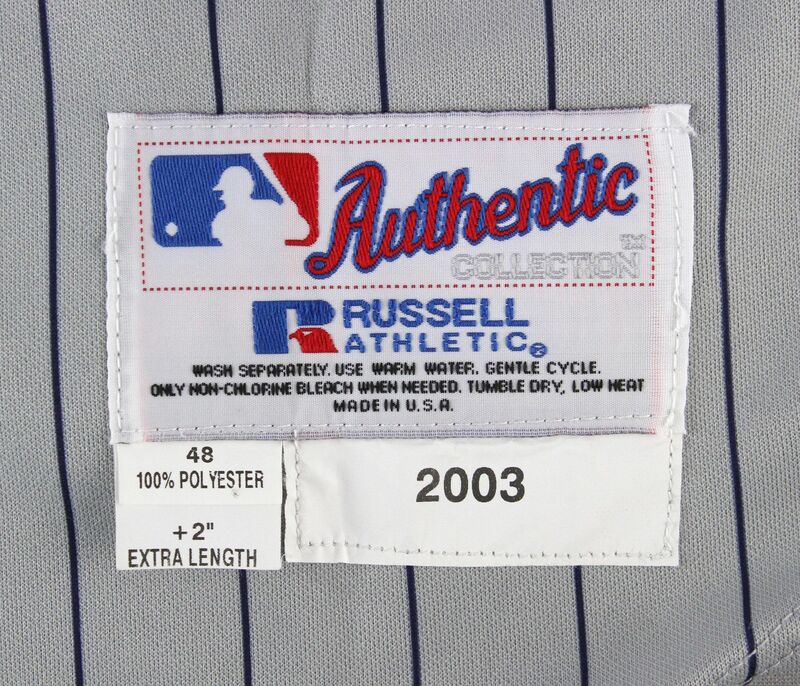 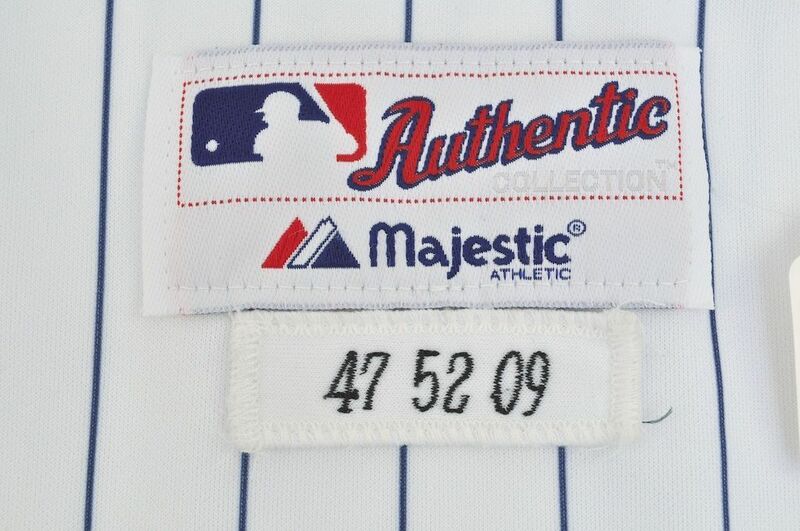 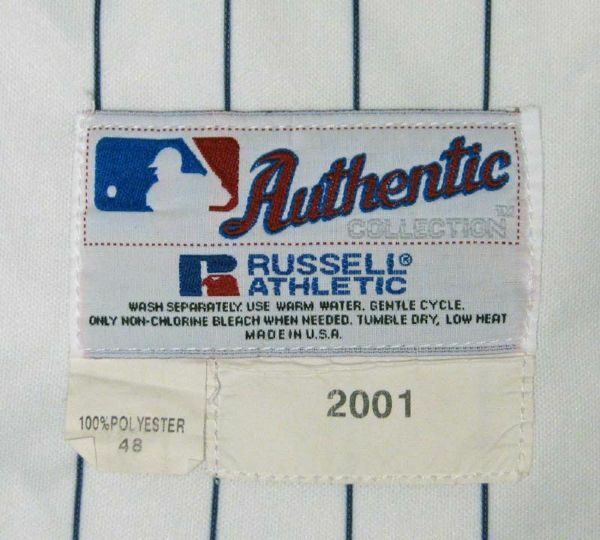 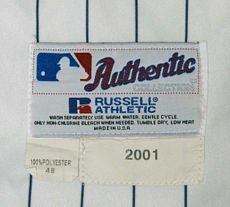 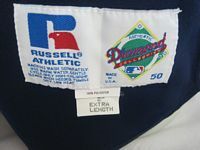 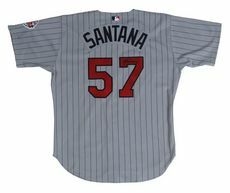 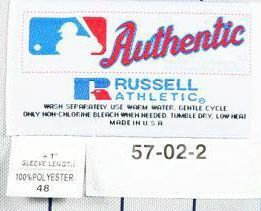 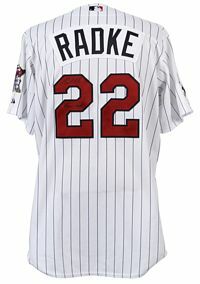 Cool Base jerseys begin to be used as well as double knit. 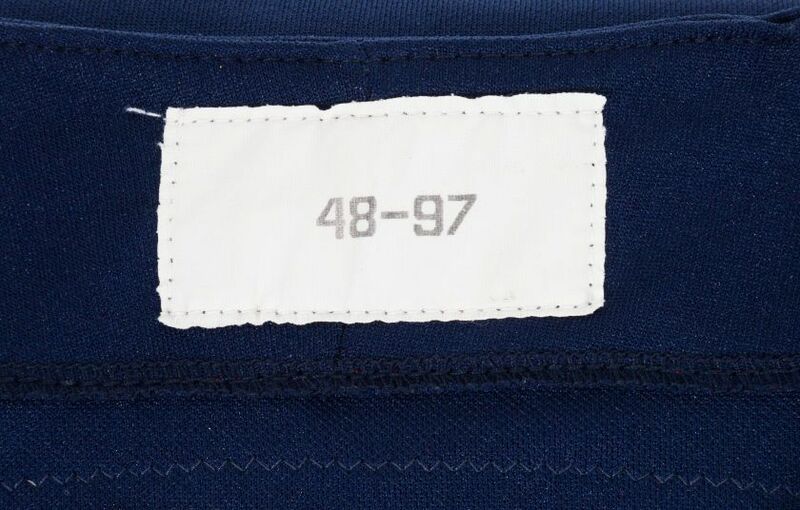 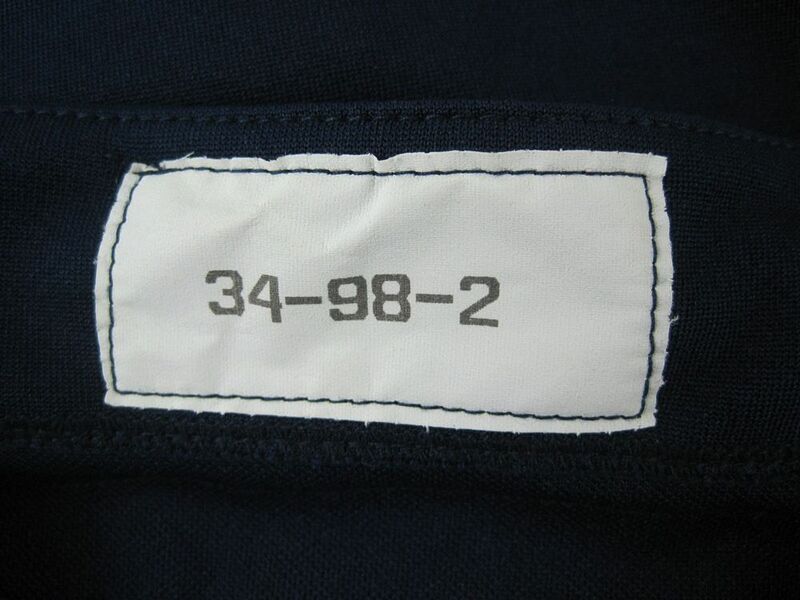 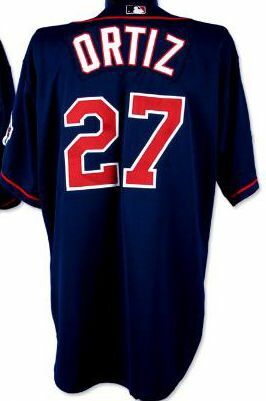 Alternate navy road jersey dropped. New throwback home alternate, similar to the 1972-73 jersey, is added. 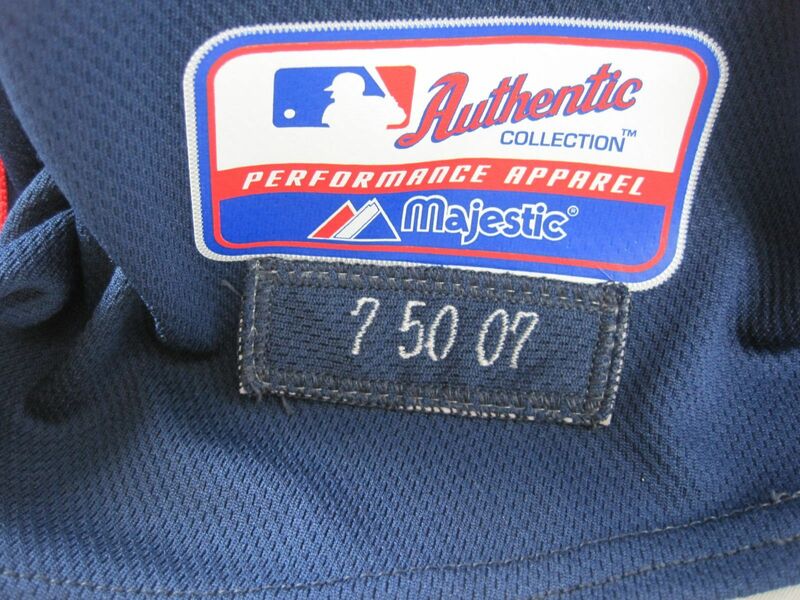 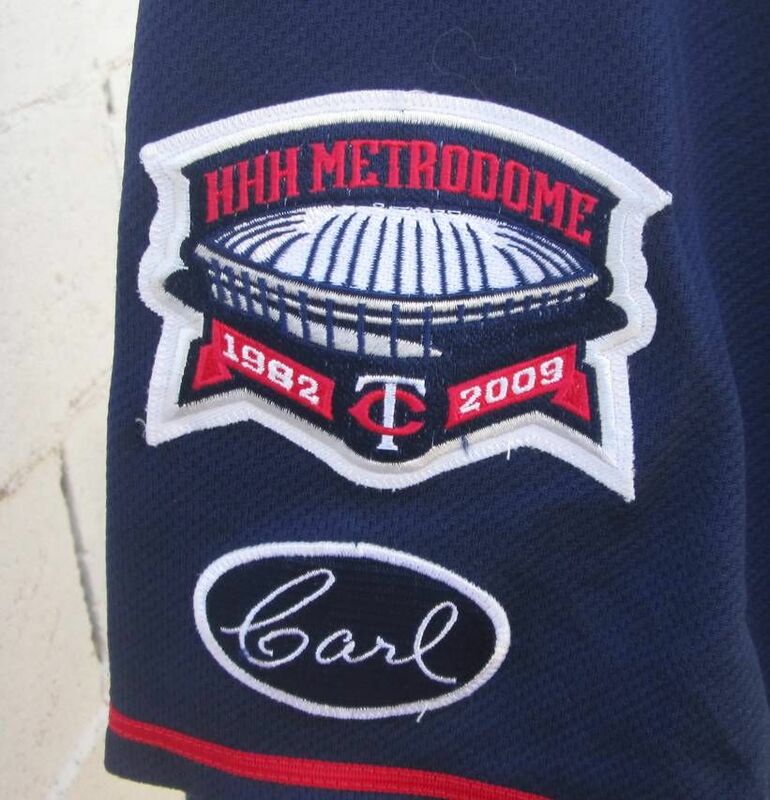 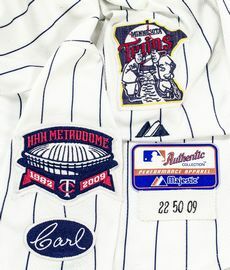 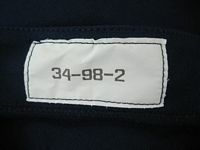 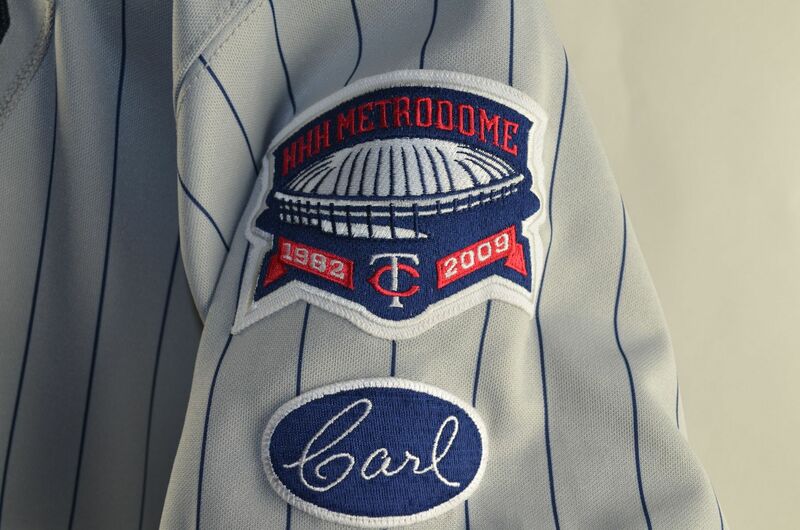 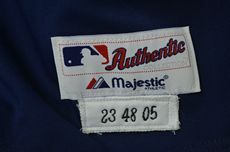 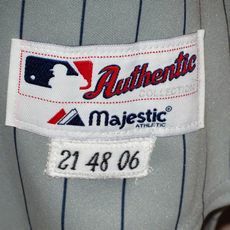 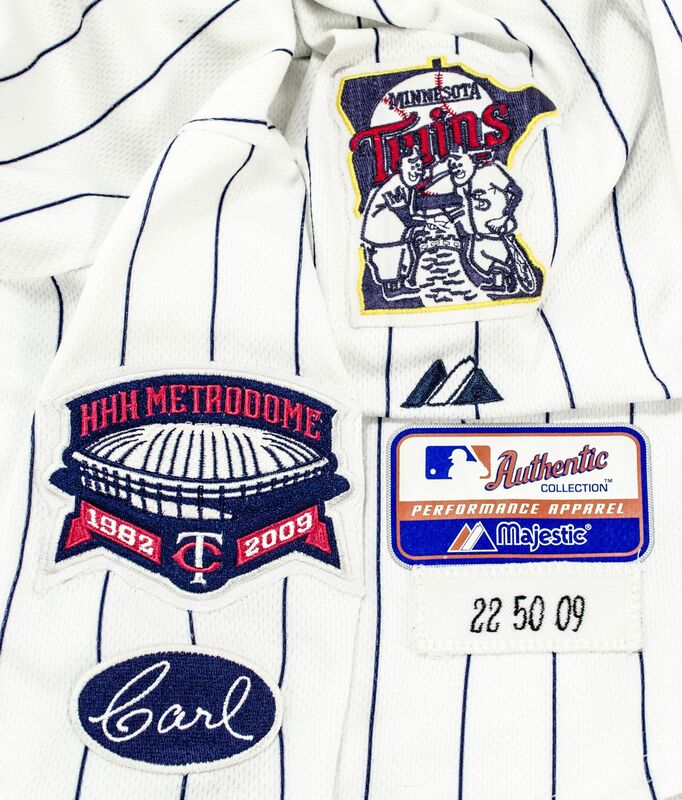 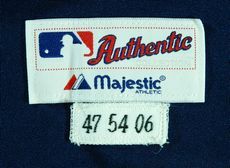 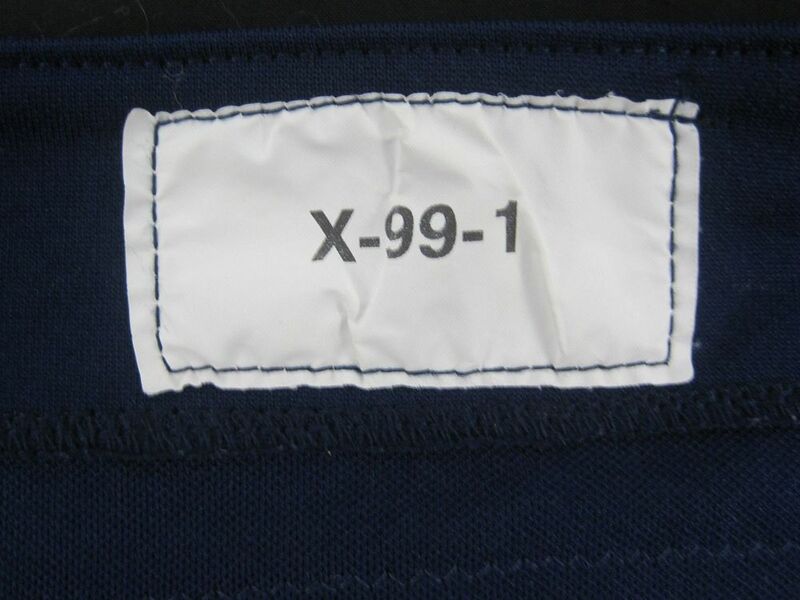 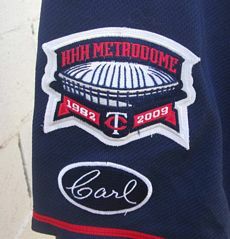 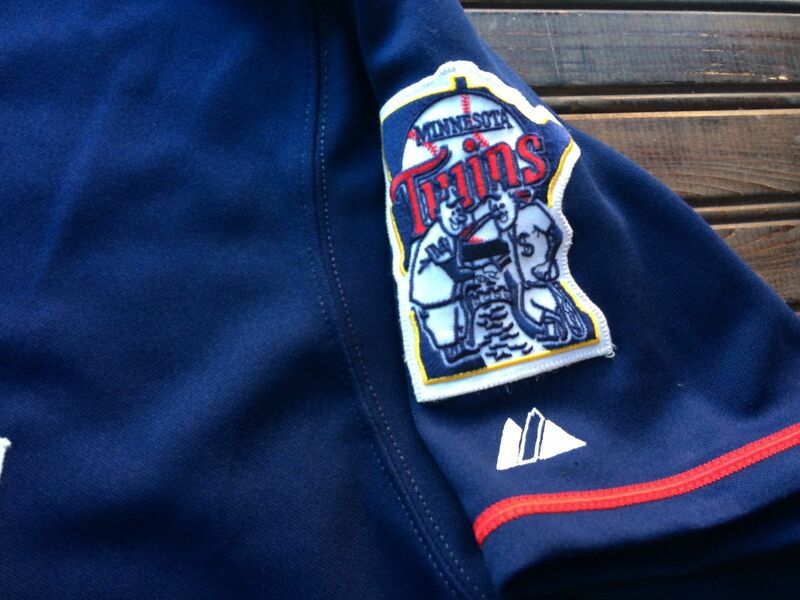 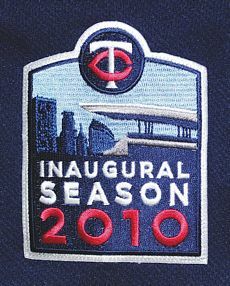 Metrodome final year patch used in 2009. 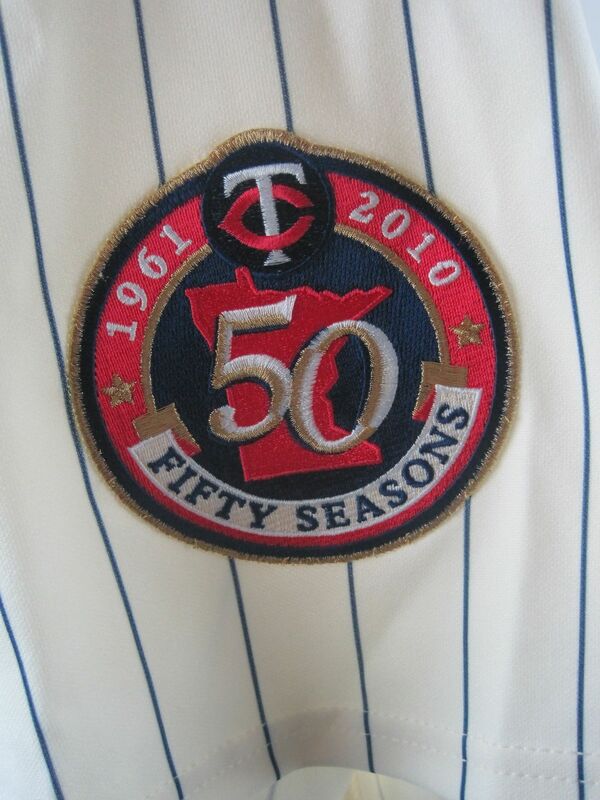 Throwback alternate dropped and a new alternate home jersey similar to the cream jerseys of 1961-71 debuts to celebrate the team's 50th year in Minnesota. 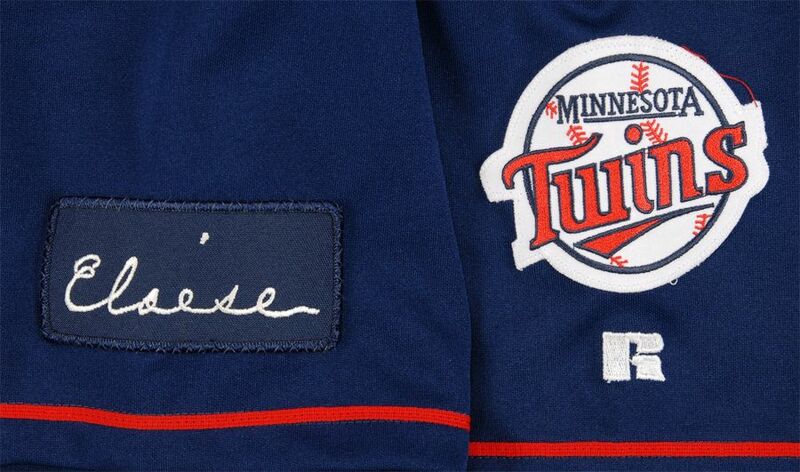 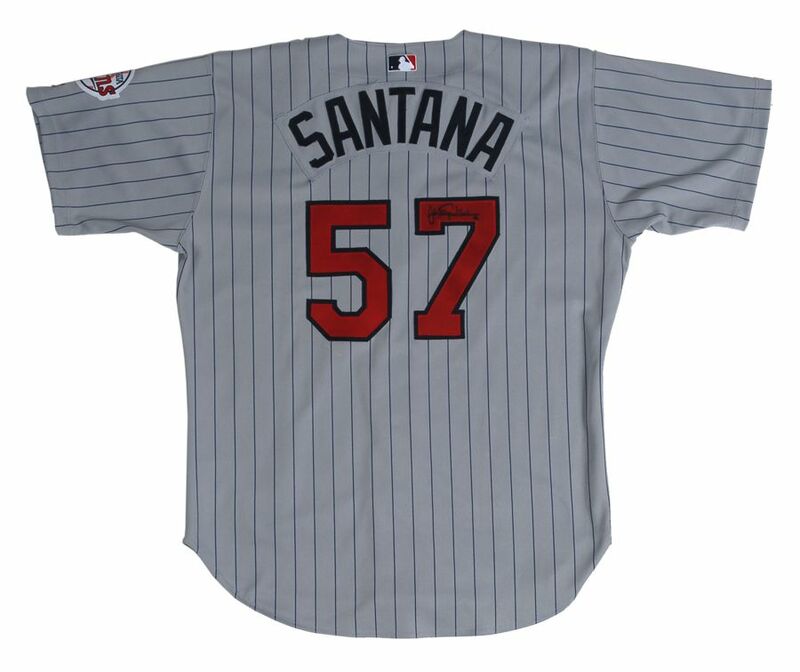 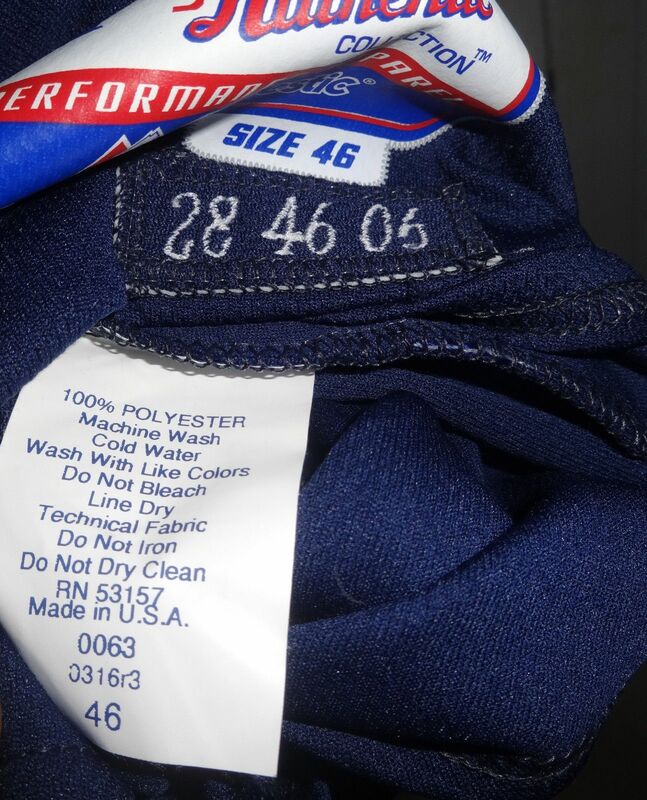 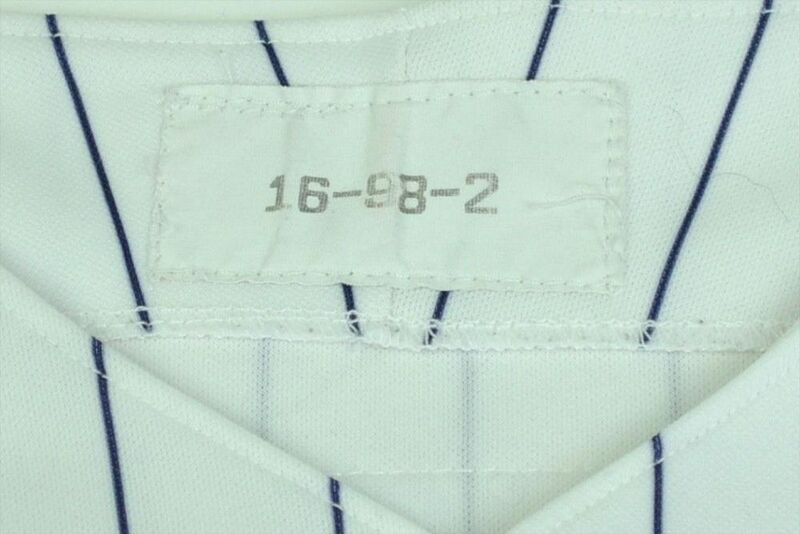 Script tweaked on home jersey (note the "s"). 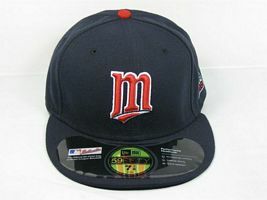 Road jersey redesigned, and a new road cap debuts. NOB lettering now sewn on directly. 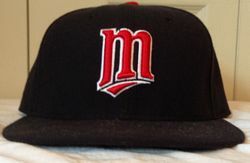 Red alternate cap is dropped. 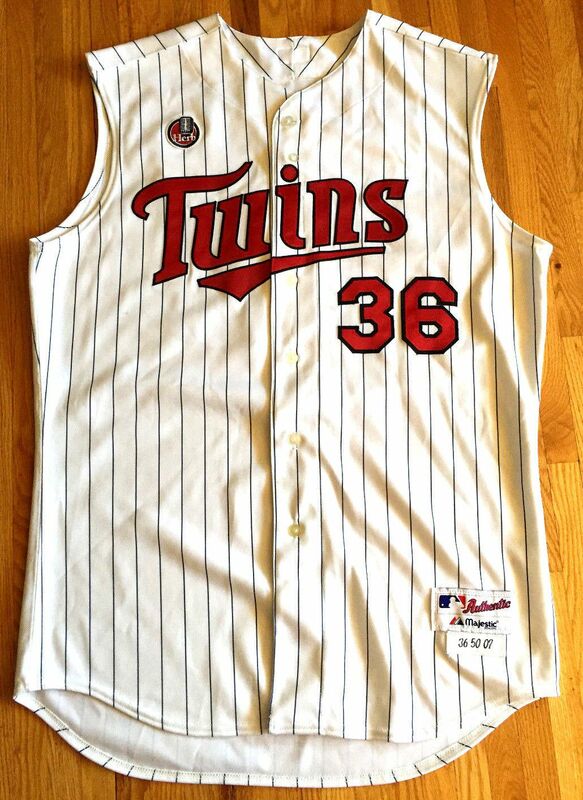 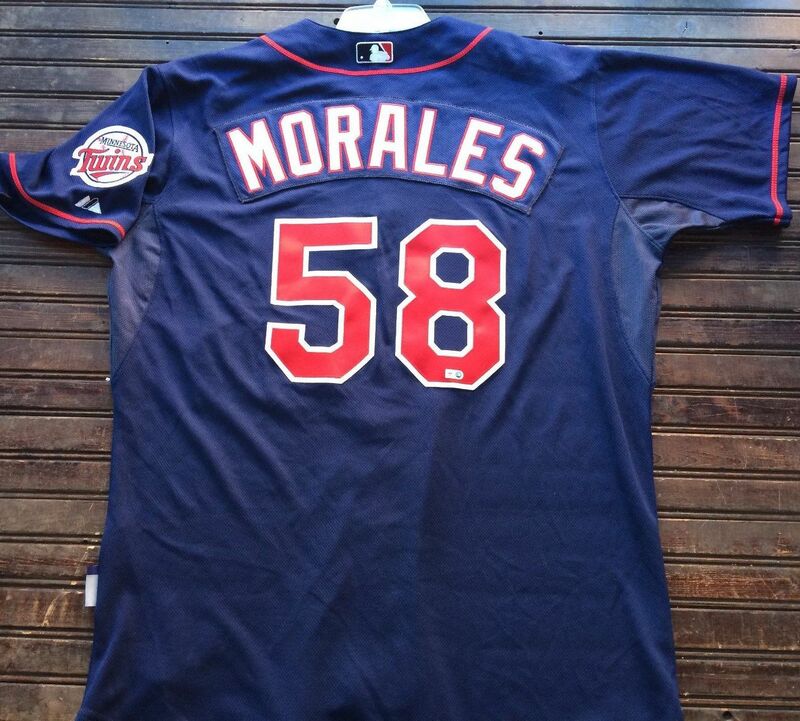 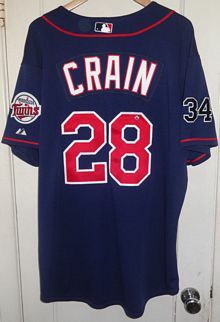 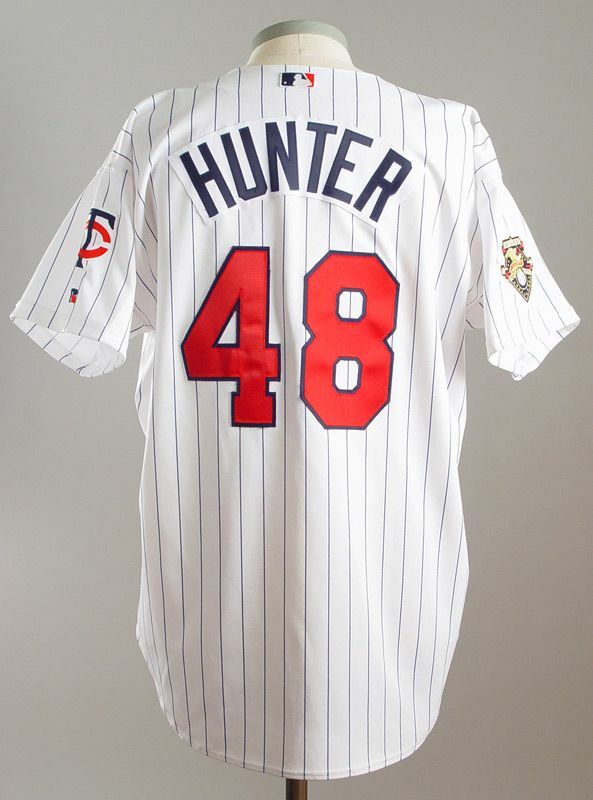 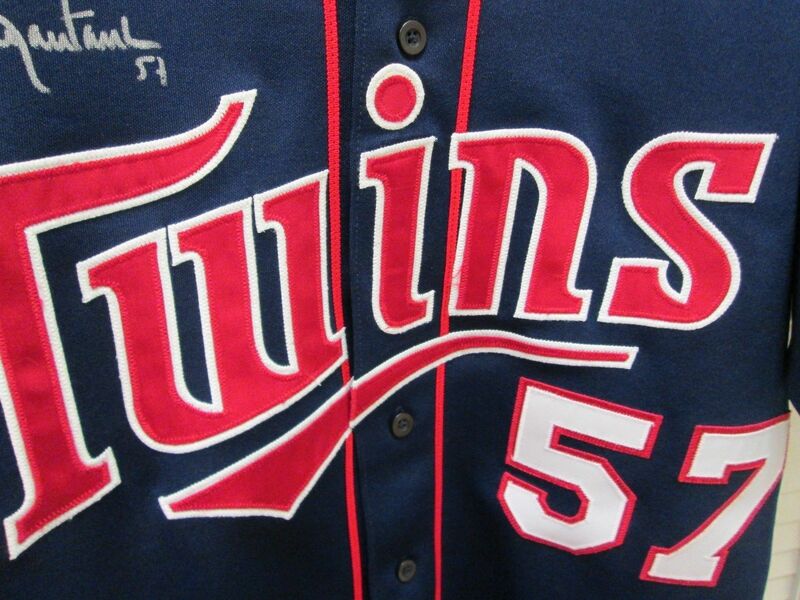 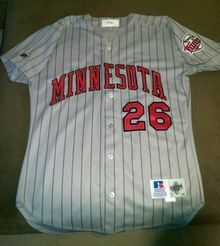 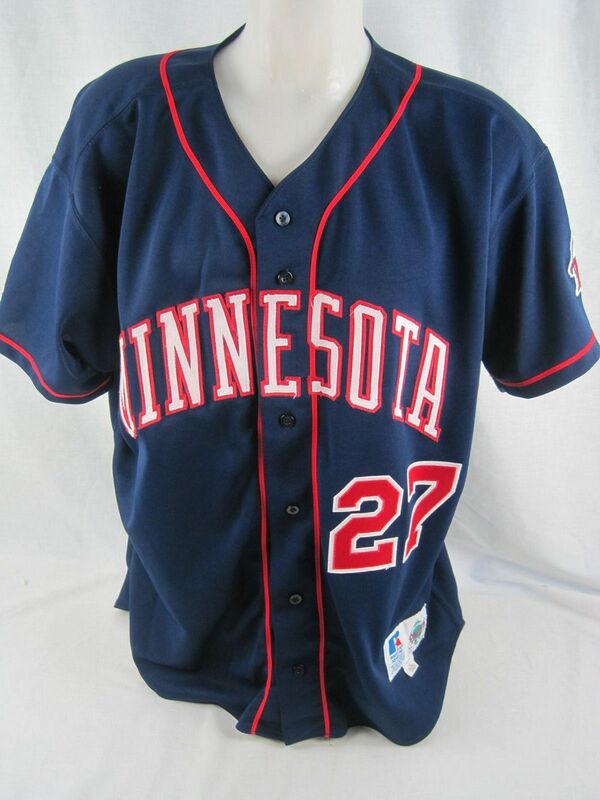 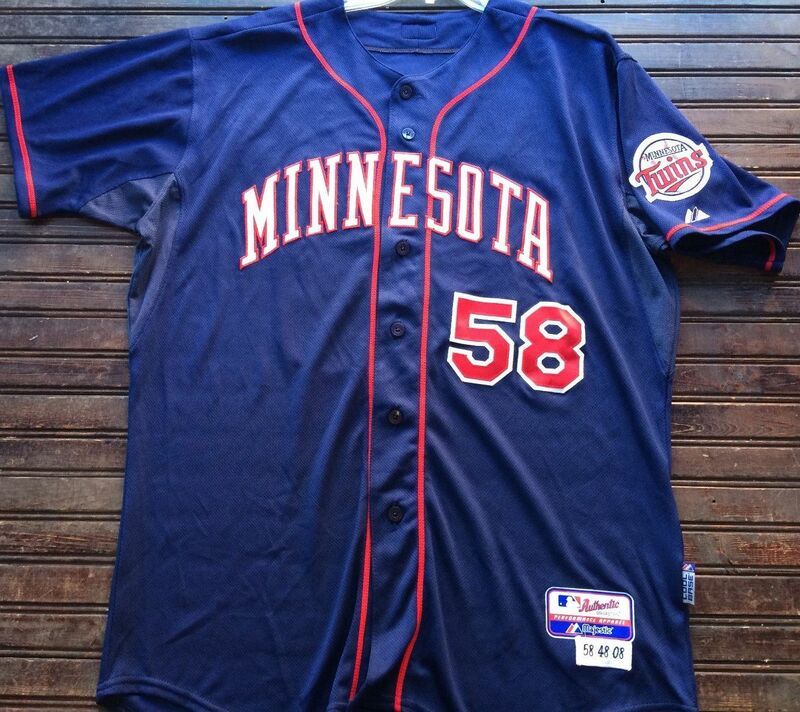 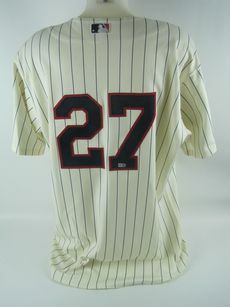 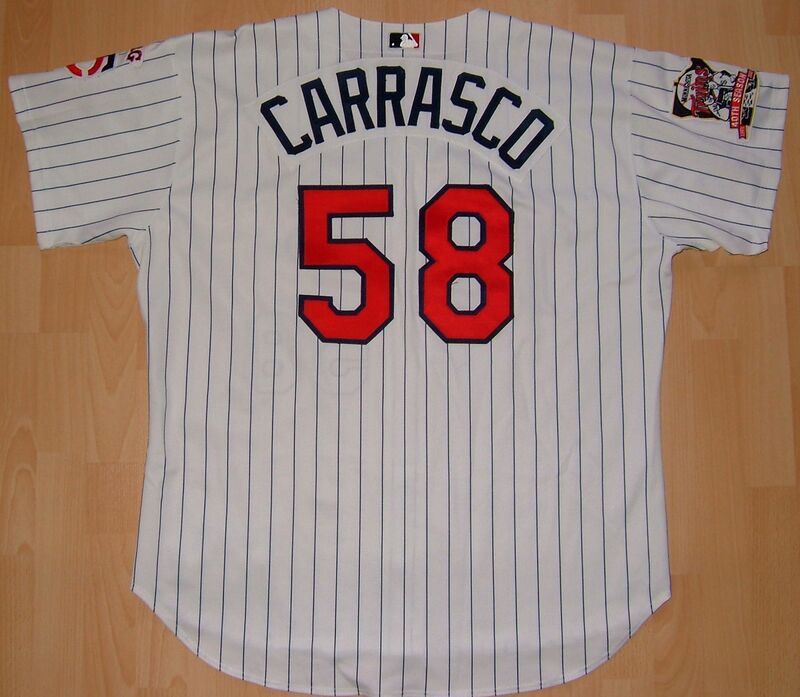 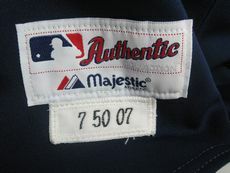 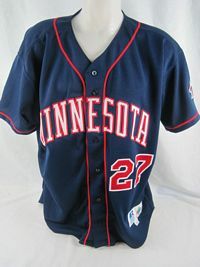 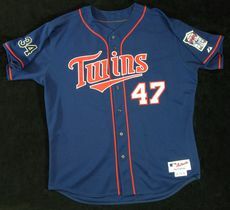 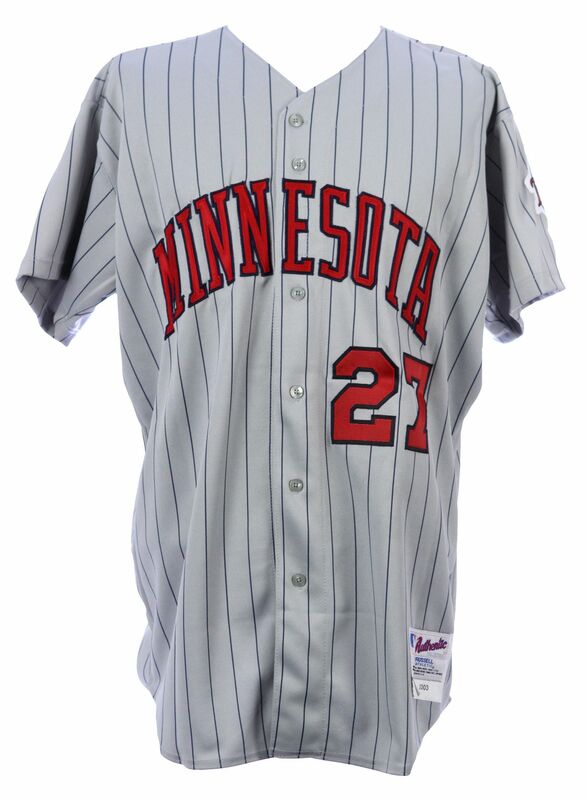 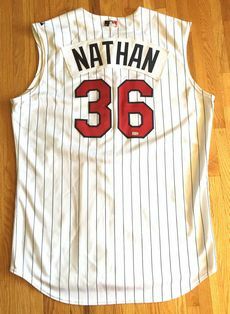 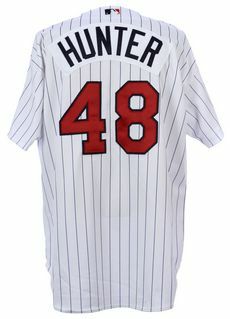 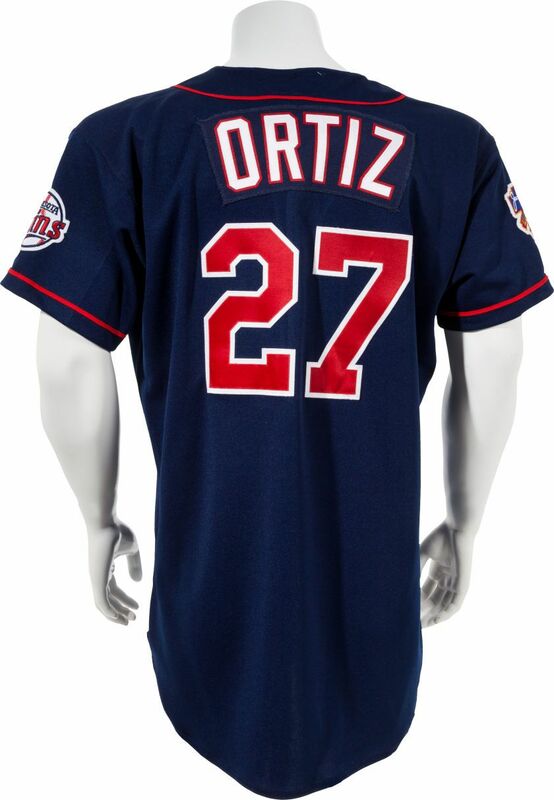 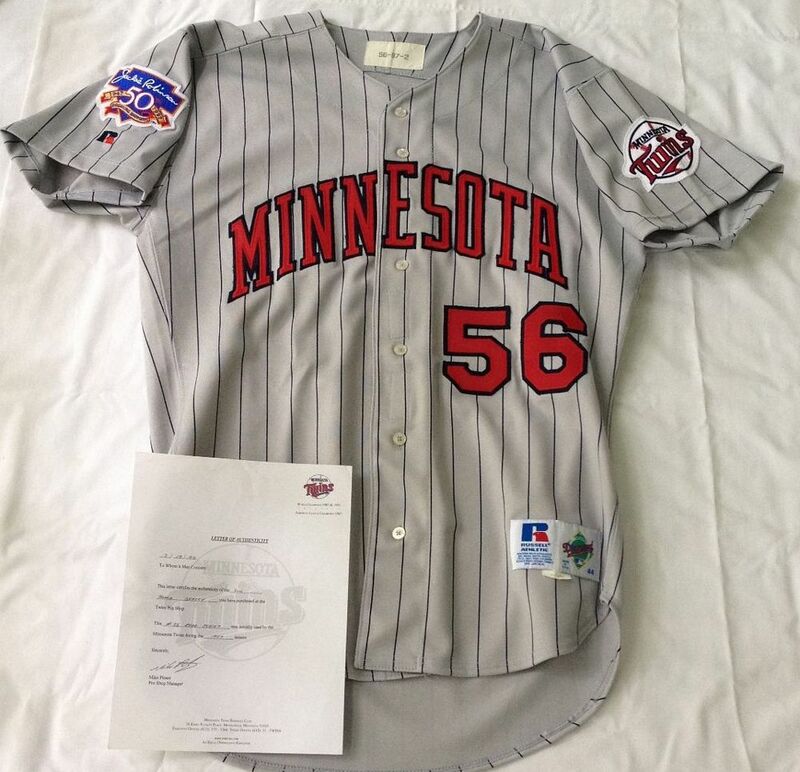 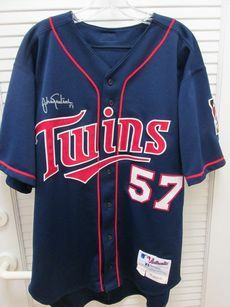 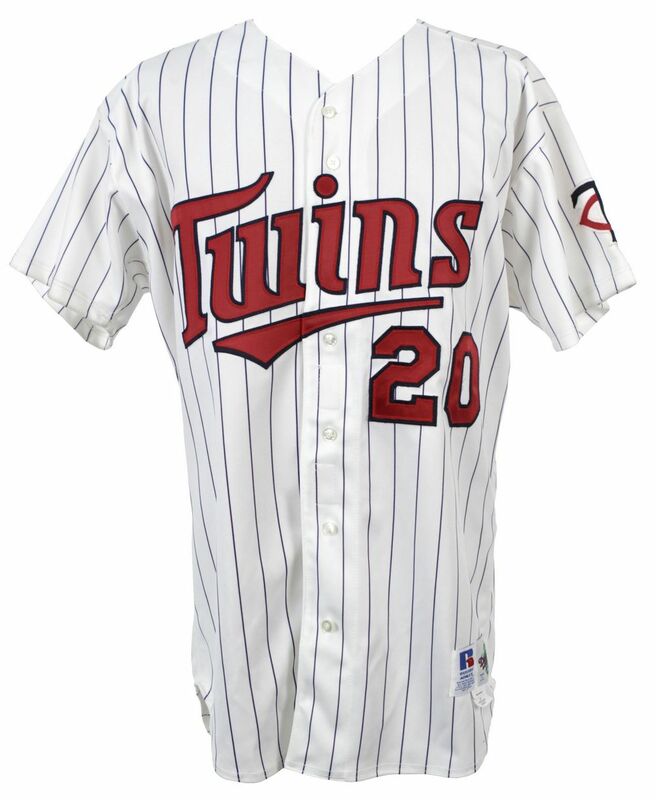 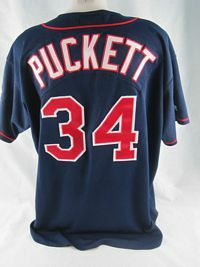 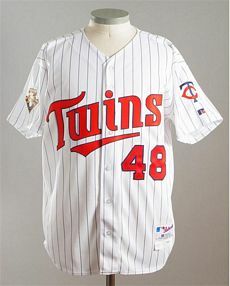 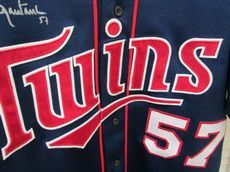 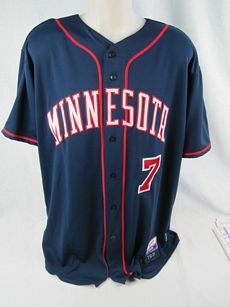 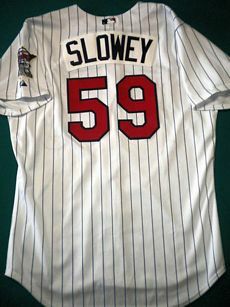 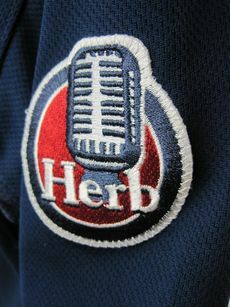 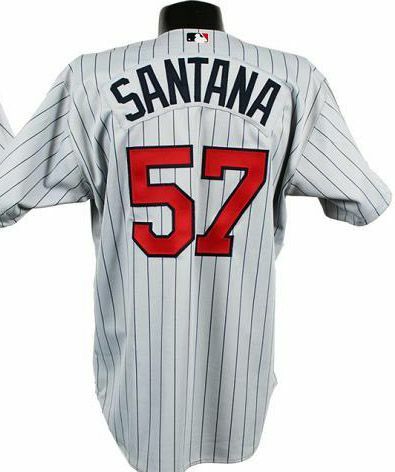 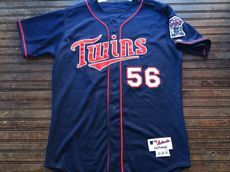 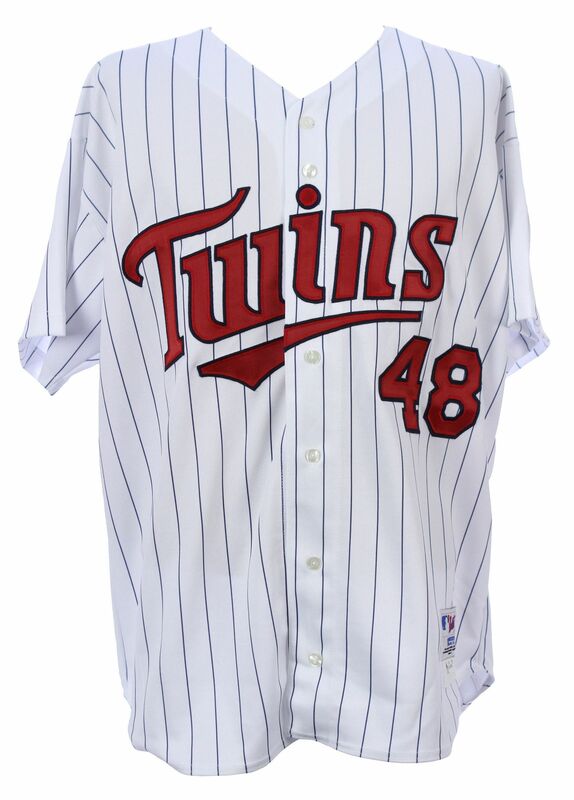 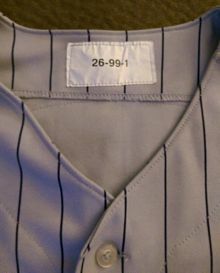 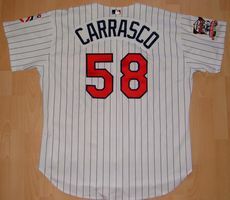 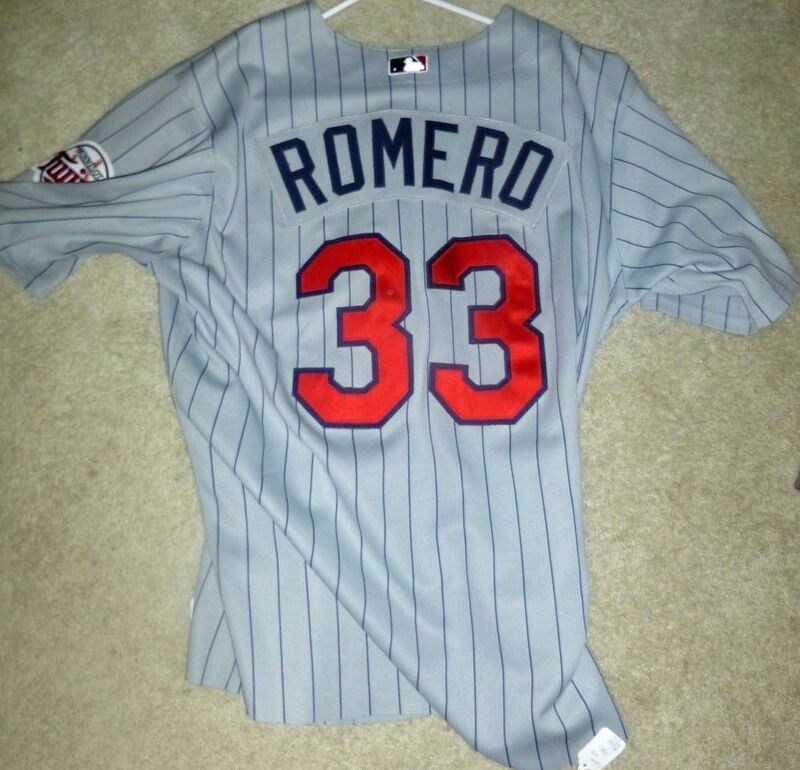 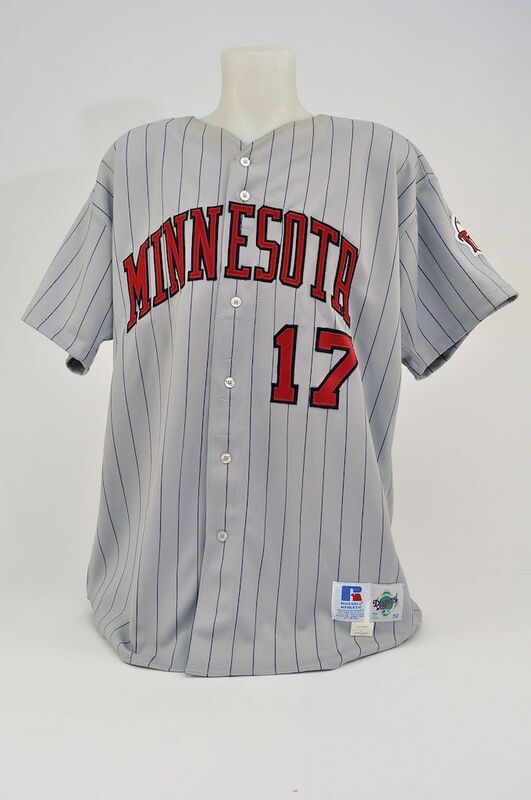 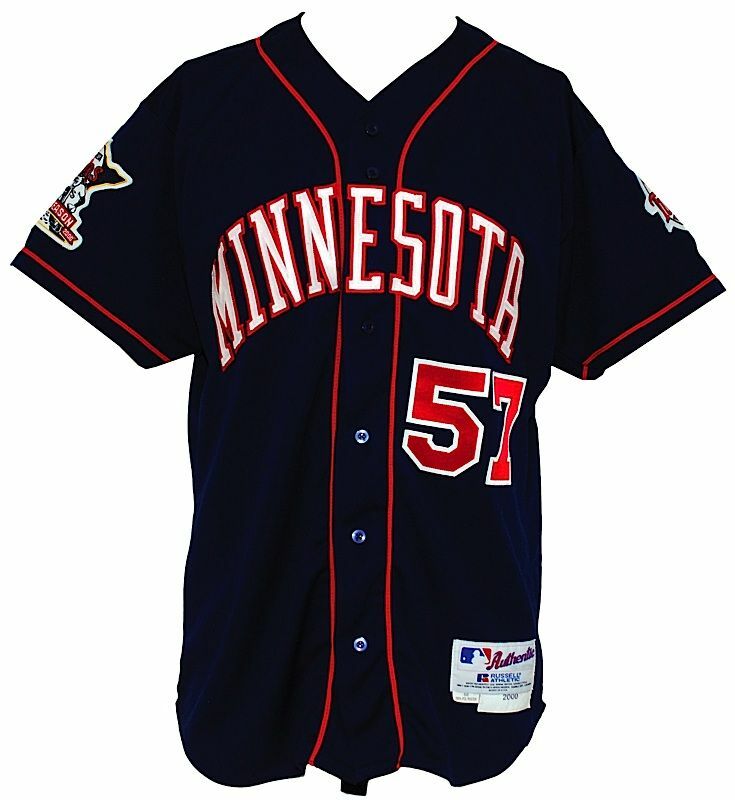 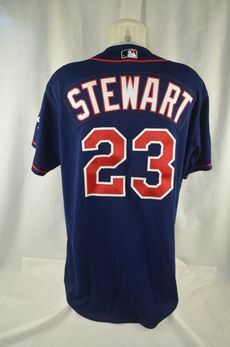 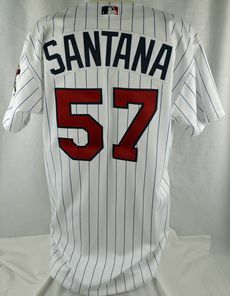 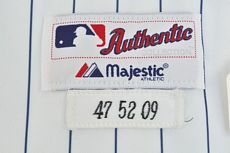 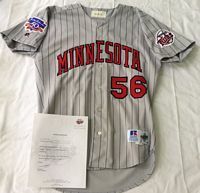 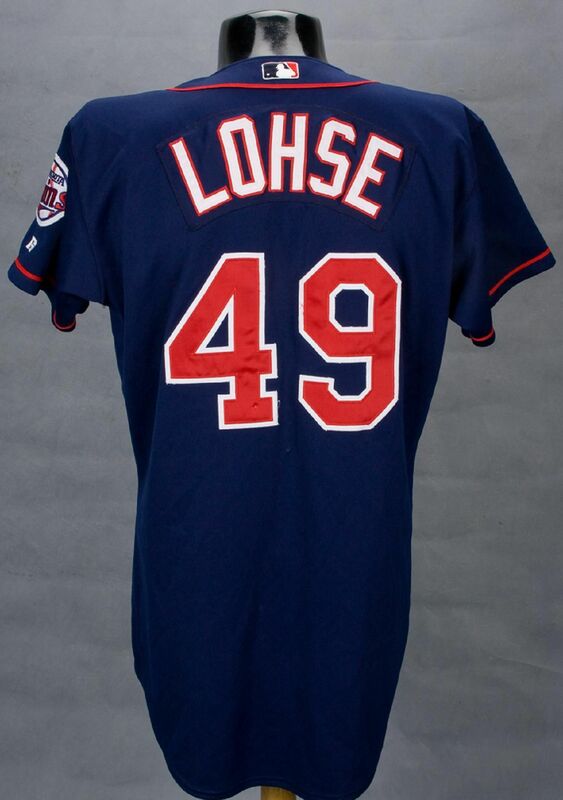 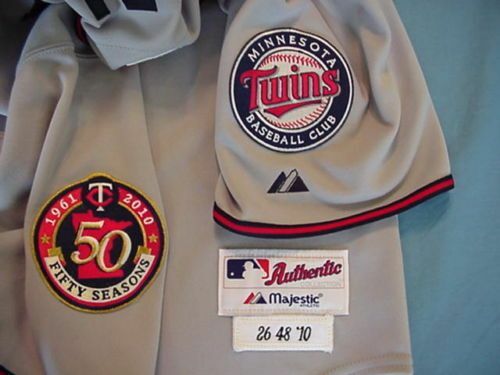 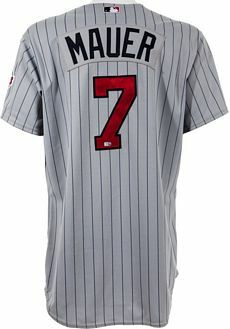 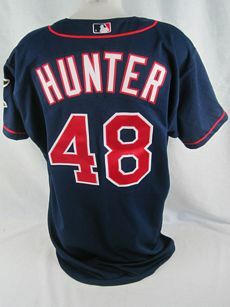 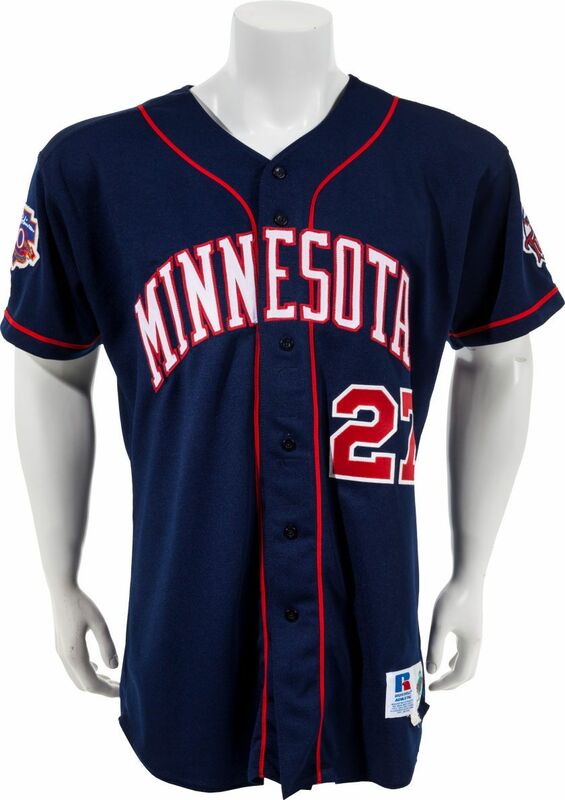 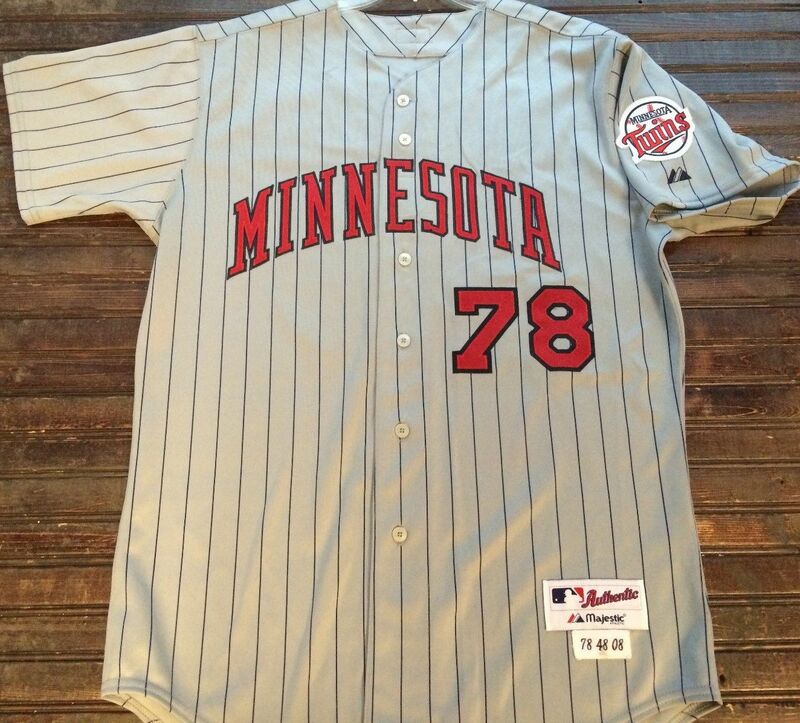 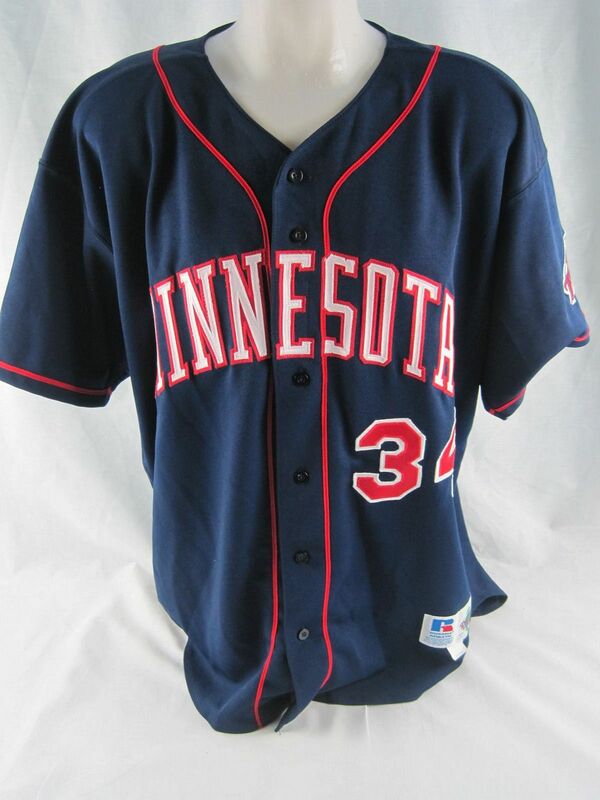 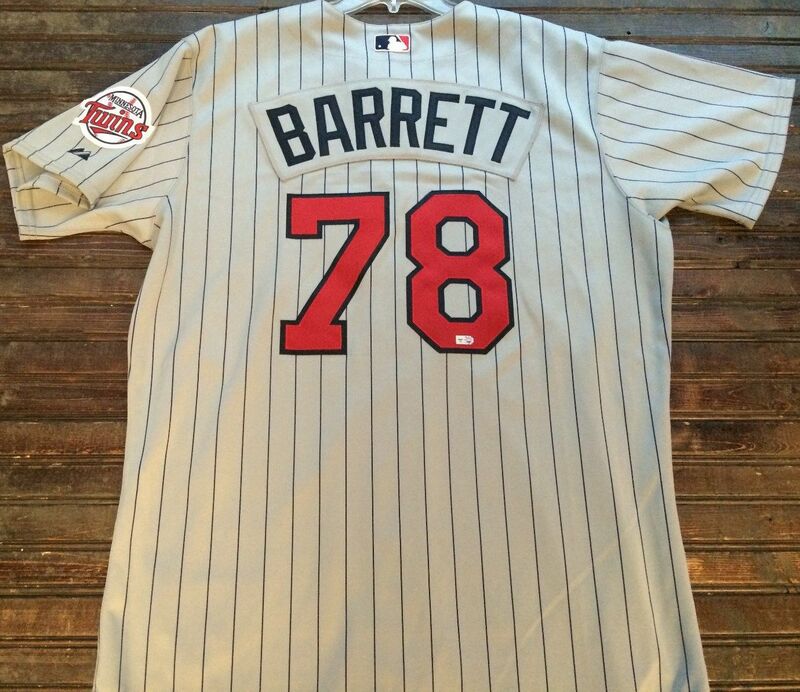 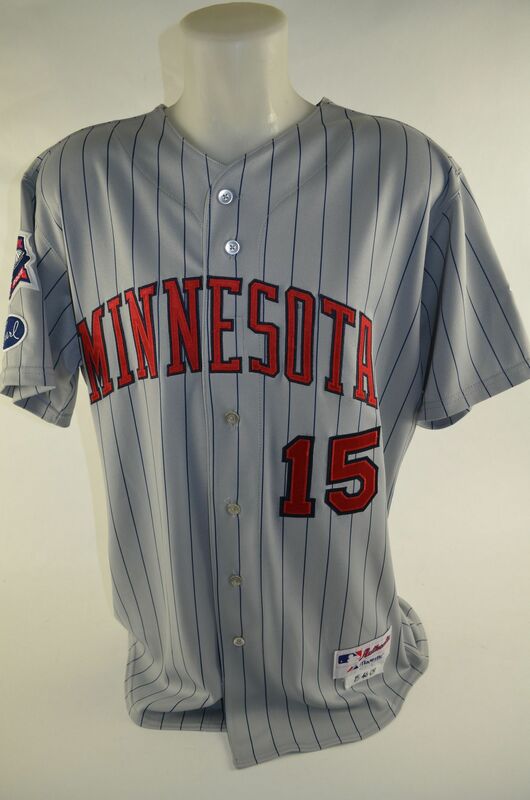 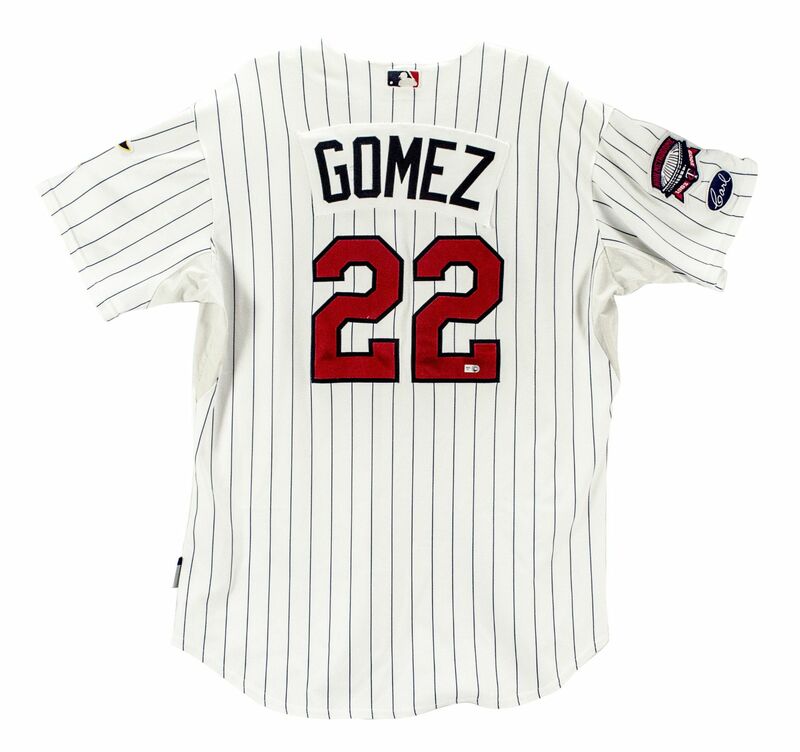 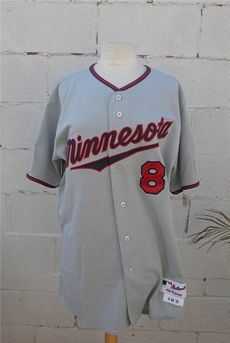 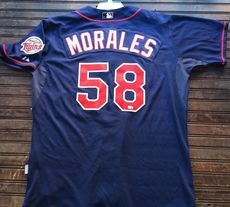 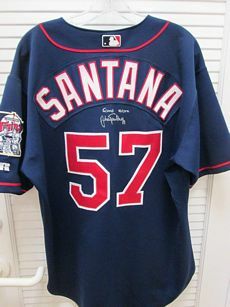 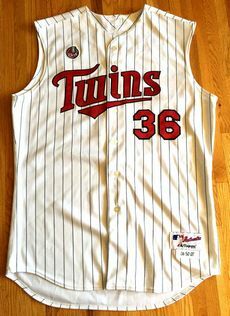 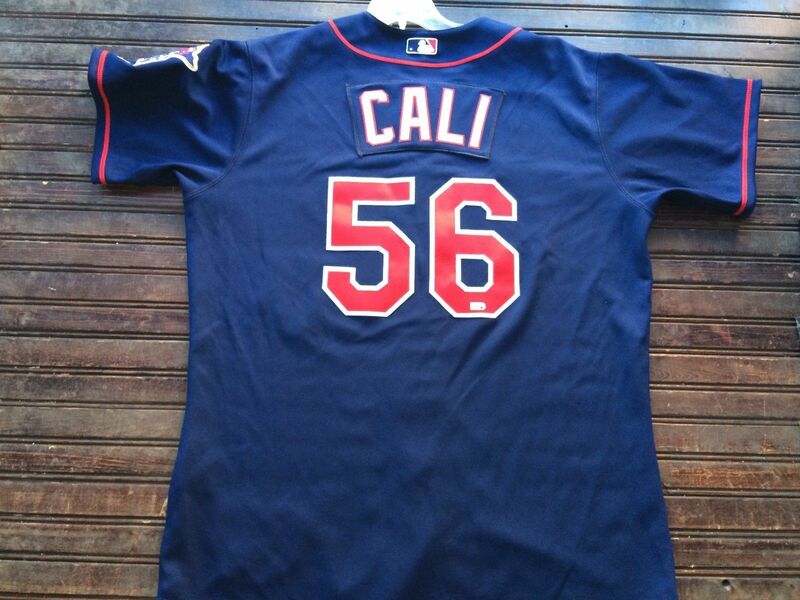 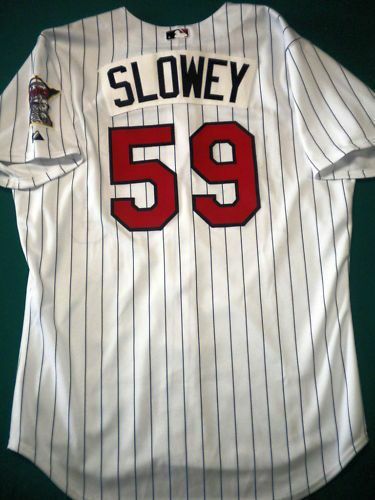 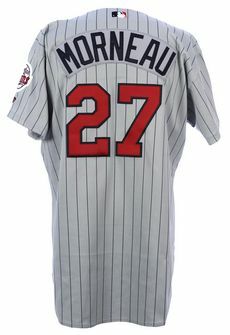 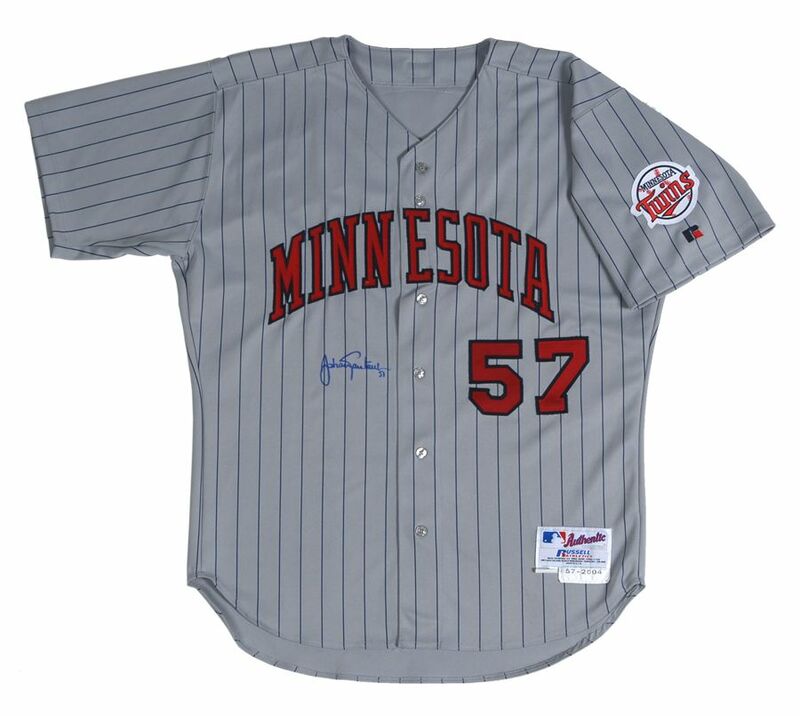 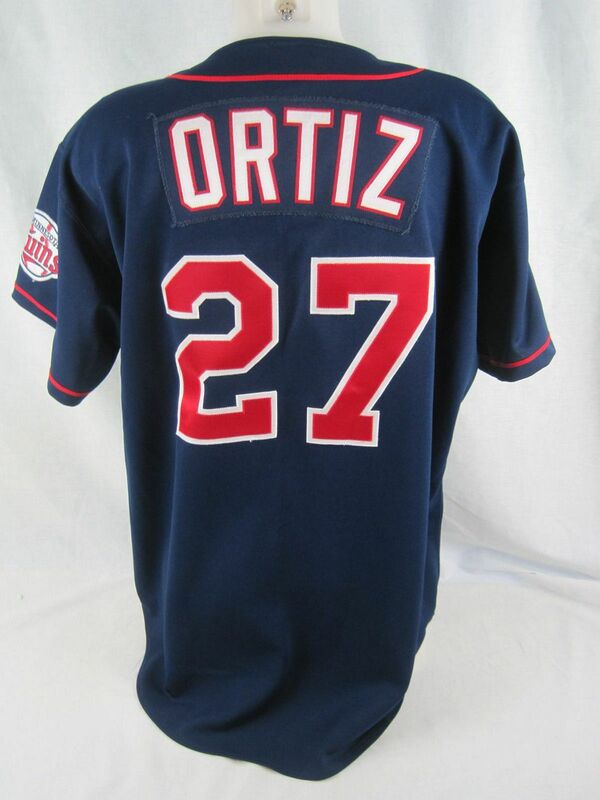 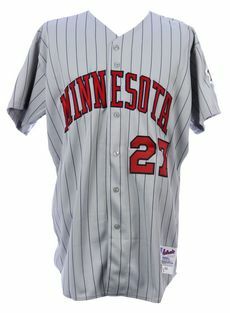 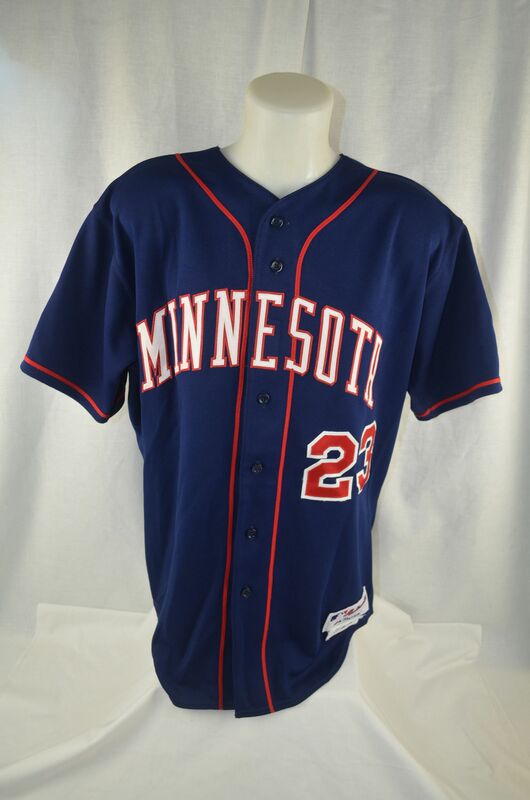 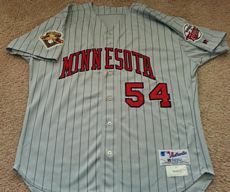 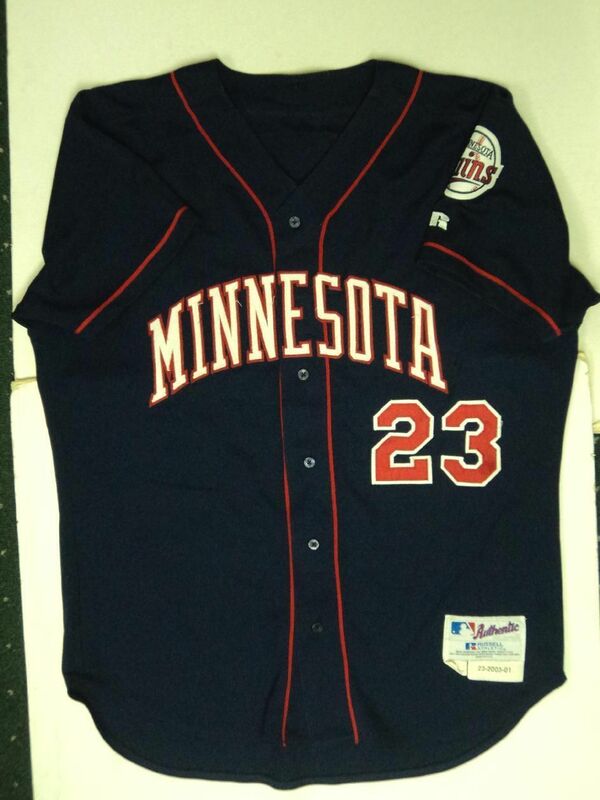 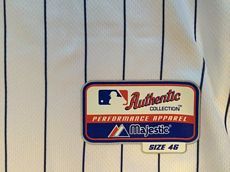 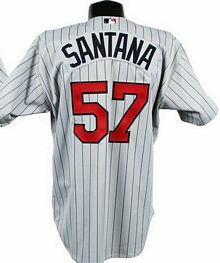 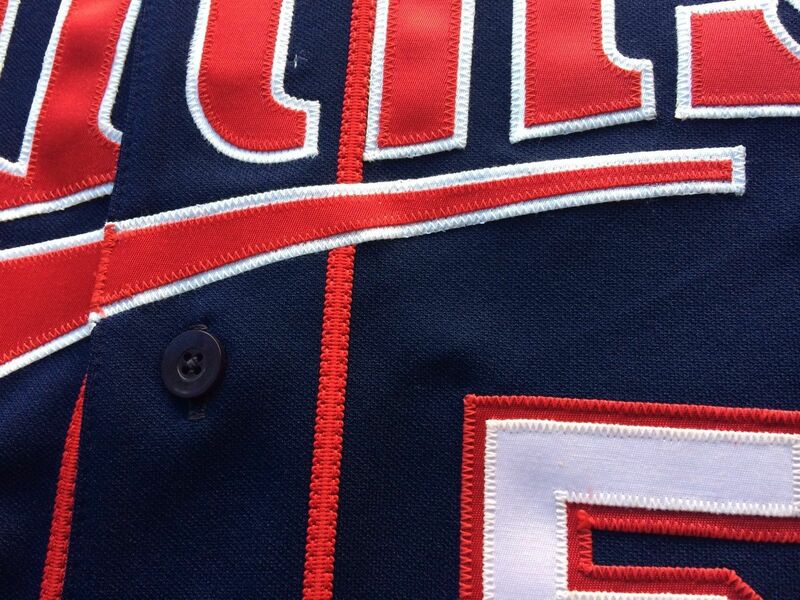 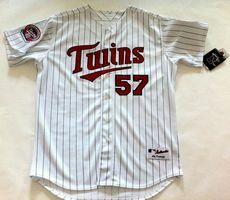 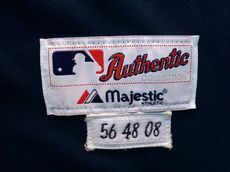 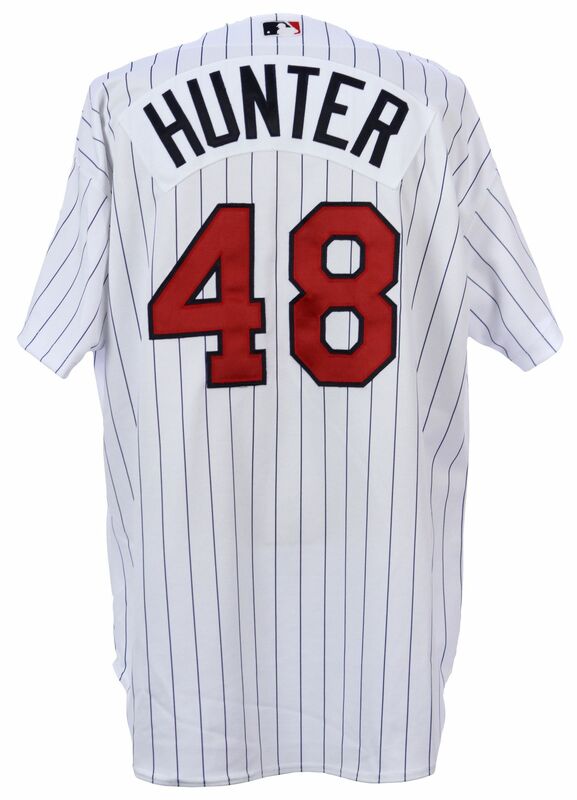 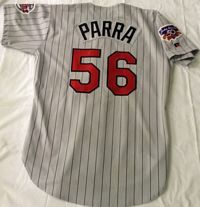 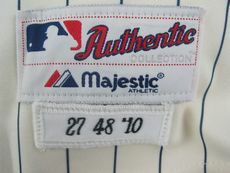 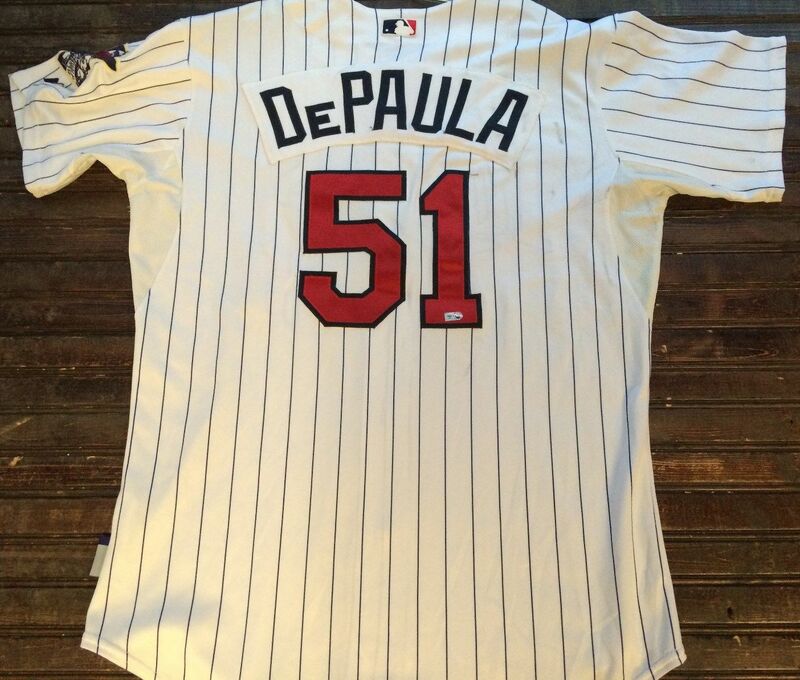 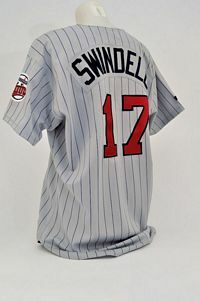 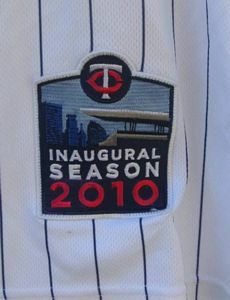 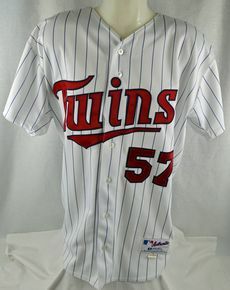 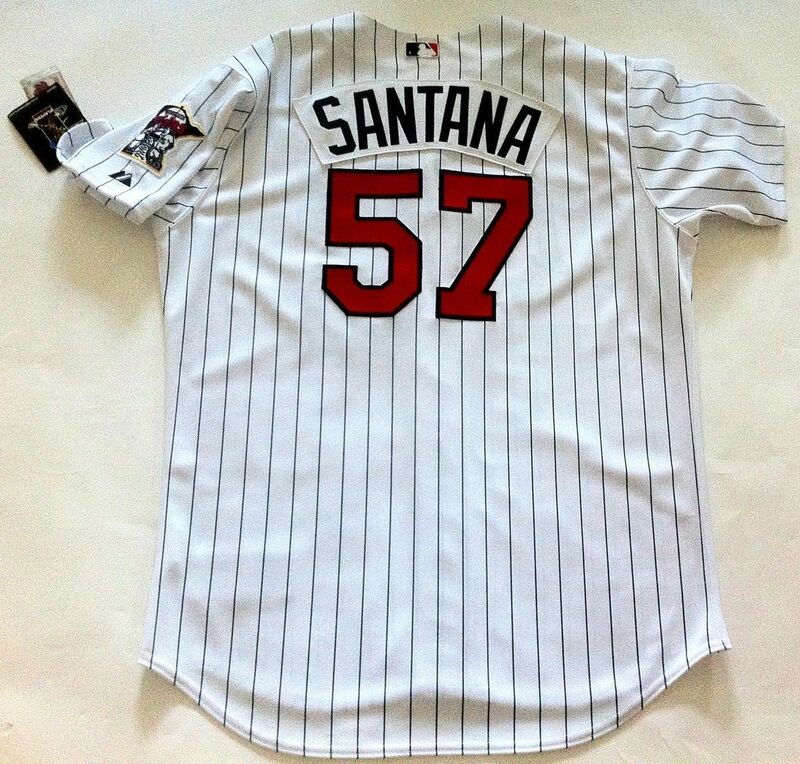 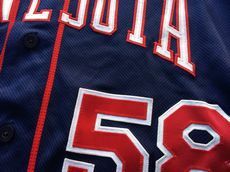 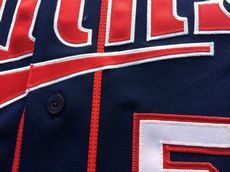 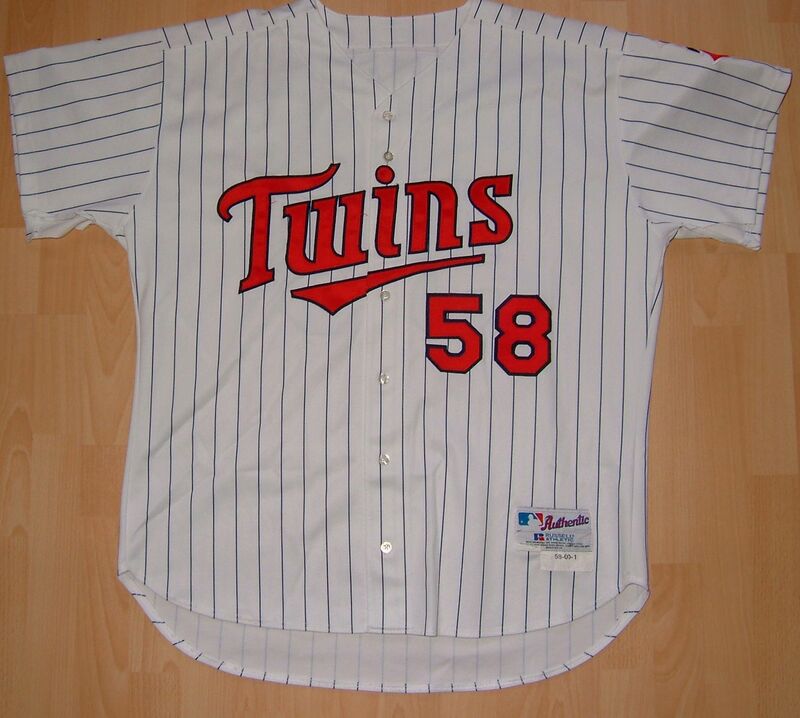 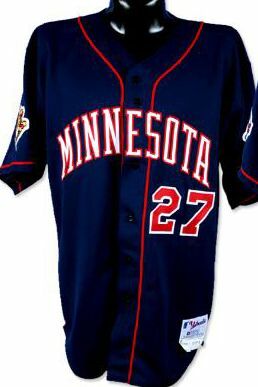 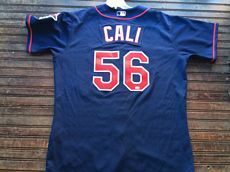 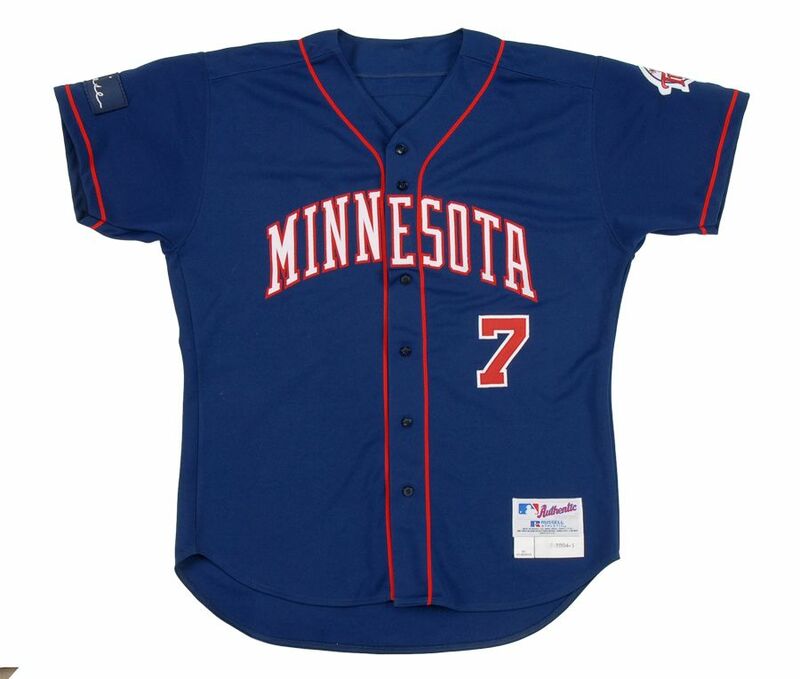 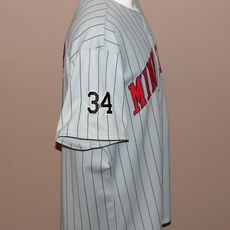 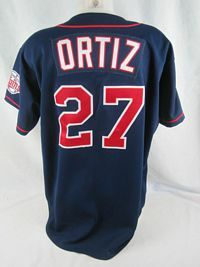 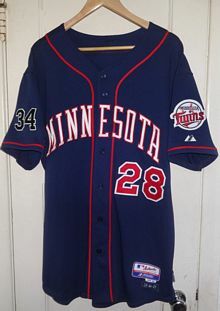 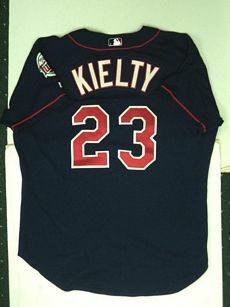 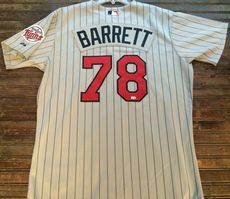 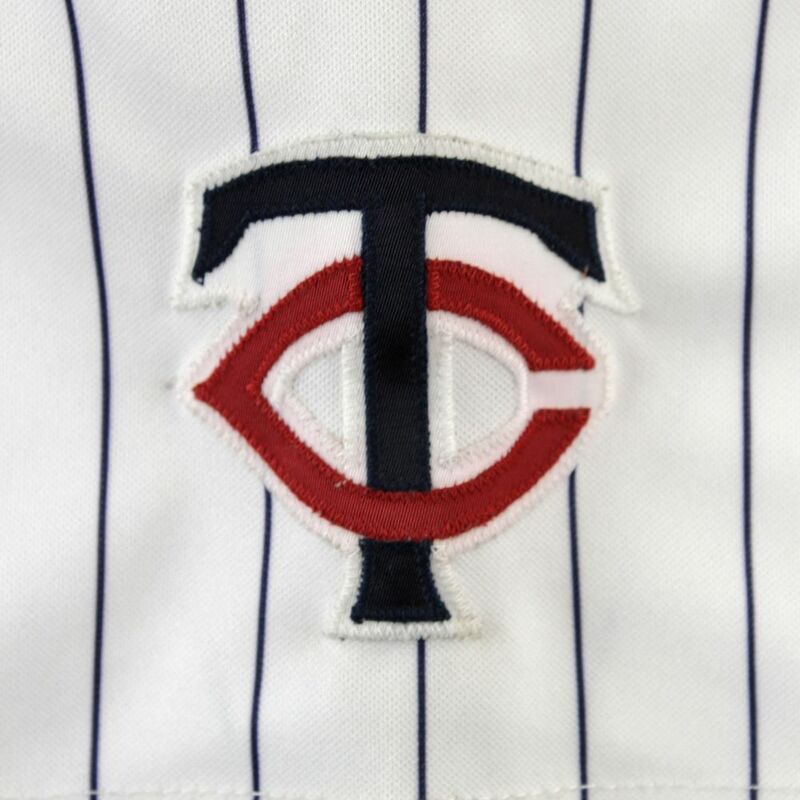 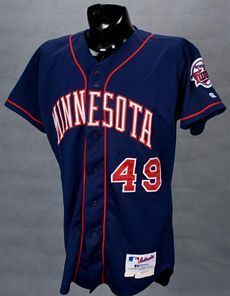 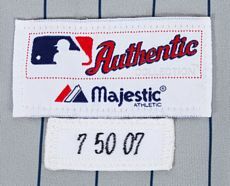 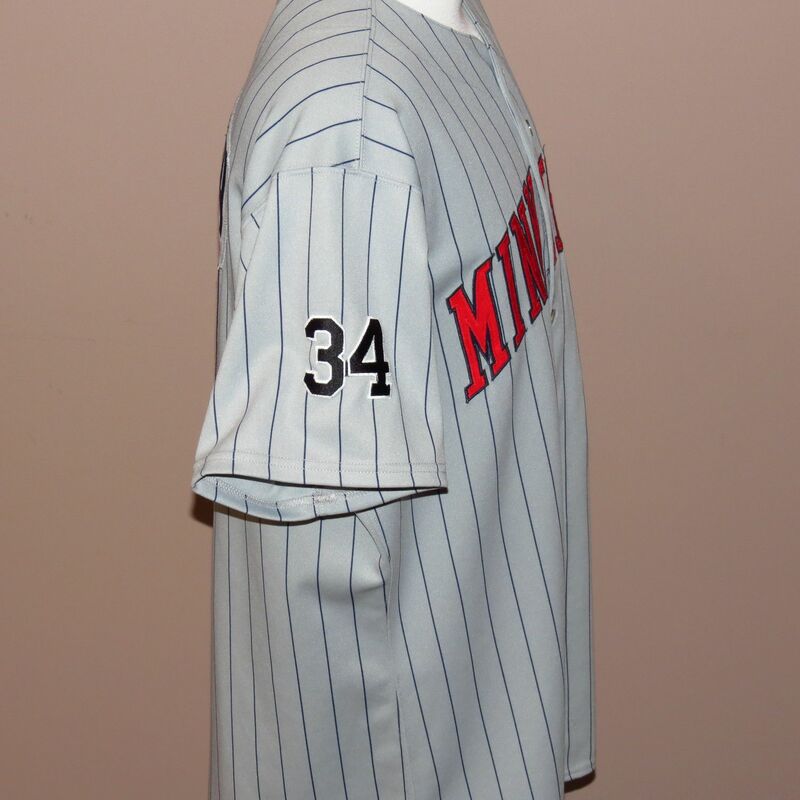 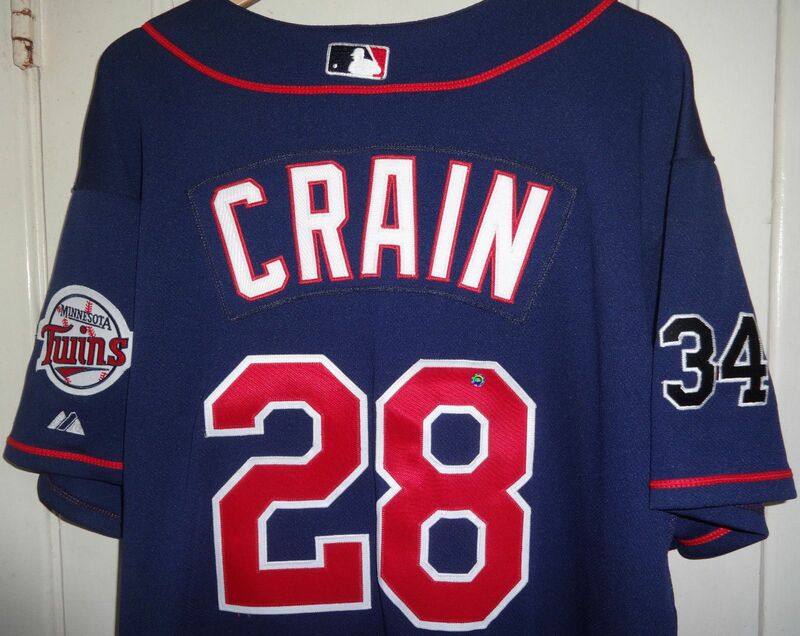 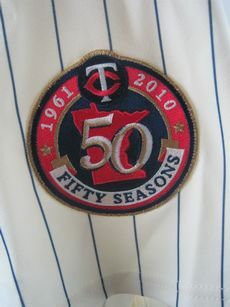 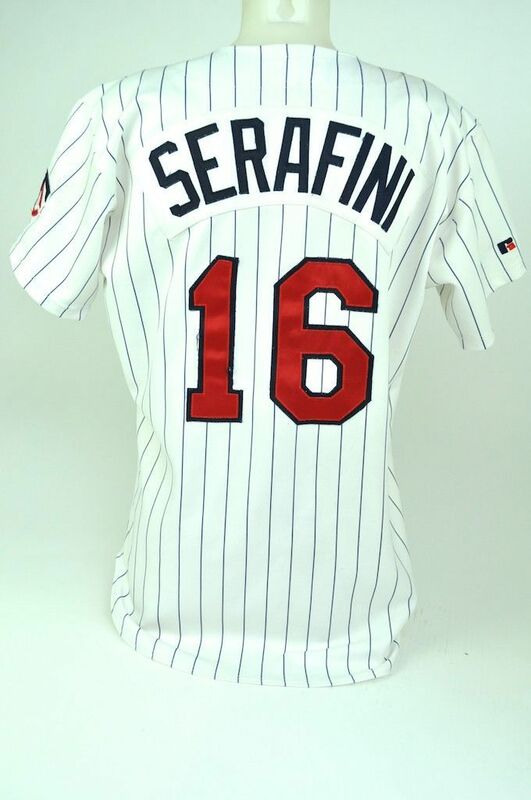 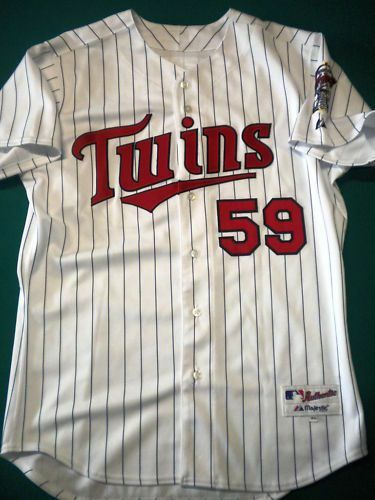 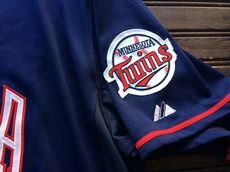 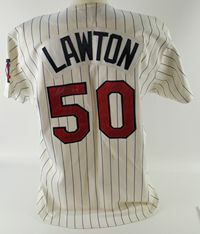 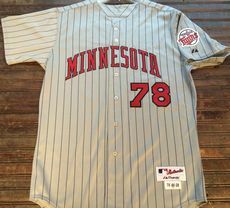 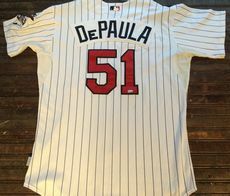 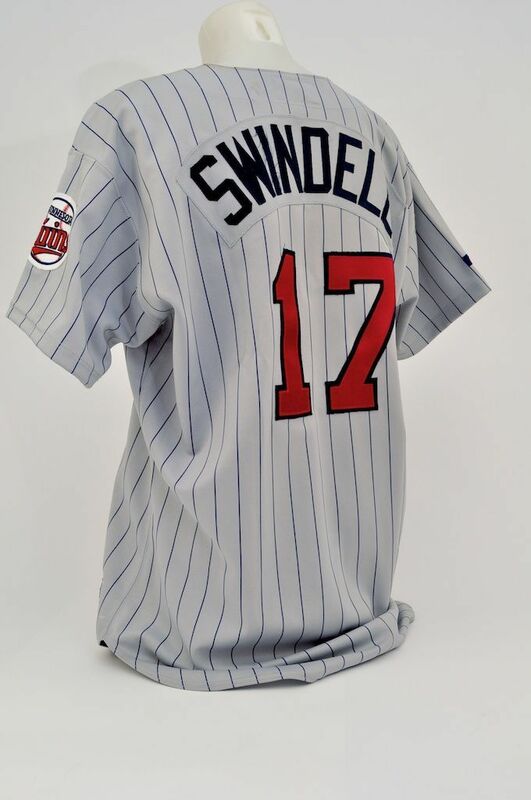 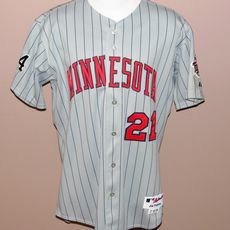 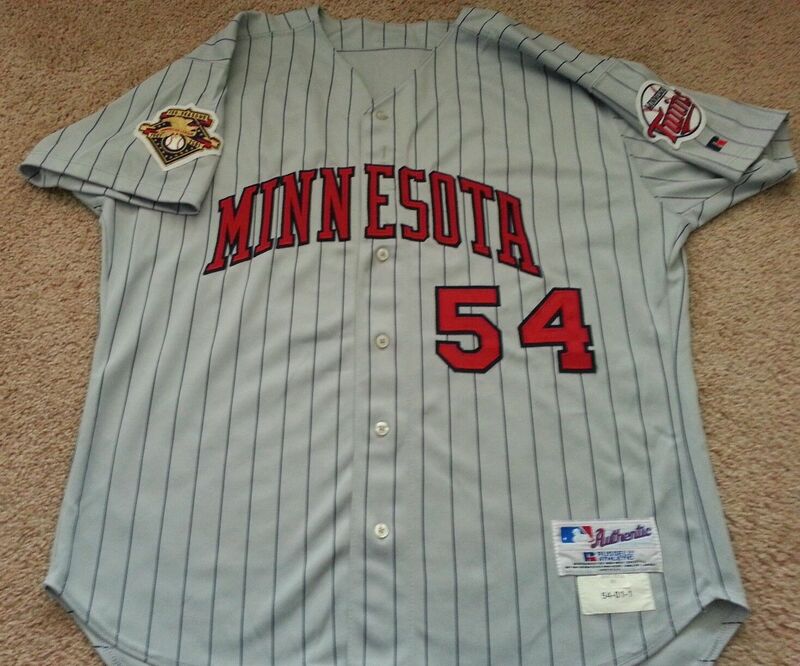 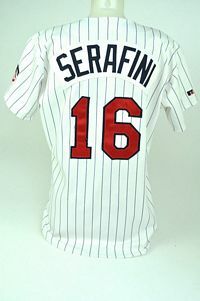 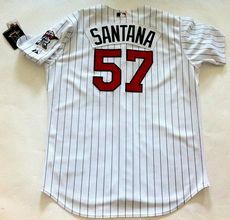 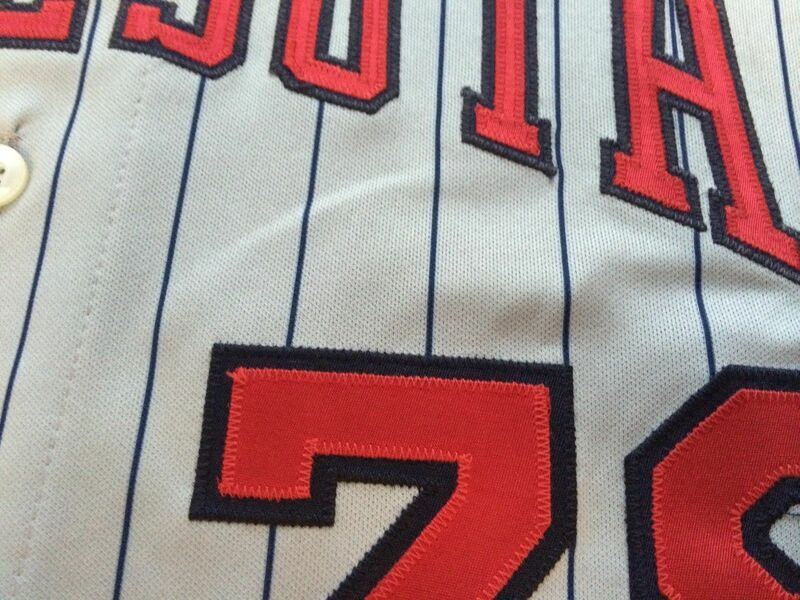 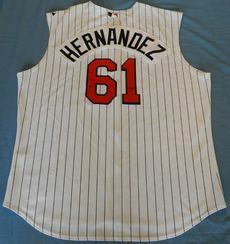 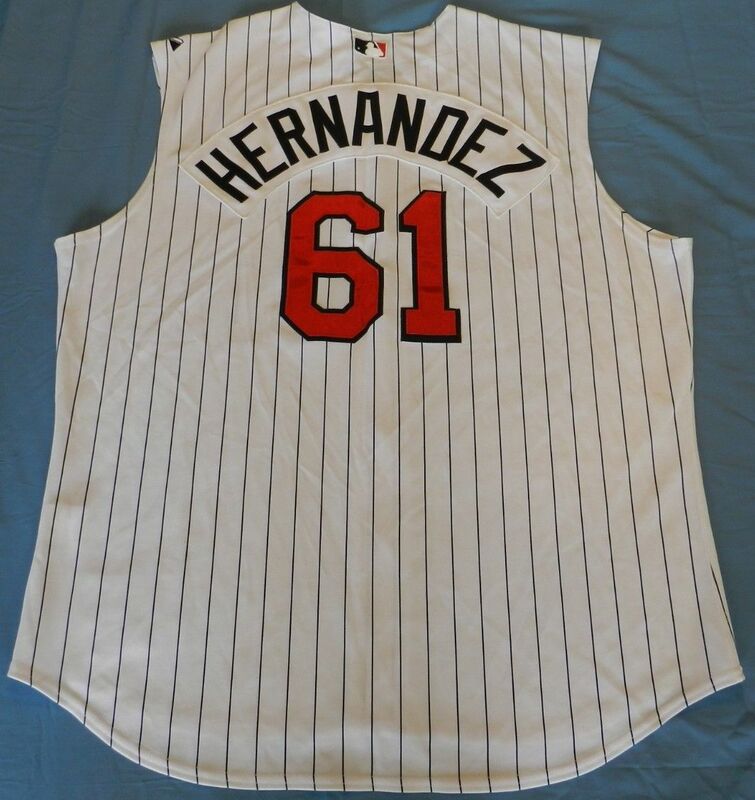 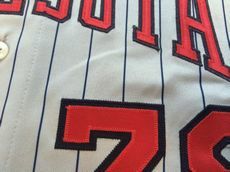 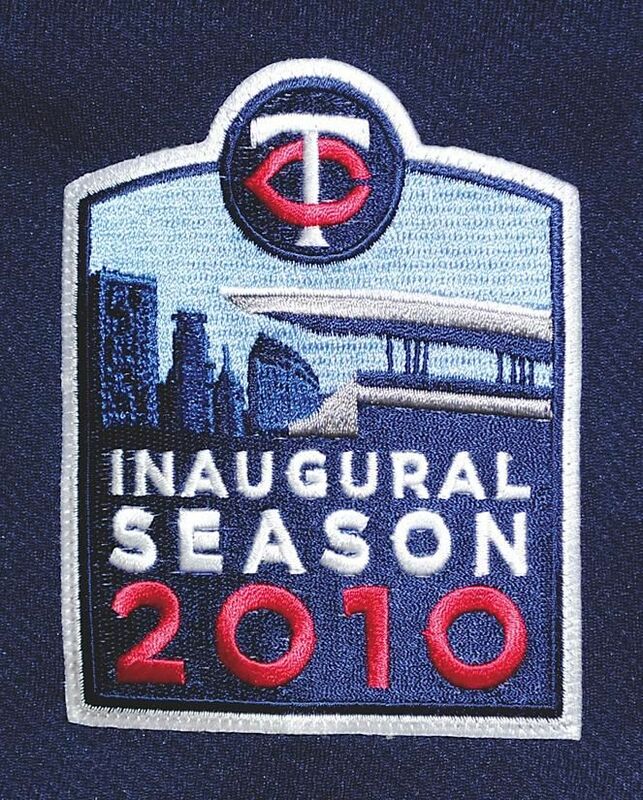 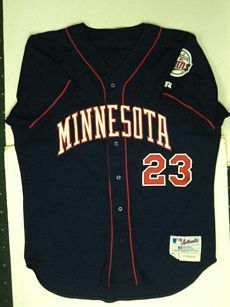 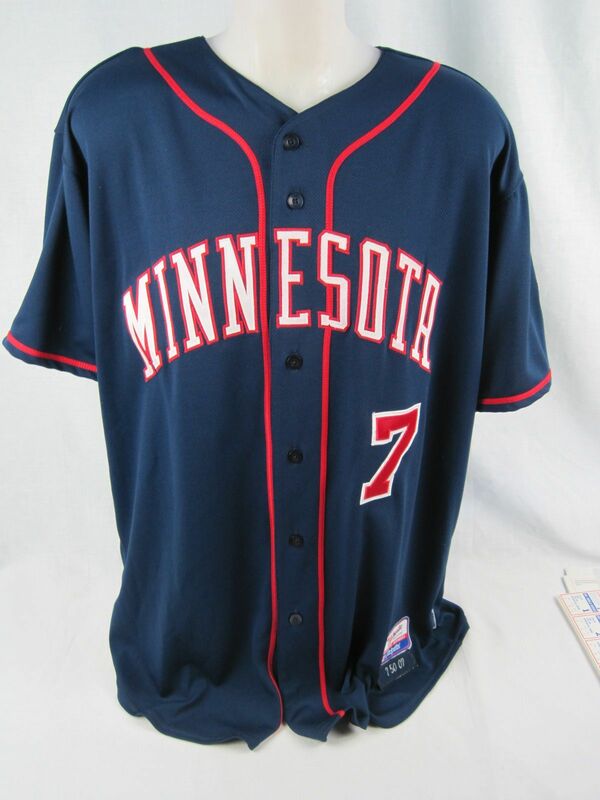 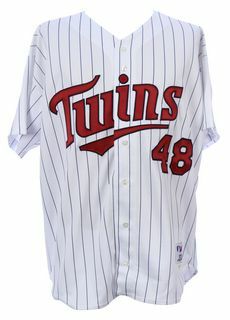 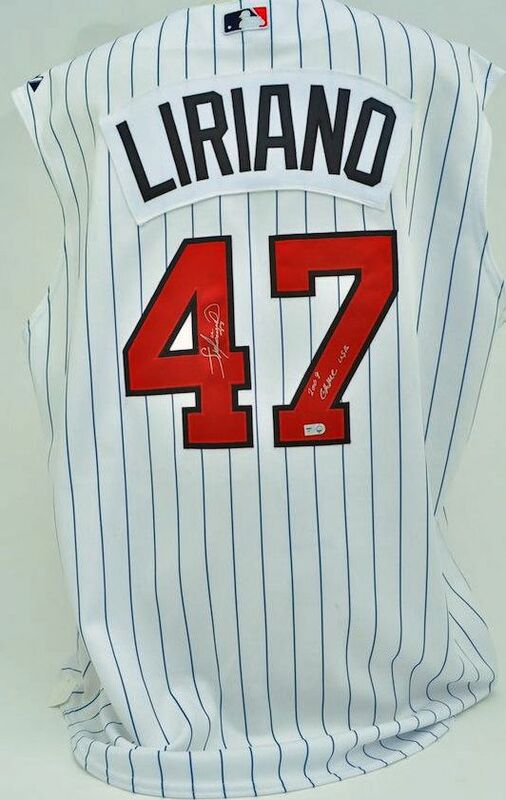 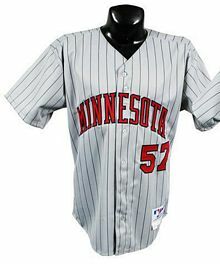 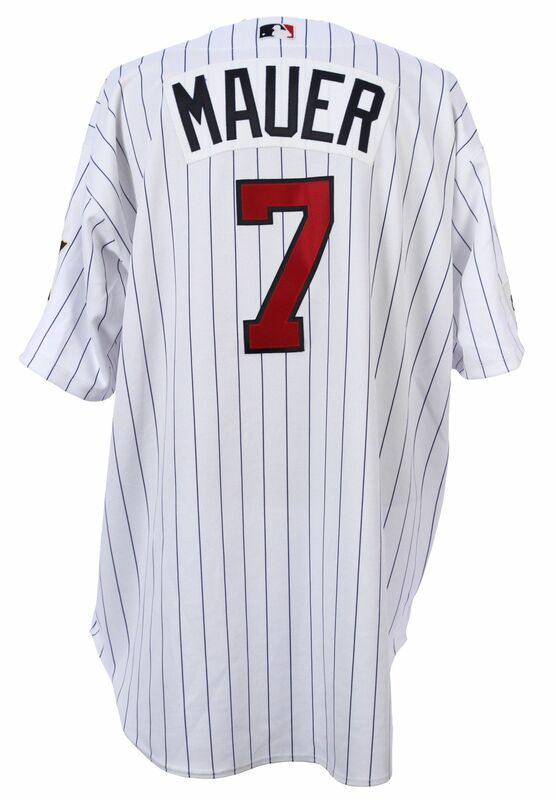 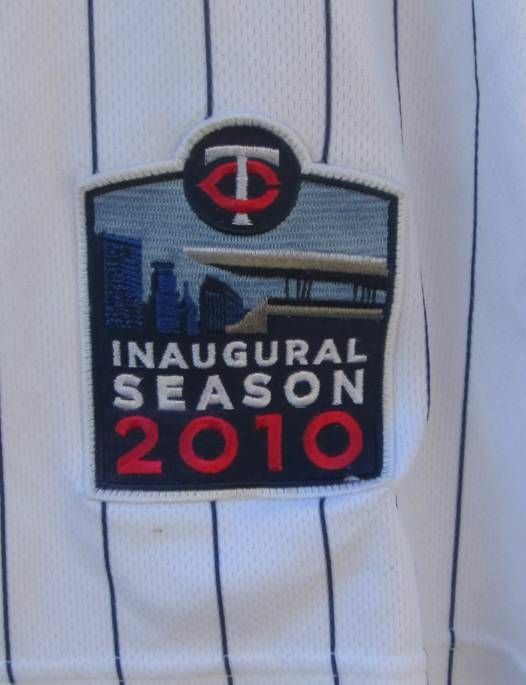 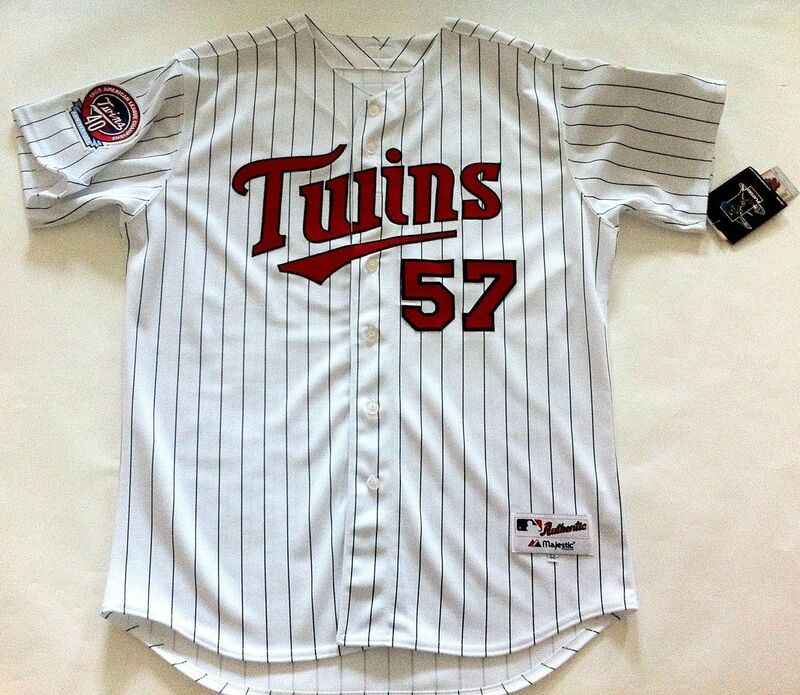 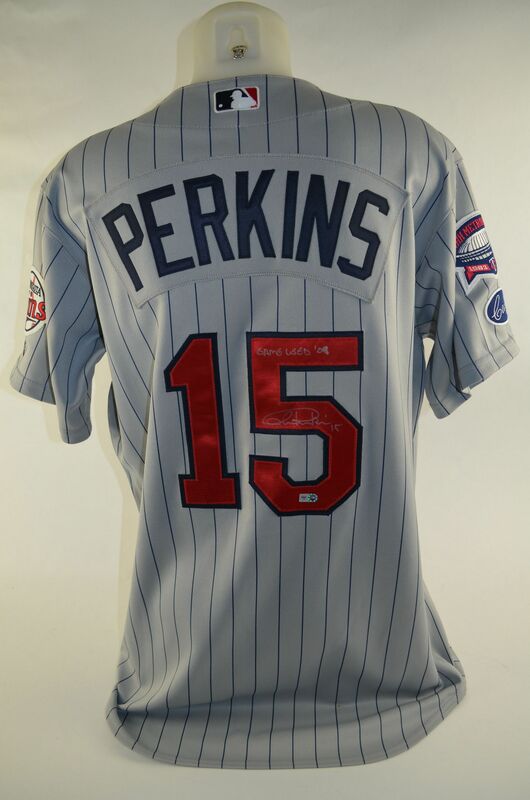 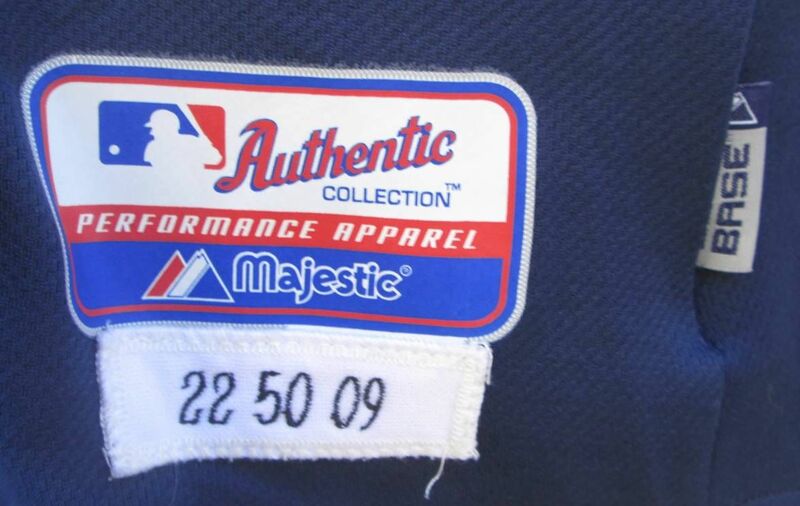 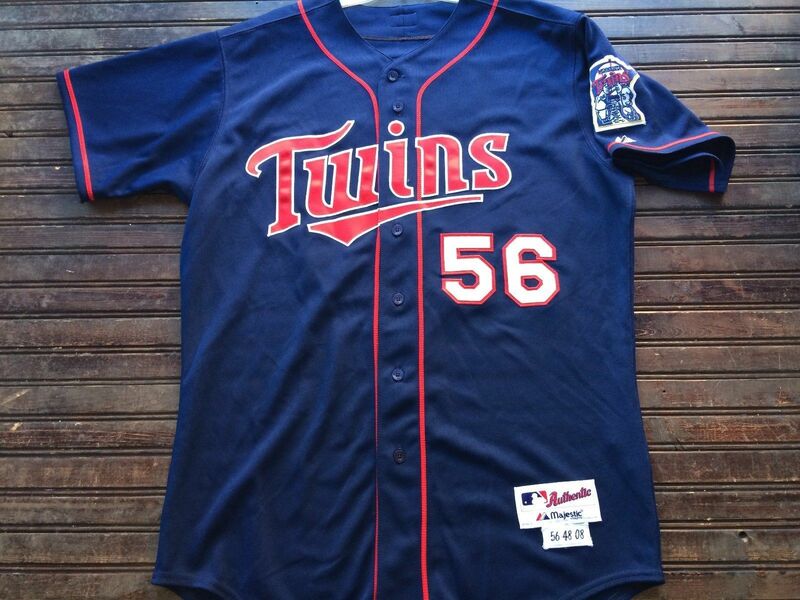 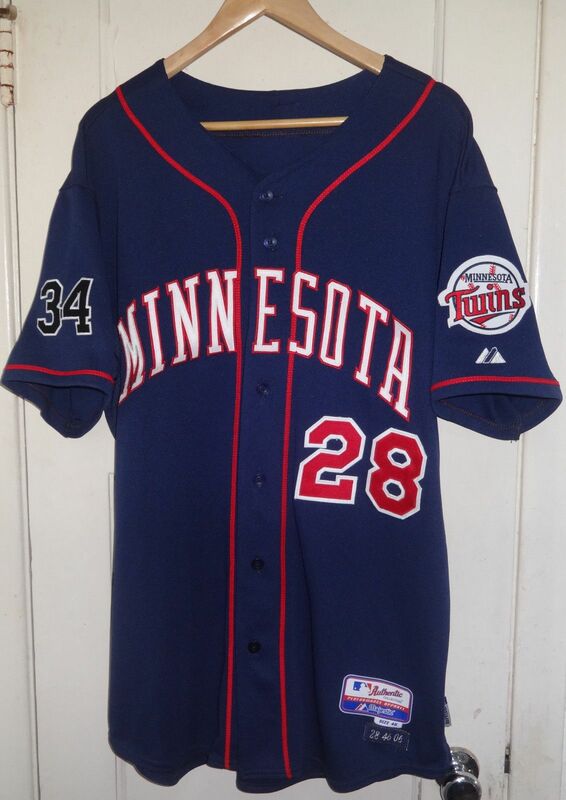 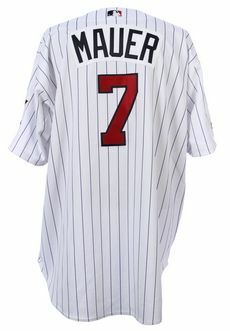 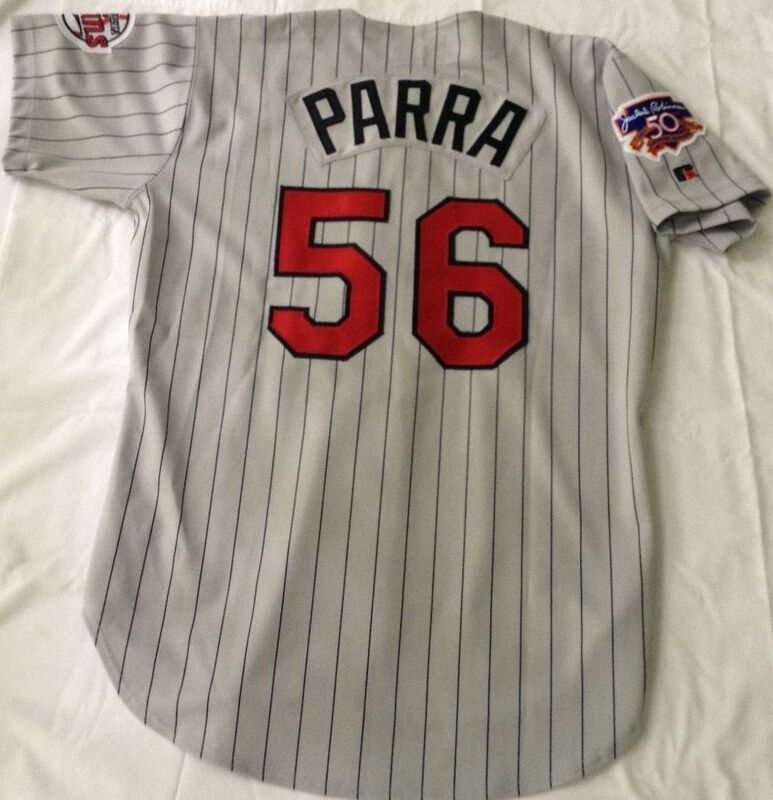 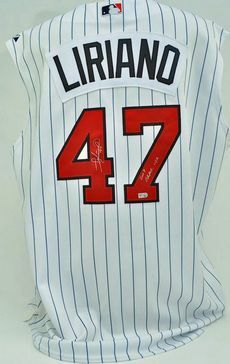 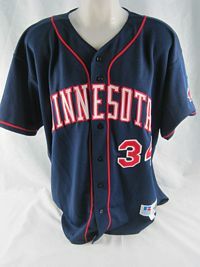 In 2010, Target Field inaugural season patch is worn on home, home vest, and home navy jerseys; the 50th anniversary patch is on the home cream and road jerseys. 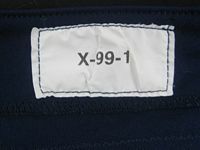 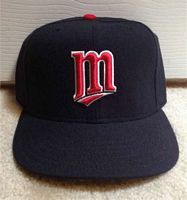 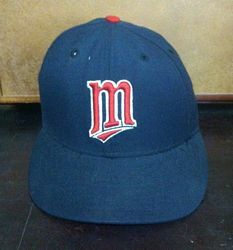 "M" cap now worn with navy alternate.